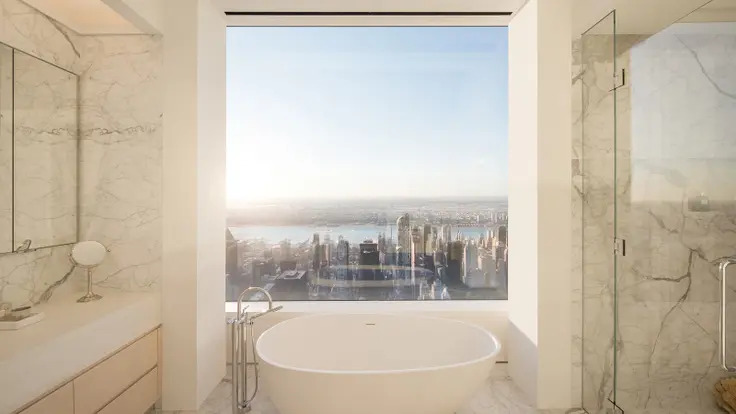 Designed by David Childs of Skidmore, Owings and Merrill and completed in 2004, the Time Warner Center is located at 80 Columbus Circle on the Upper West Side. 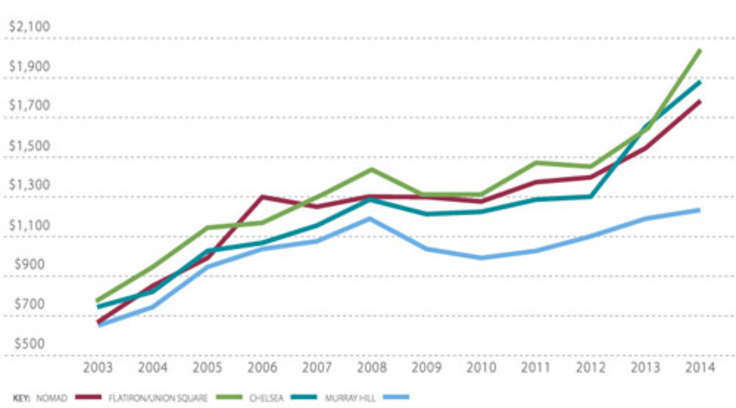 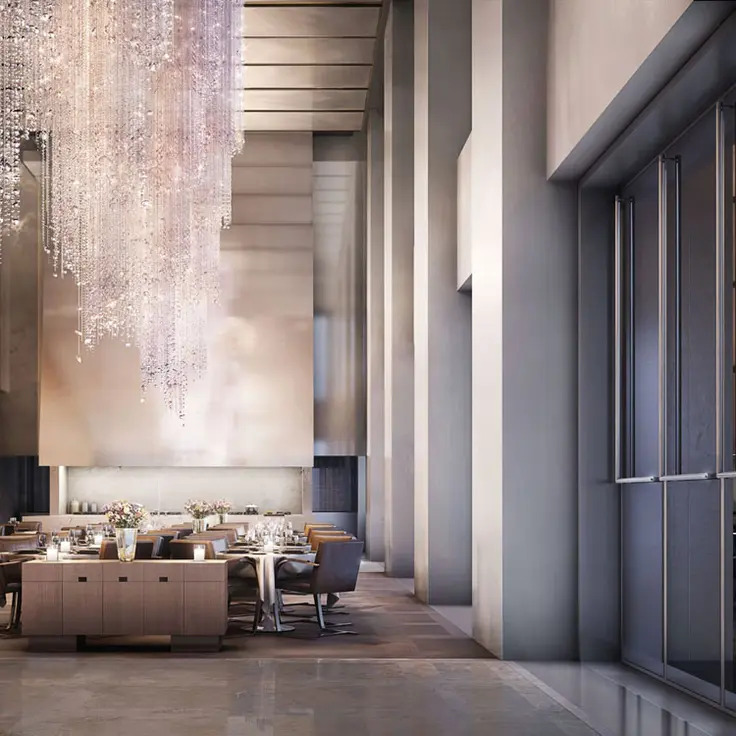 Much of what has drawn eager buyers is the Time Warner Center’s premier location. 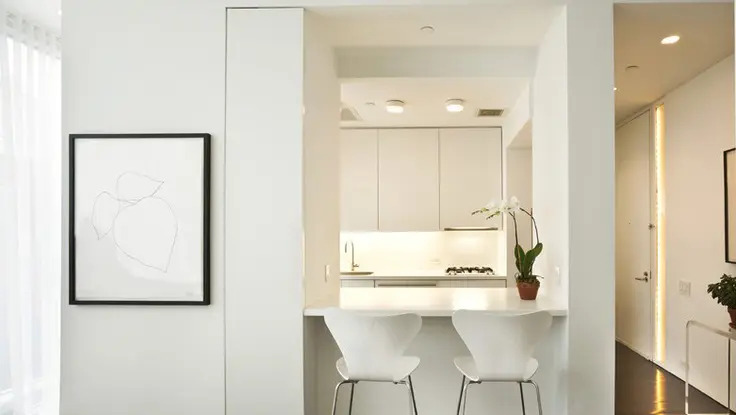 It offers more than geography, though, as residents enjoy elegantly designed spaces with first-rate finishes and premium appliances. 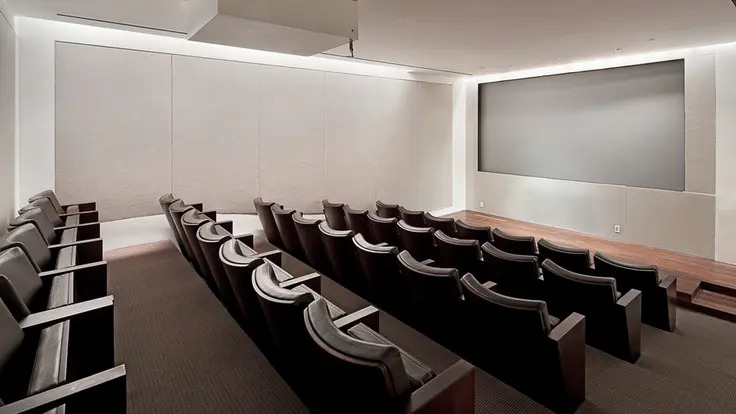 Time Warner Center amenities include a screening room, party rooms, a children's playroom, an in-house garage with valet parking, a chauffeur's lounge and access to such Mandarin Oriental Hotel conveniences as a spa, a pool, a fitness center, room service, valet service and maid's service. 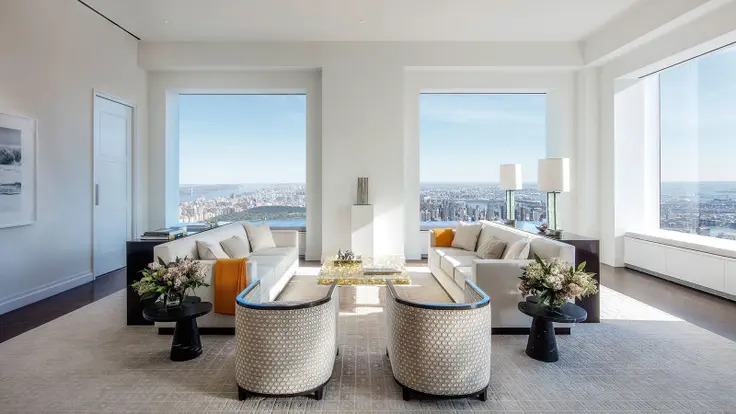 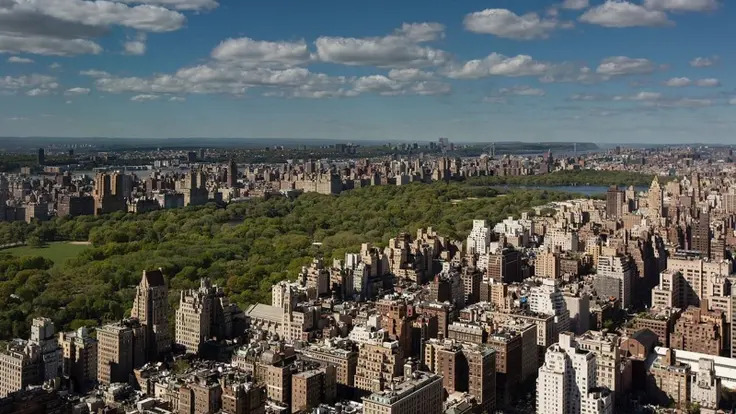 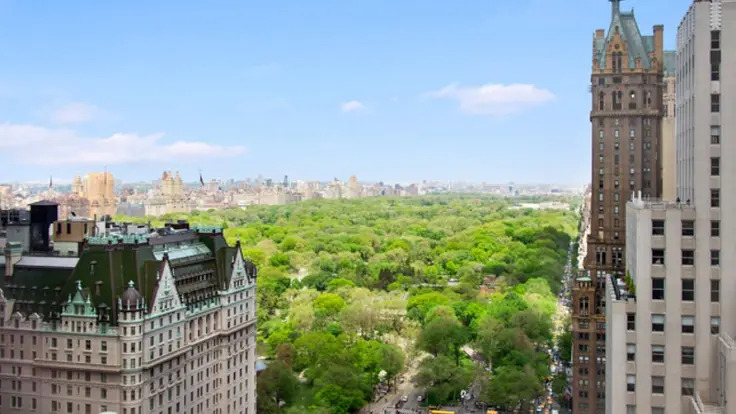 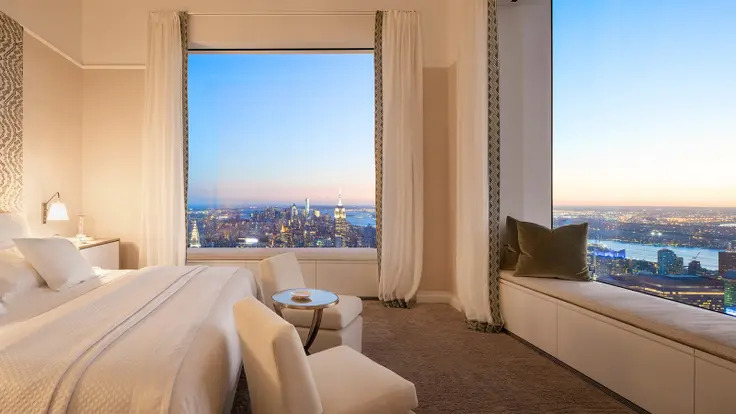 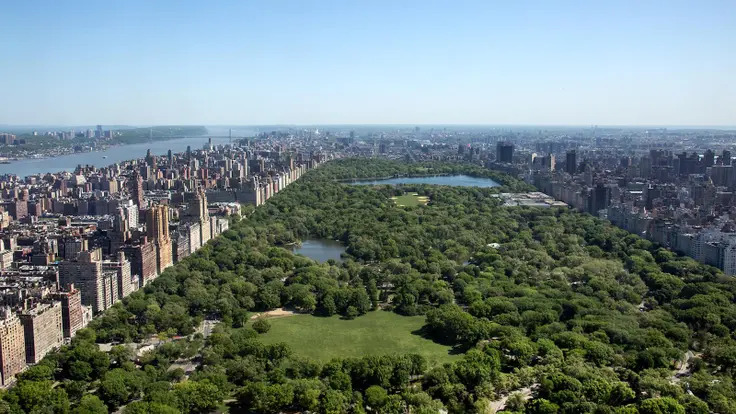 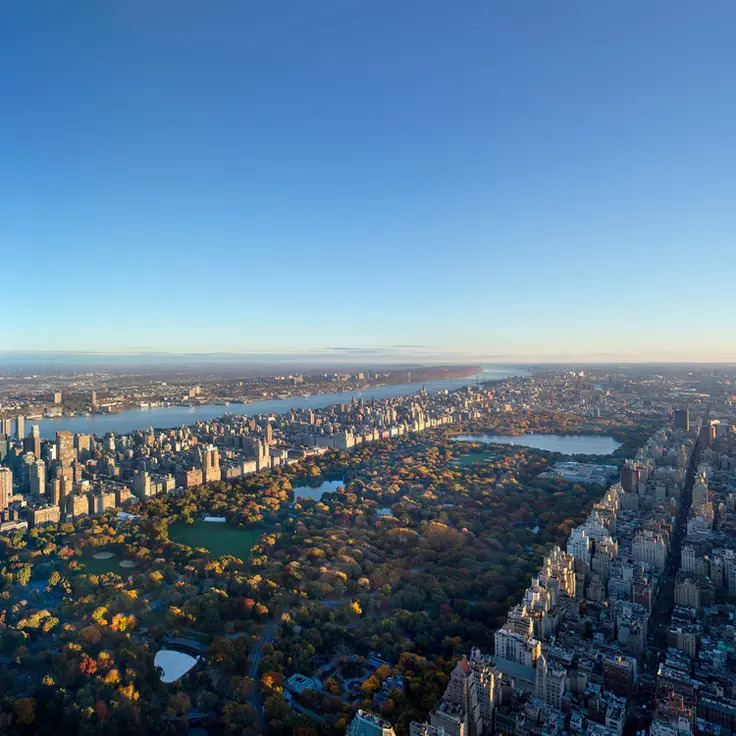 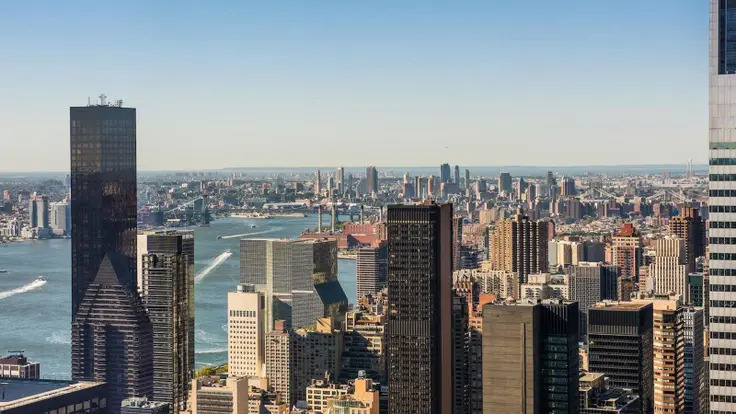 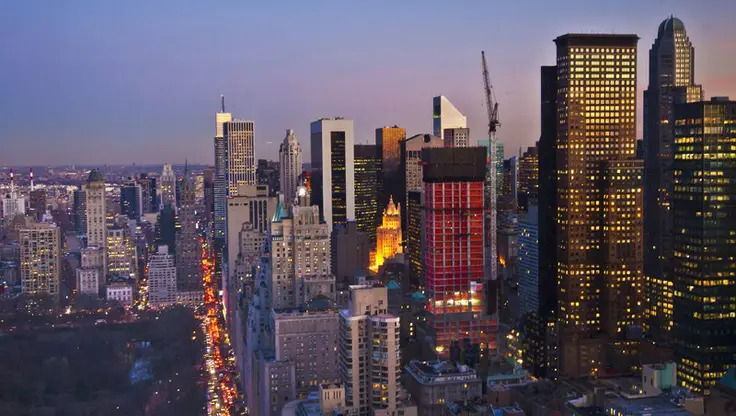 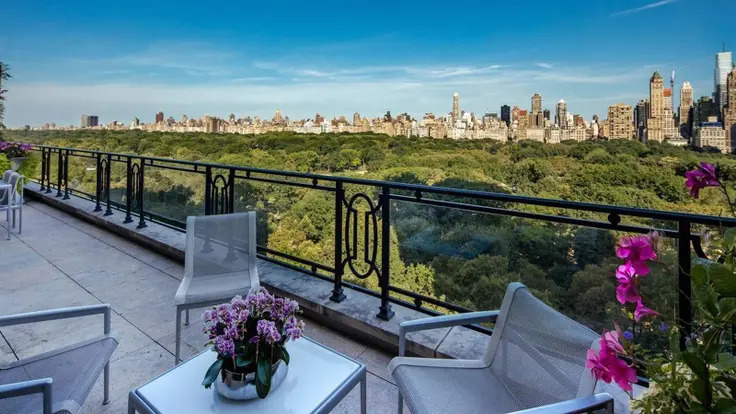 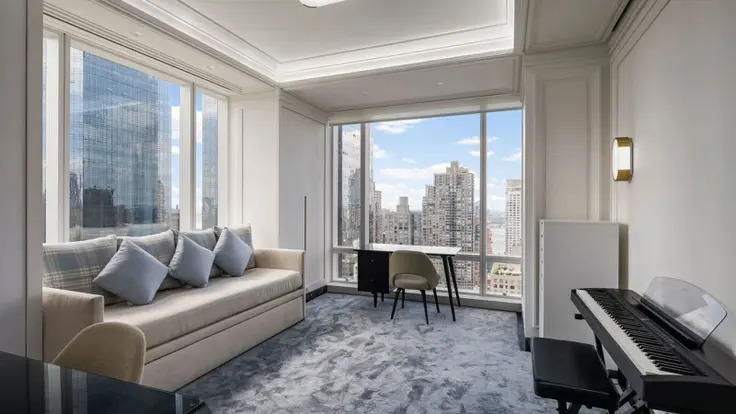 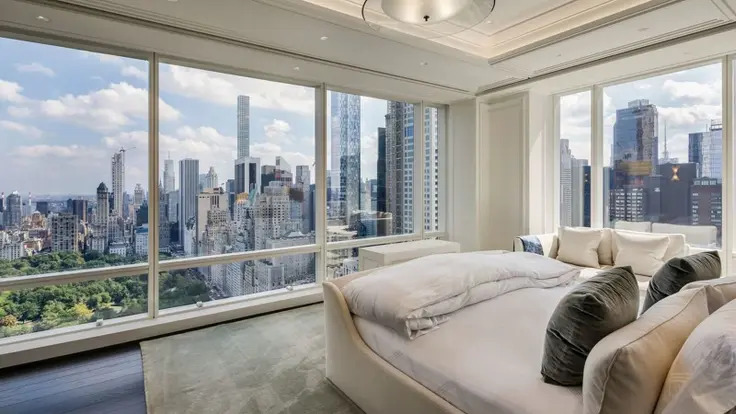 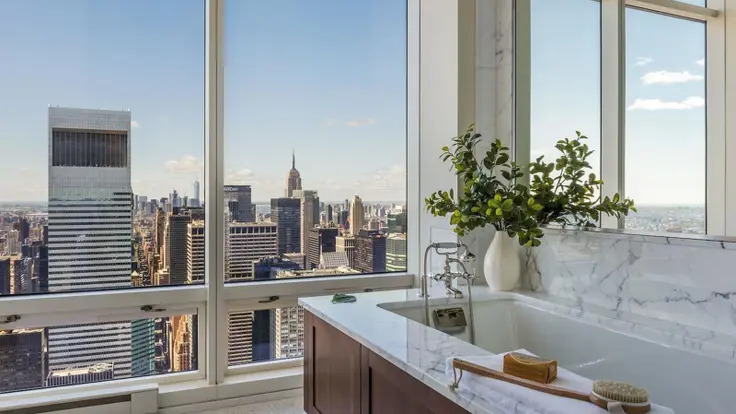 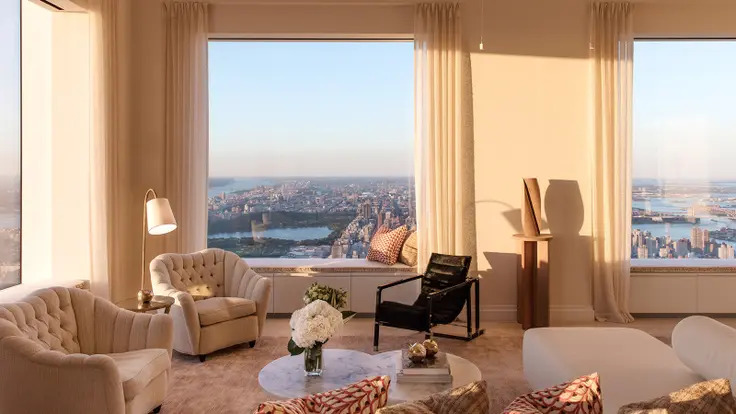 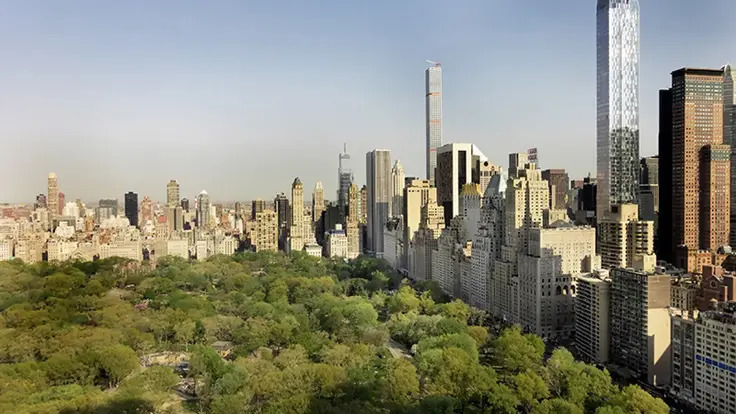 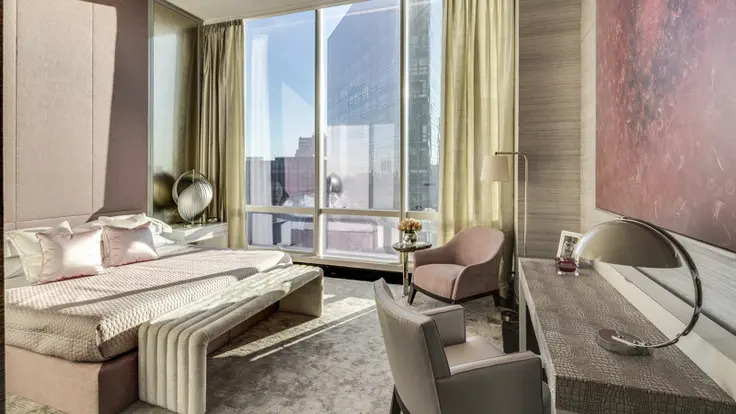 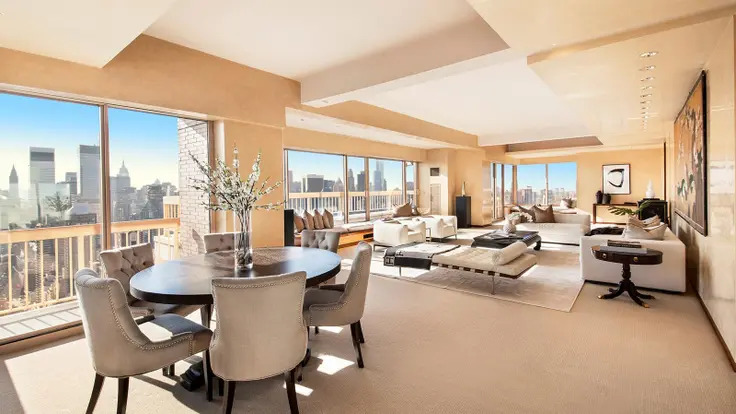 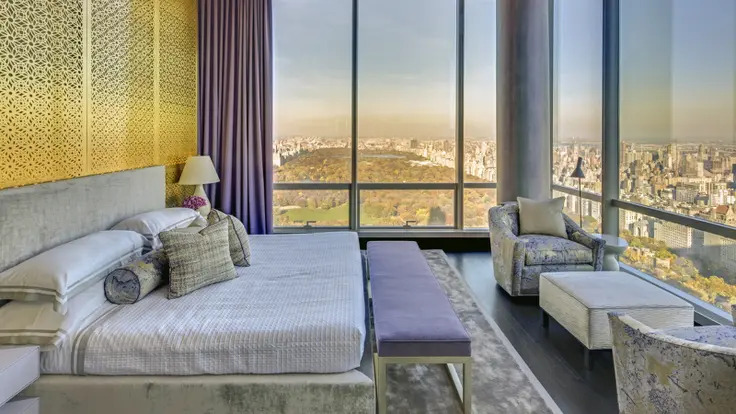 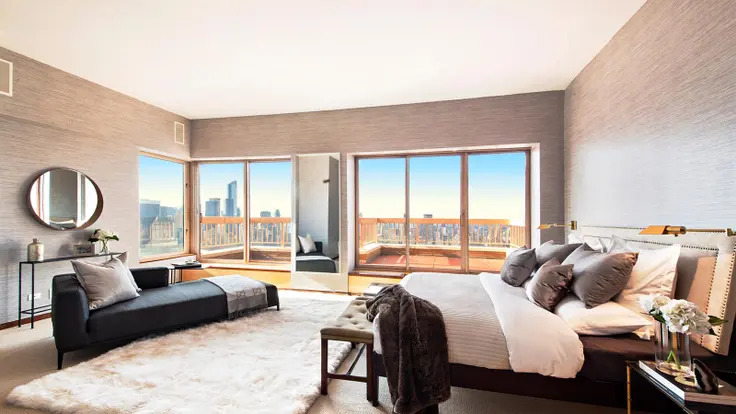 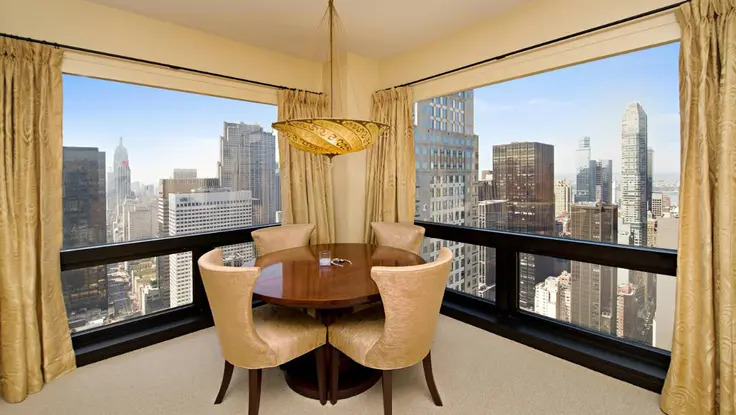 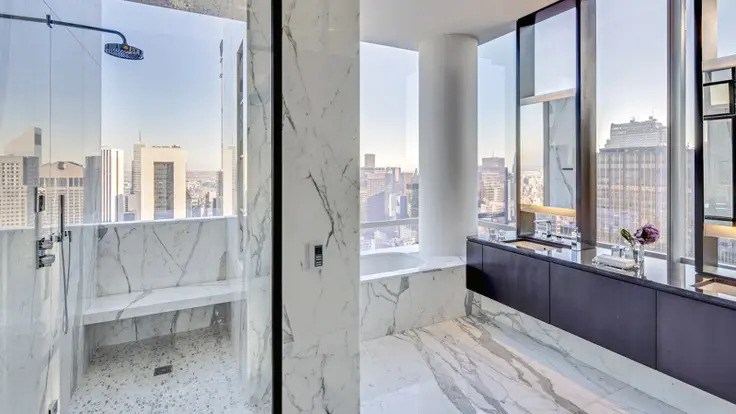 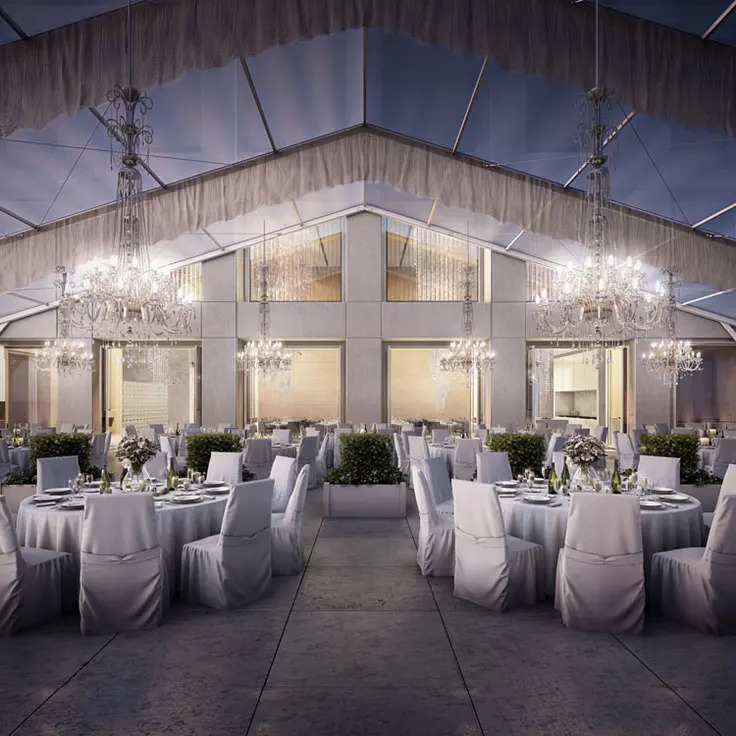 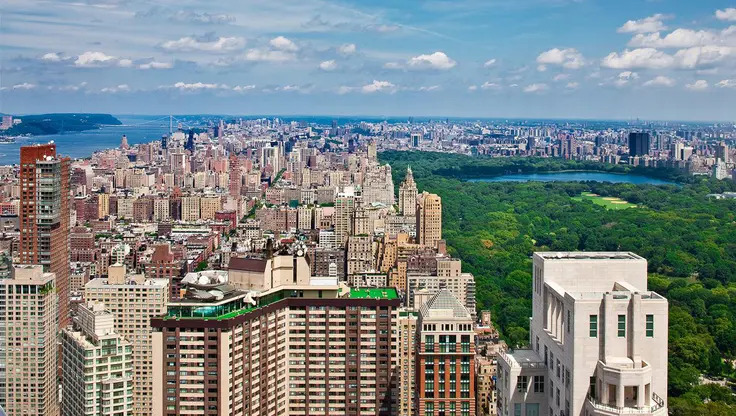 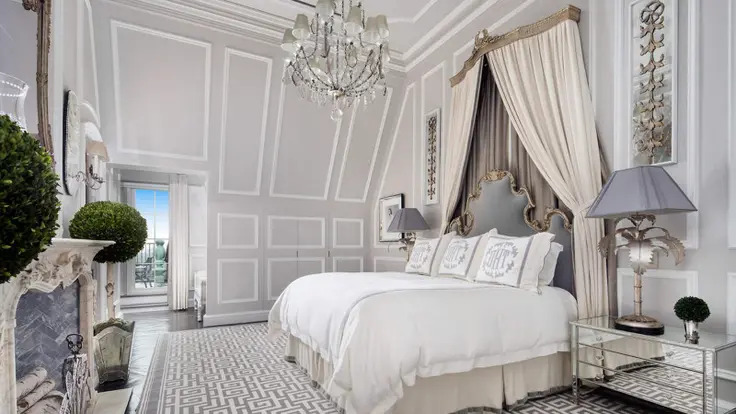 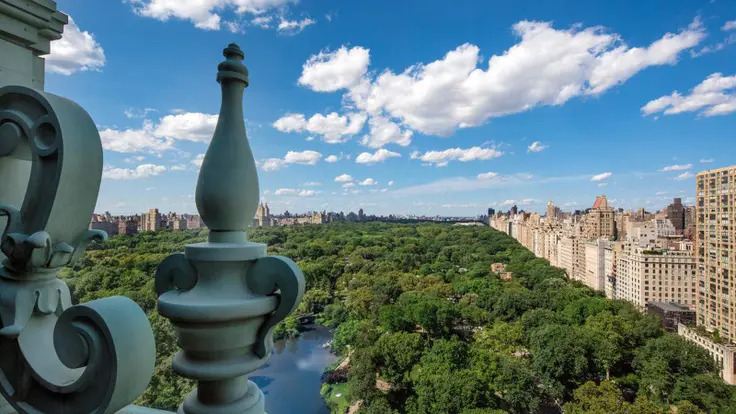 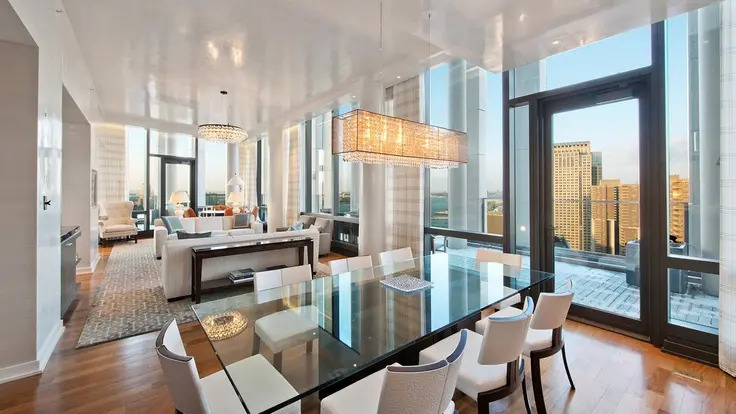 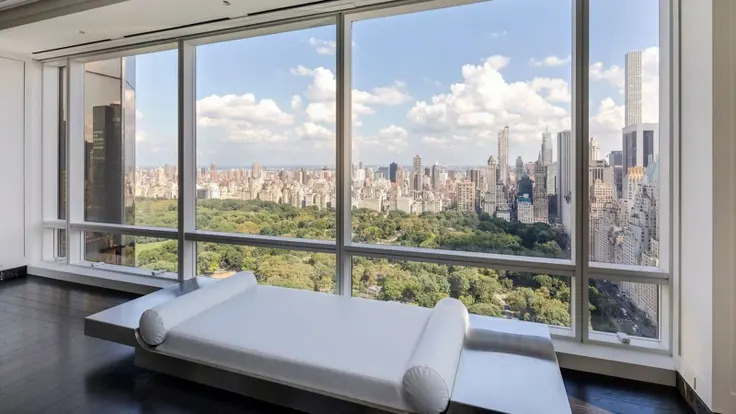 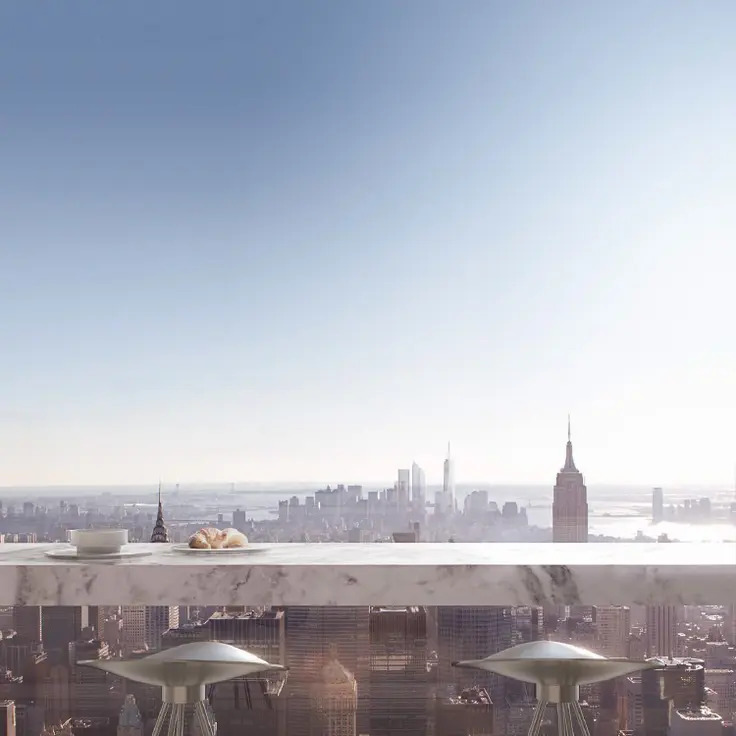 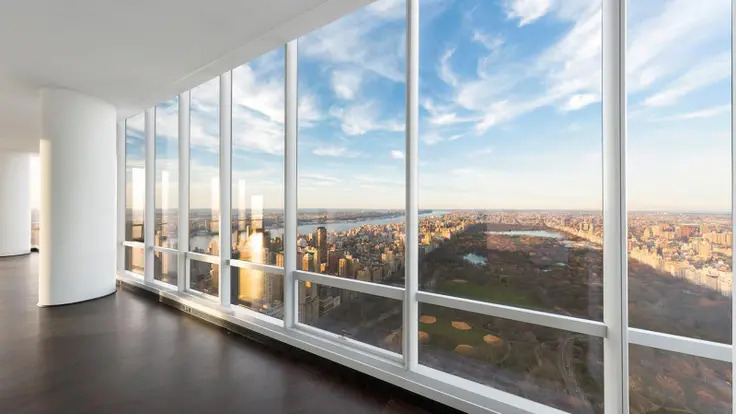 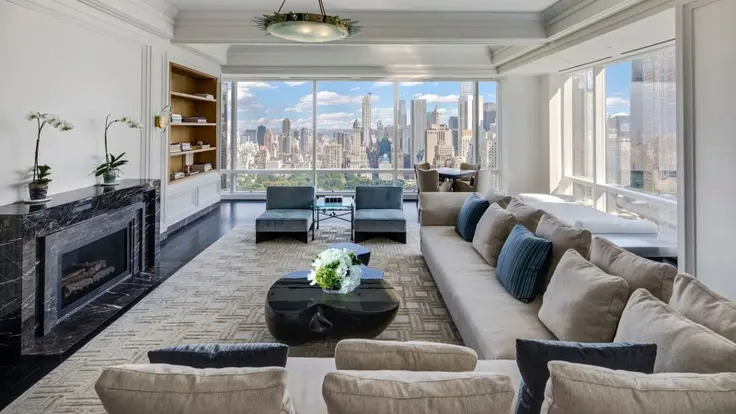 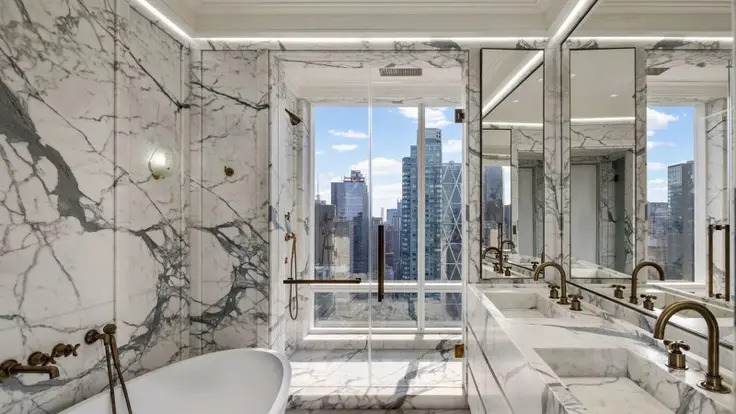 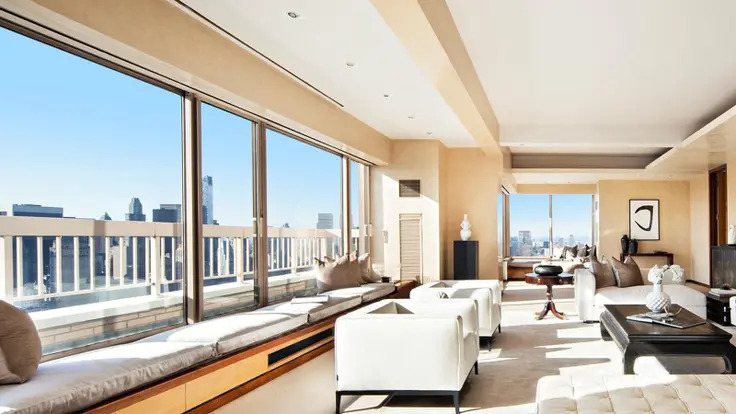 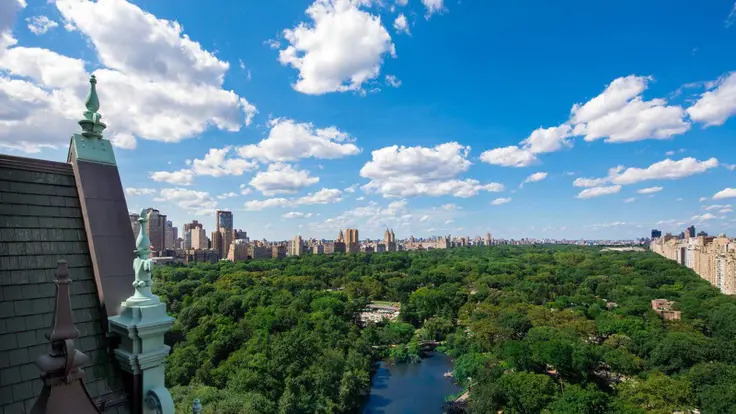 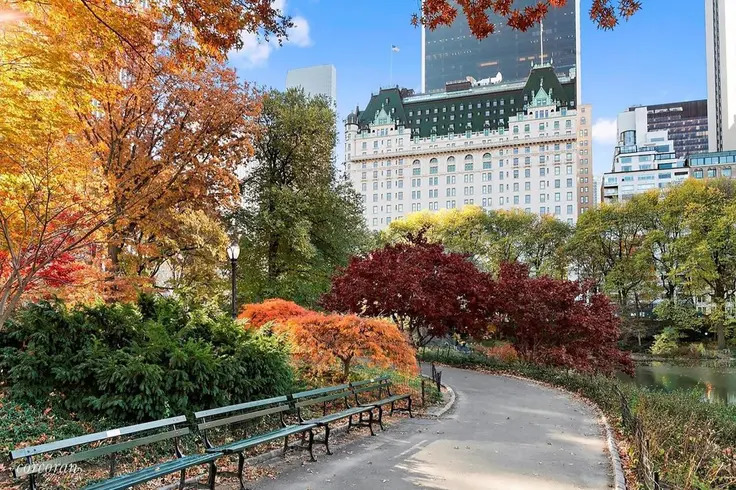 In addition to 198 apartments, the twin 750-foot towers house the 250-room, five-star Mandarin Oriental Hotel and the Jazz at Lincoln Center performance space. 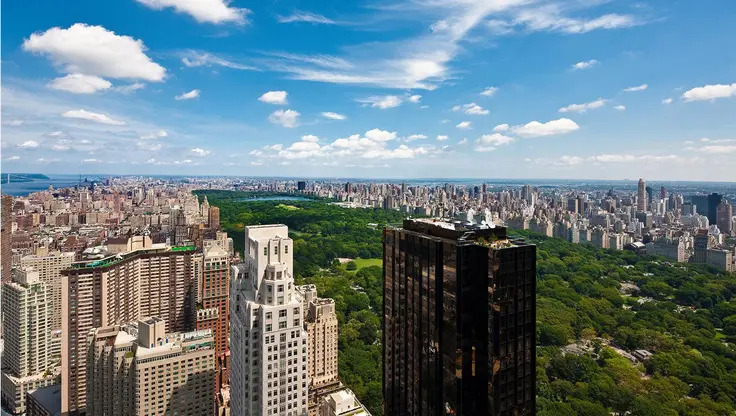 The Time Warner Center is also occupied by a multi-story galleria called the Shops at Columbus Center with many restaurants and retailers, including Masa, Per Se, L’Occitane, Pink, Armani, Hugo Boss and Whole Foods. 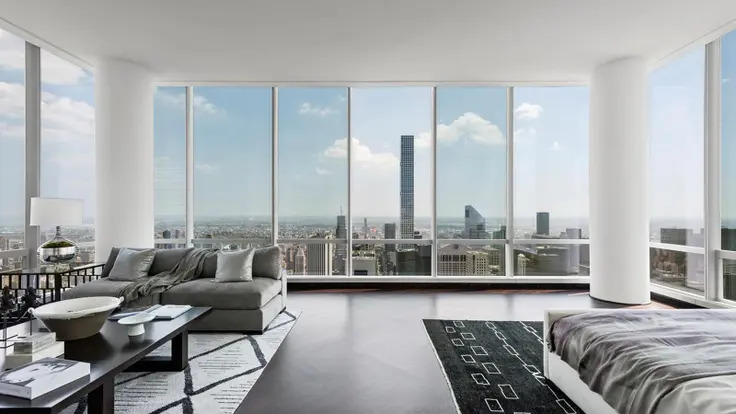 432 Park Avenue is a stunning skyscraper that when built was the tallest in the city without a spire as well as the tallest residential tower. 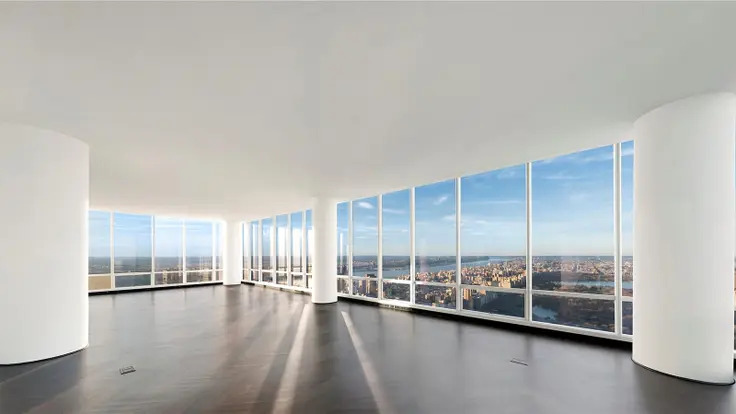 It is 1,396 feet high with 96 floors and 104 condominium apartments. 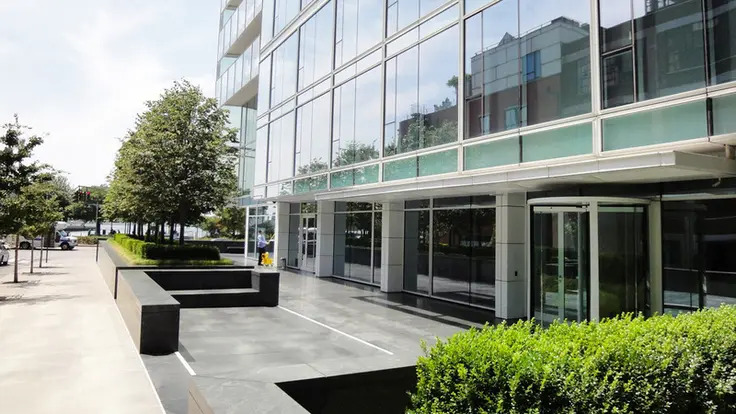 Harry B. Macklowe and the CIM Group were the developers. 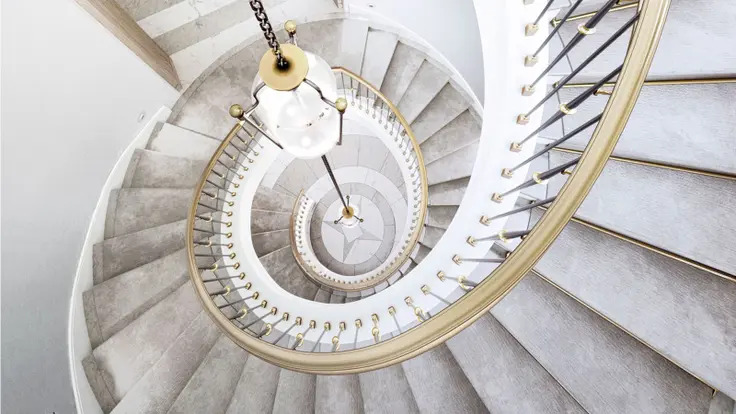 Raphael Viñoly, the architect of the bulbous 20 Fenchurch Street tower in London that is known as the Walkie-Talkie building, was the design architect. 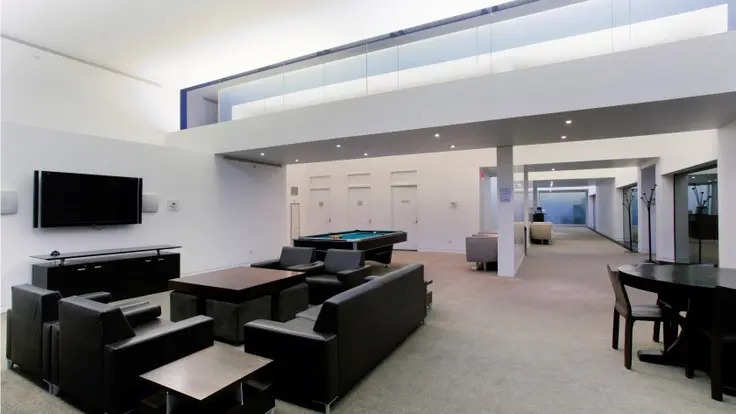 SLCE was the “executive” architect. 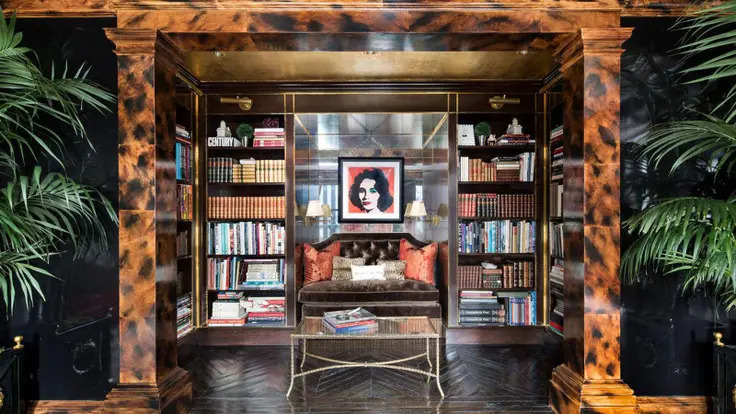 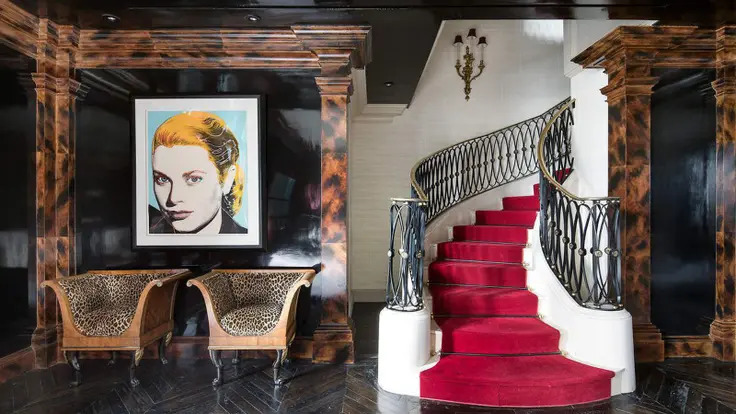 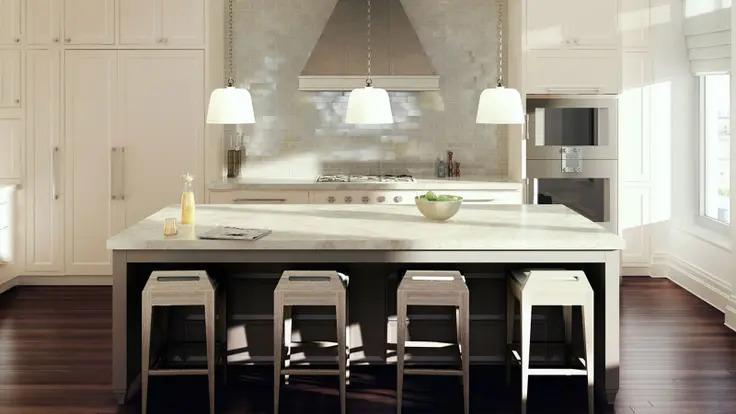 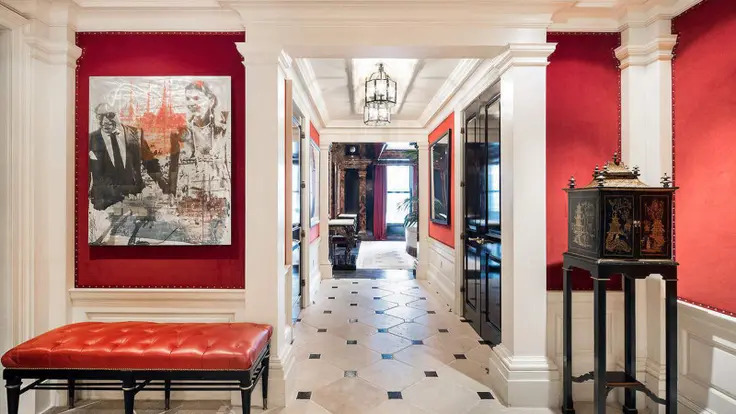 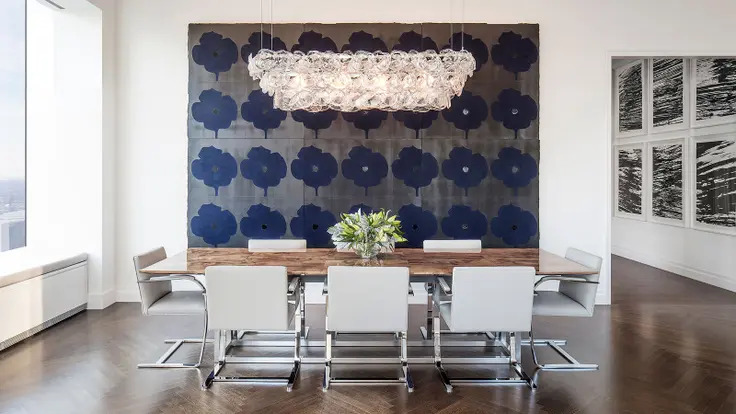 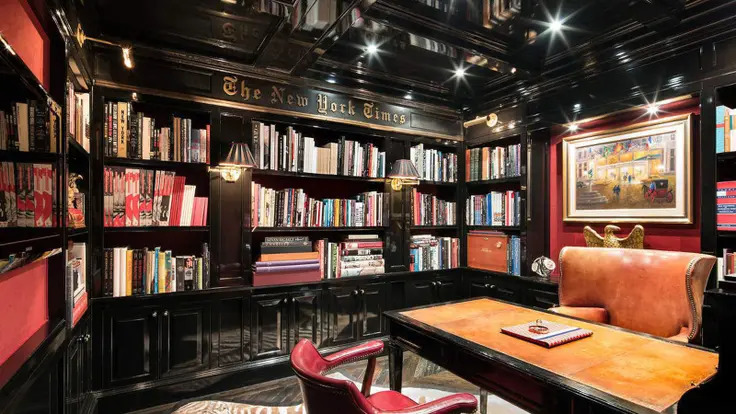 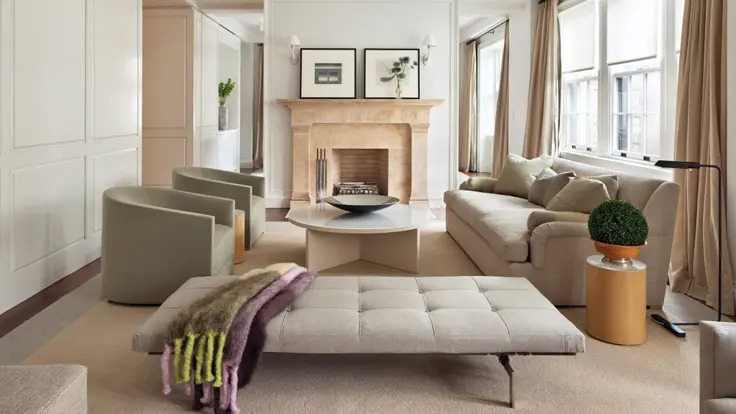 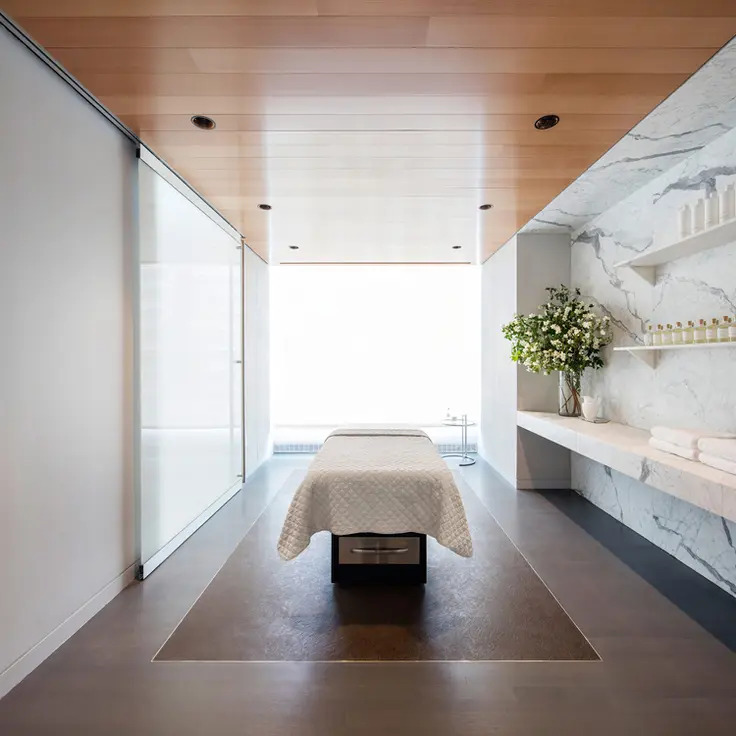 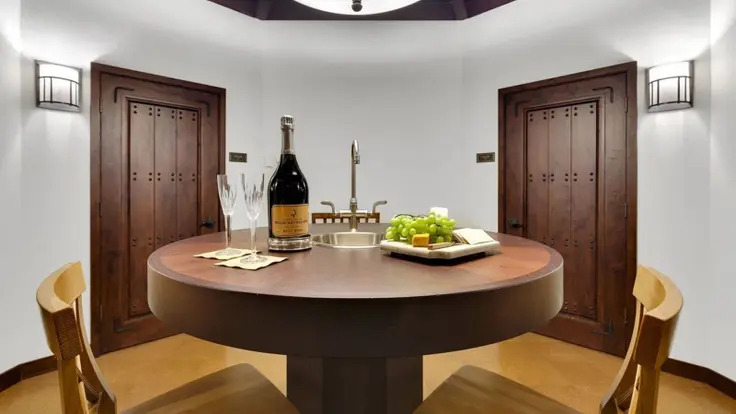 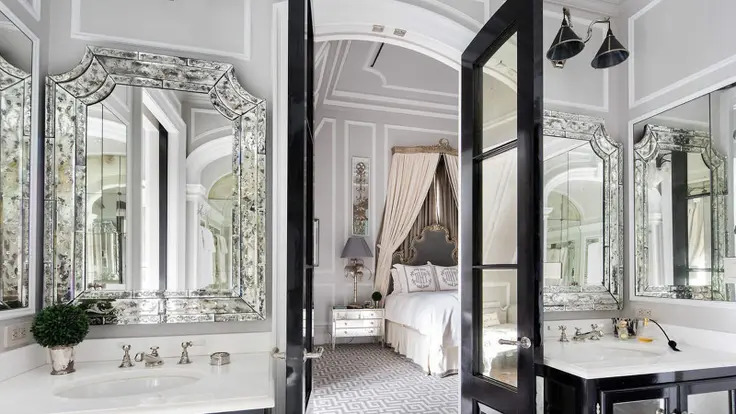 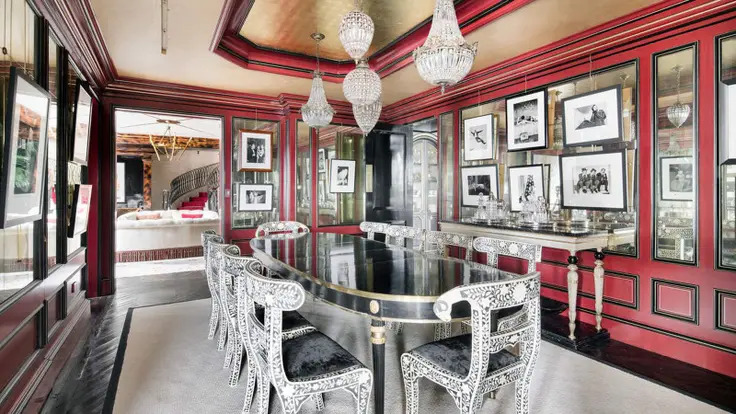 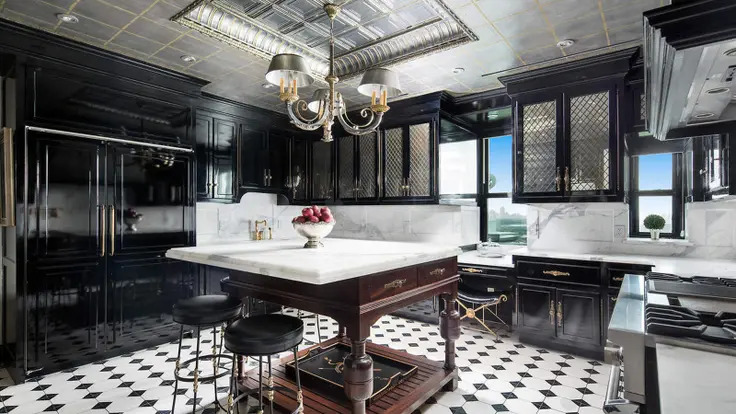 Interiors were designed by Deborah Burke, Bentel & Bentel, which is the firm that designed 11 Madison Park restaurant and Gramercy Park Tavern. 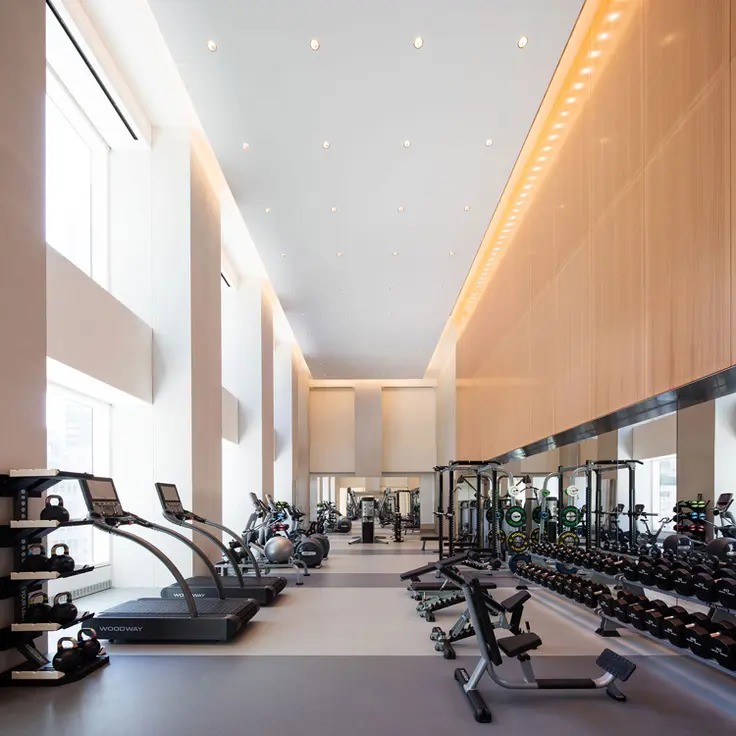 The building, which is on the northwest corner at 56th Street and goes through to a large mid-block site on 57th Street, was completed in 2016. 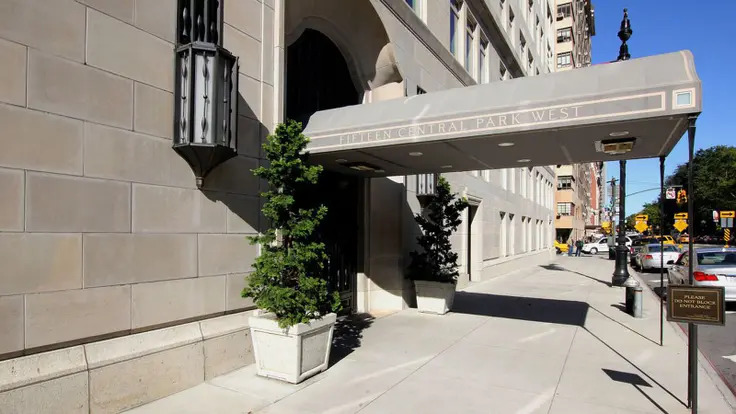 Part of the building's site was formerly occupied by The Drake Hotel. 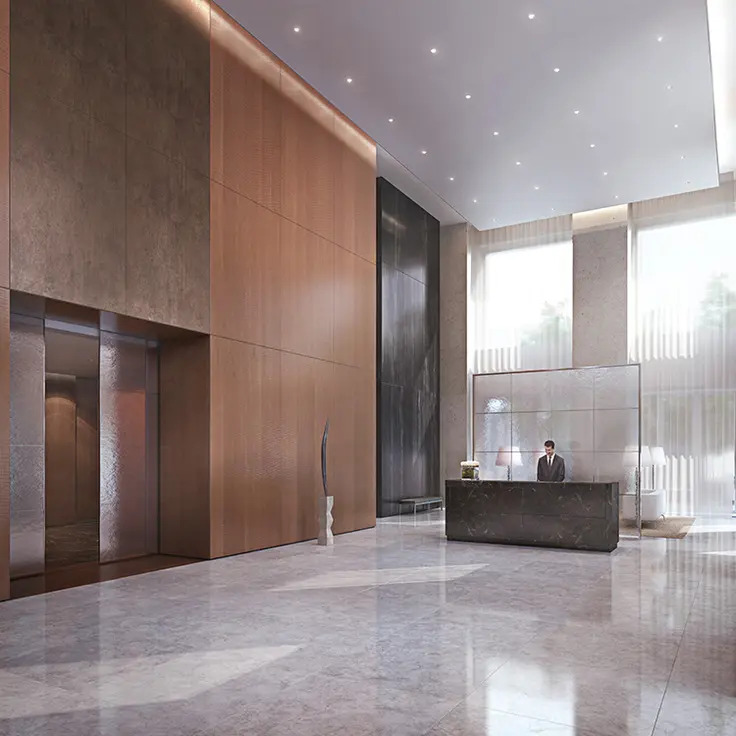 Office units are located on the 18th through the 20th floors. 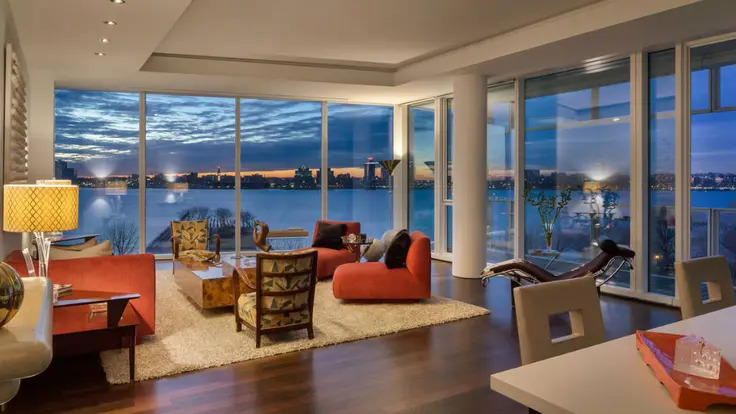 Riverhouse at 1 River Terrace is located in Battery Park City. 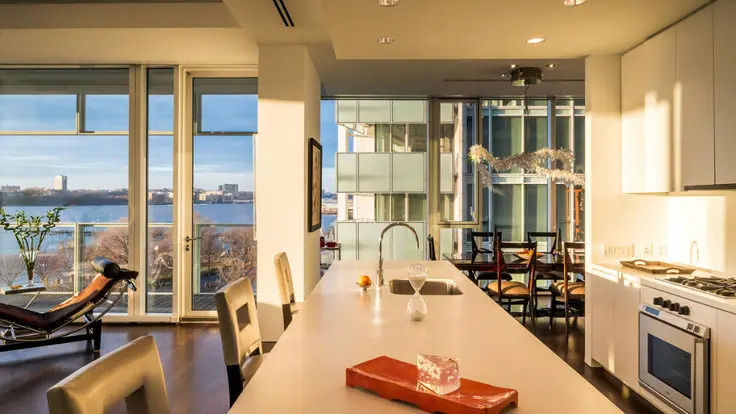 The 32-story Riverhouse, which opened in 2008, achieved gold LEED certification status. 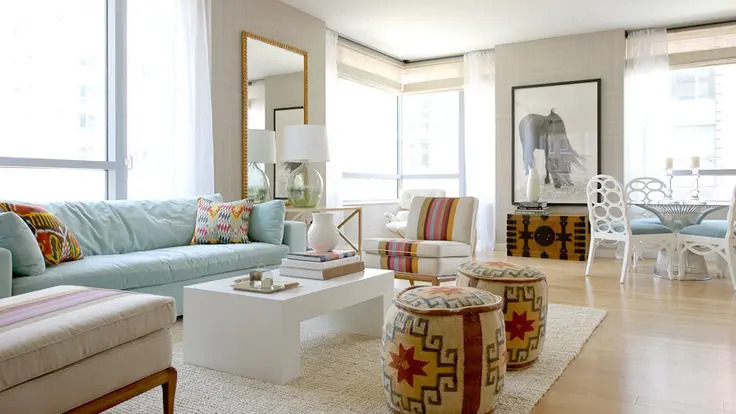 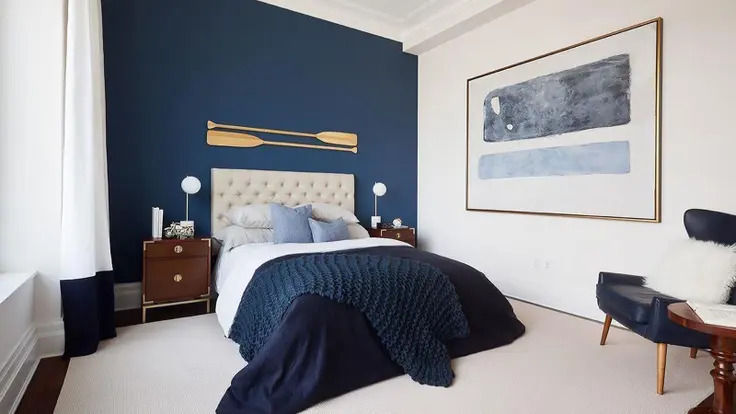 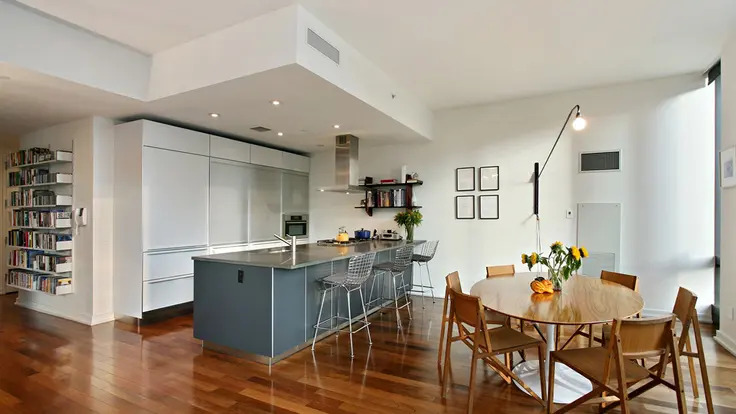 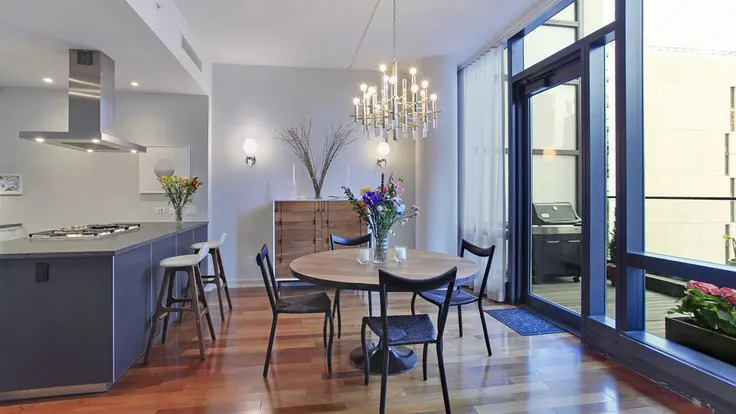 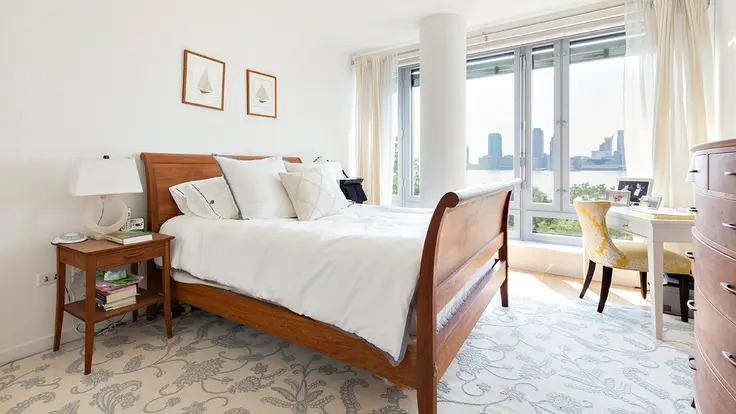 The 264, one- to five-bedroom units have twice-filtered air and water, year-round humidity control, low pollution emitting paints, carpets and acoustical treatments and triple-glazed windows. 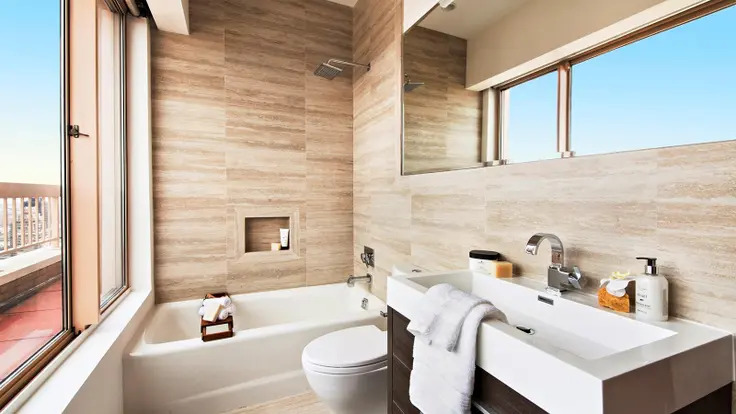 The floors are eco-friendly bamboo and the kitchen and bathroom cabinets are made of sustainable teak. 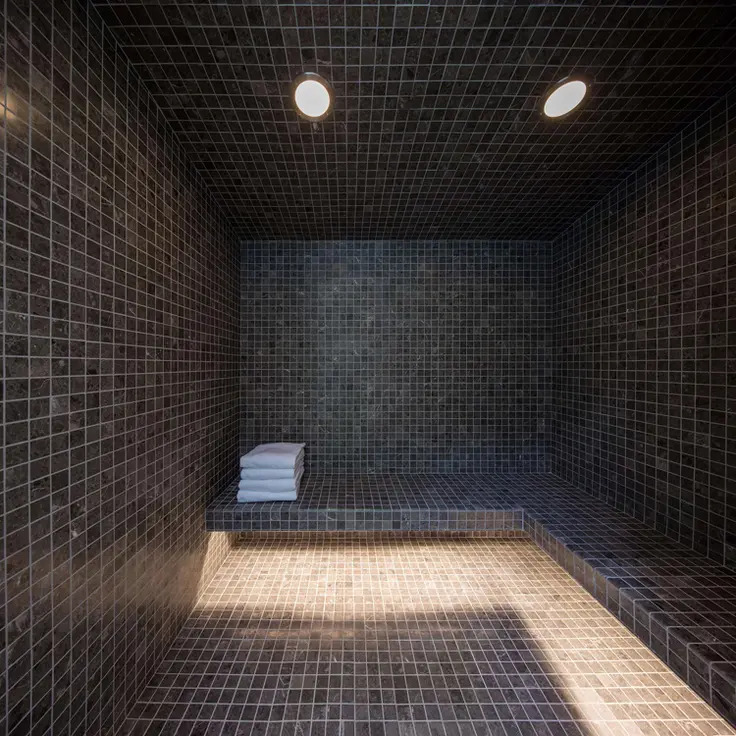 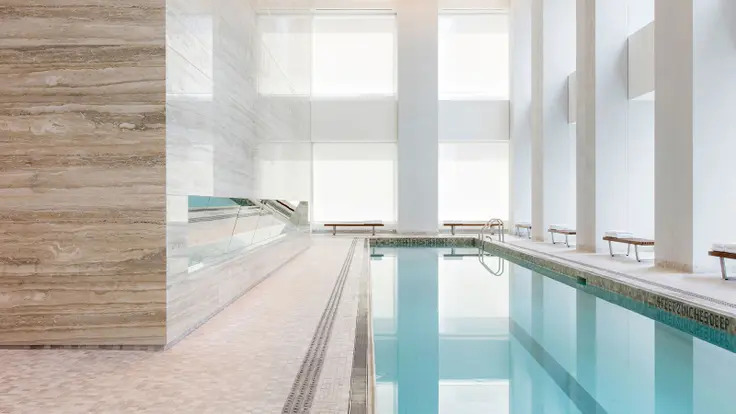 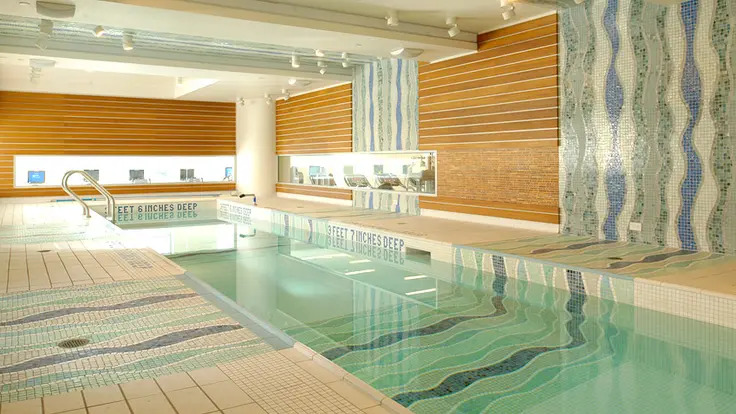 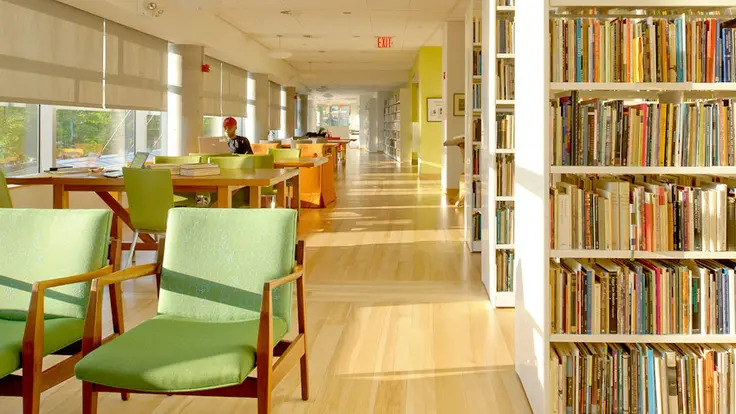 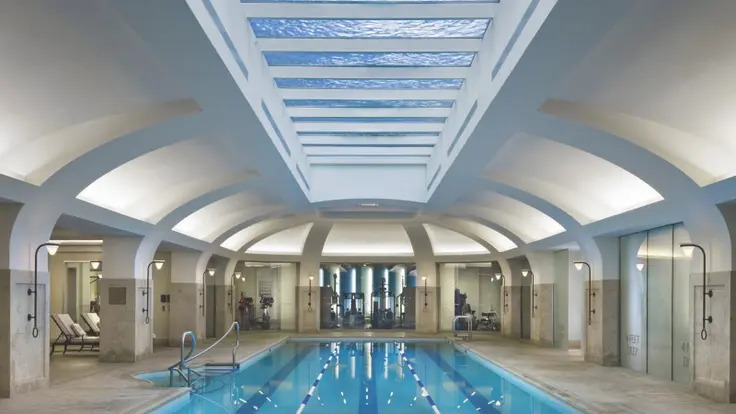 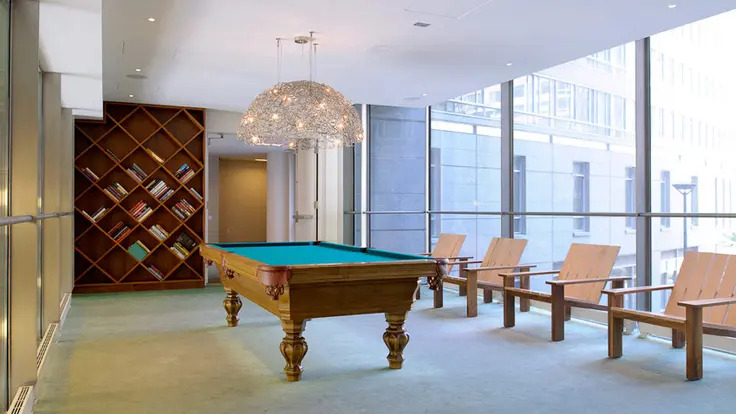 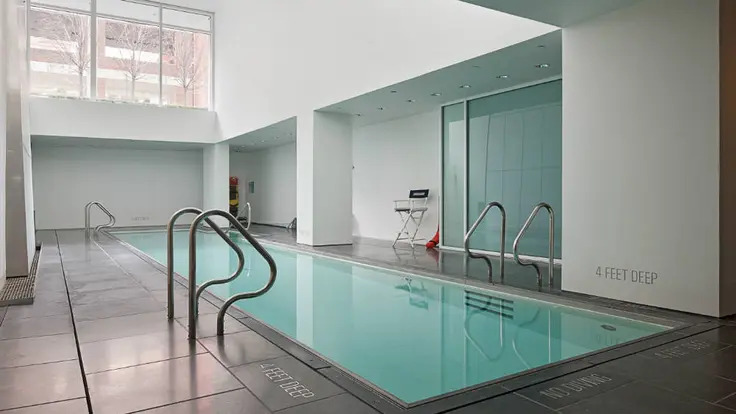 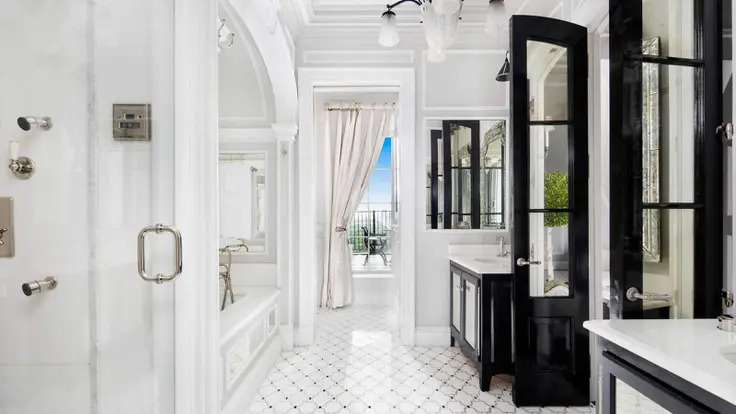 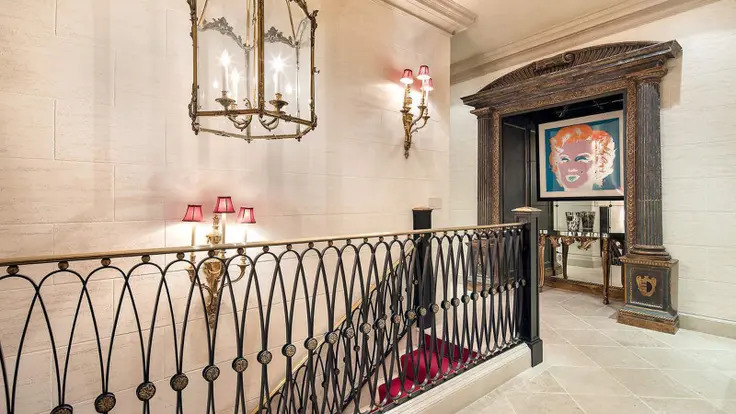 Amenities include a 50-foot aqua-tile lap pool with a pool house, a fitness center with a yoga studio, the Treehouse Lounge, a Media Café with an adjacent billiard room, a landscaped roof garden with a lounge and the Lighthouse children’s playroom. 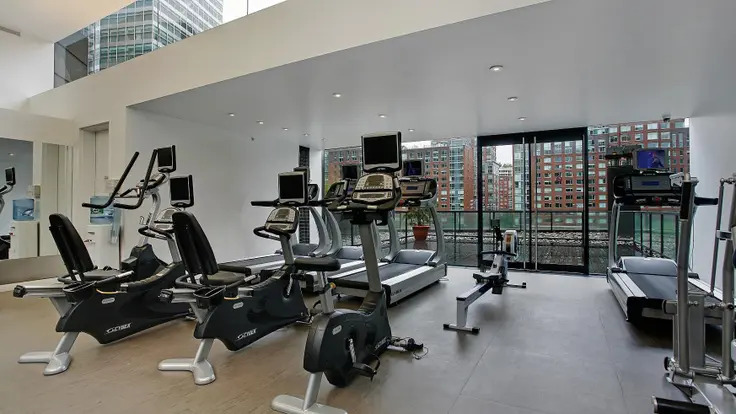 Additionally, residents have access to concierge service, attended parking, on-site bicycle storage and a dog spa. 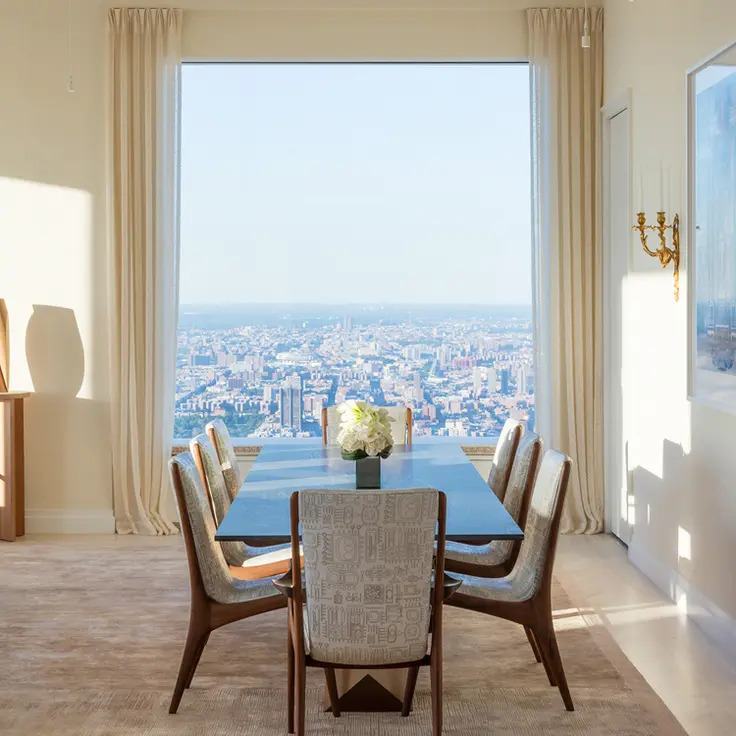 The tallest building on the Upper East Side, this 634-foot-high slender tower is one of the city's handsomest buildings. 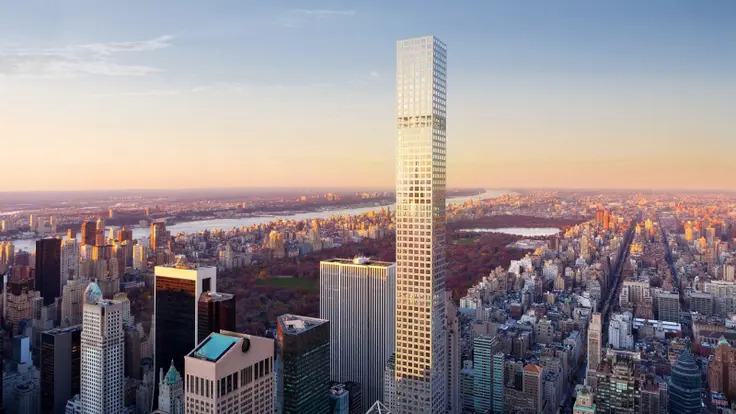 The form and proportions of this 56-story tower are terrific. 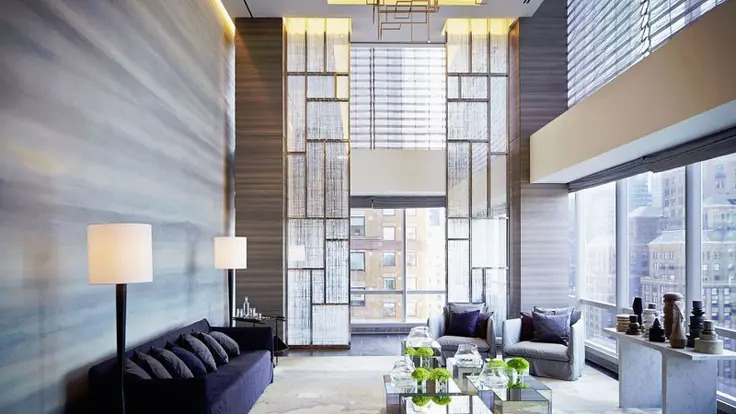 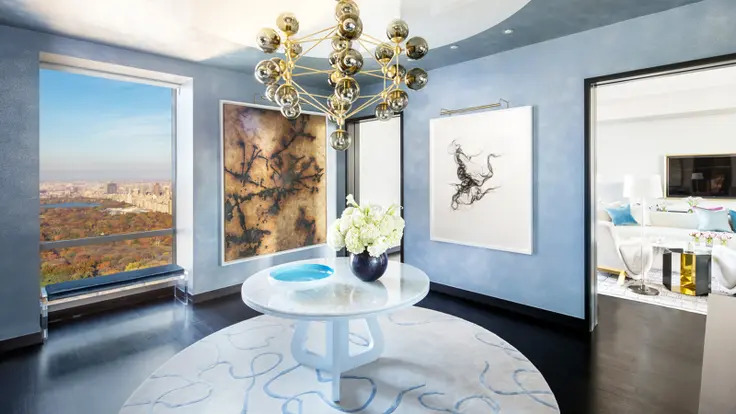 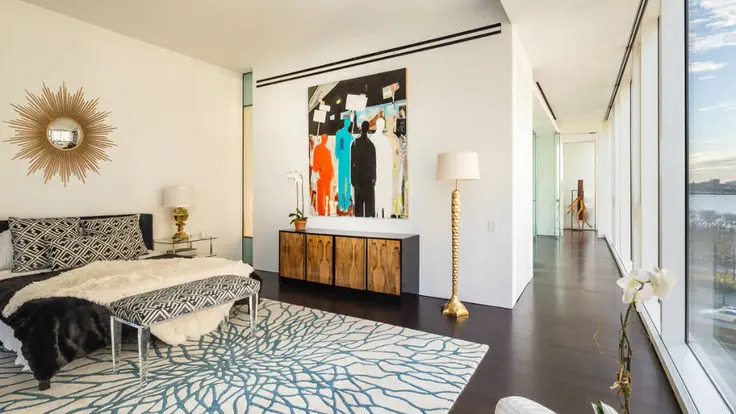 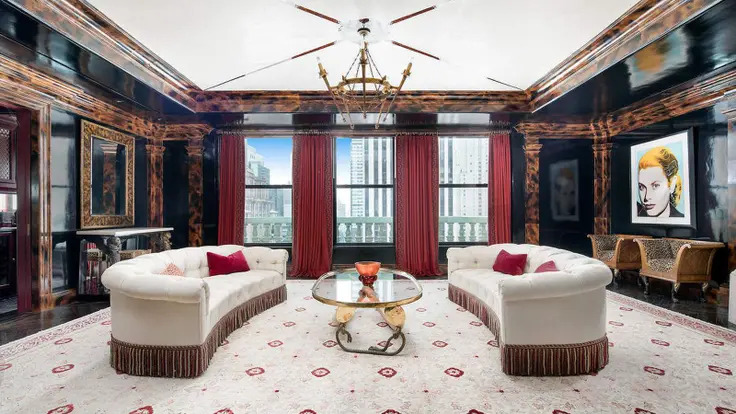 Although its crenellated top recollects that of the famous Chanin Building on the southwest corner of 42nd Street and Lexington Avenue, this is far too sophisticated a tower to be described as Post-Modern. 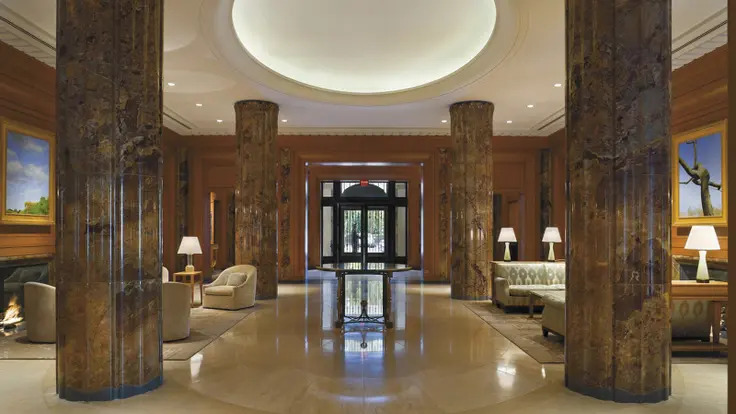 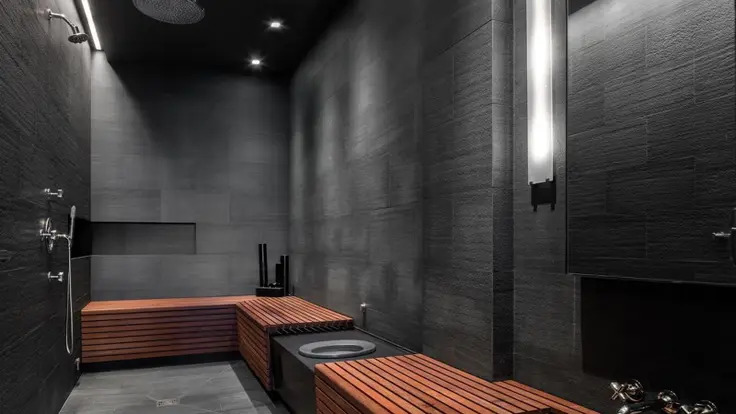 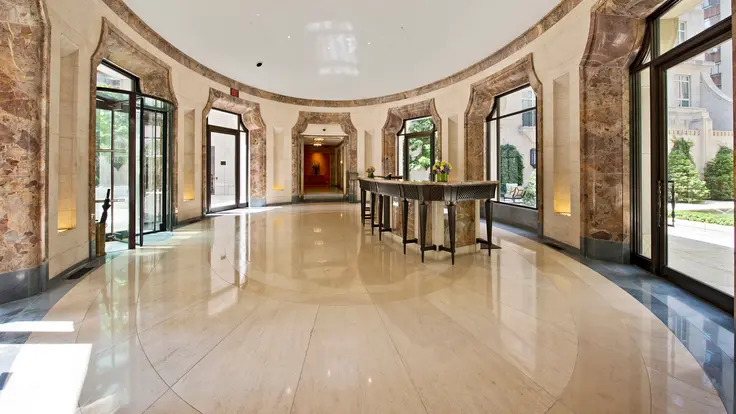 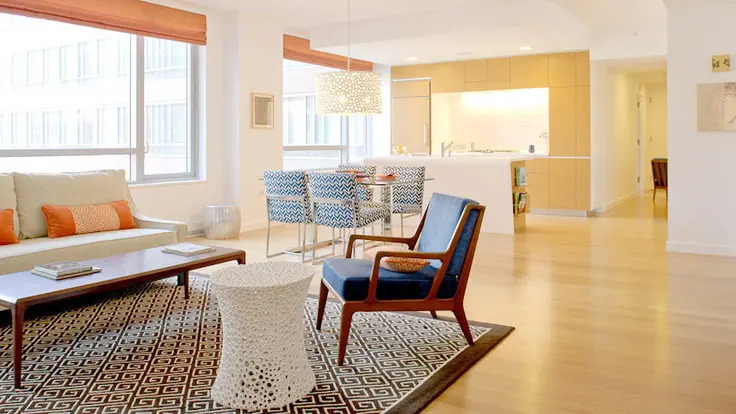 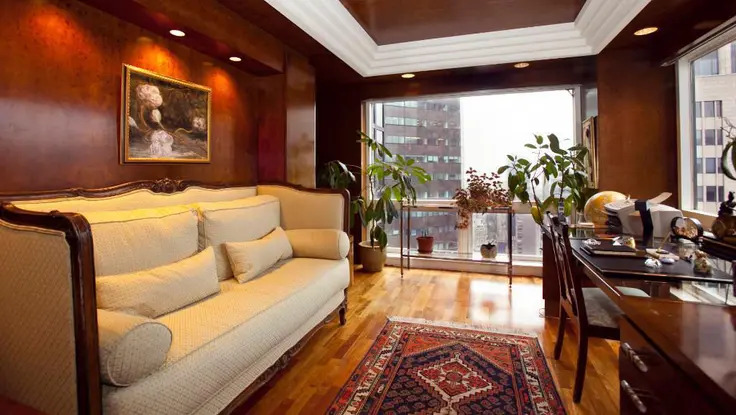 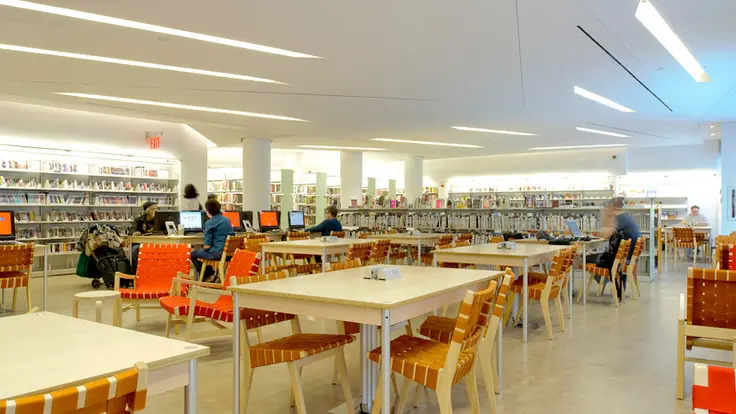 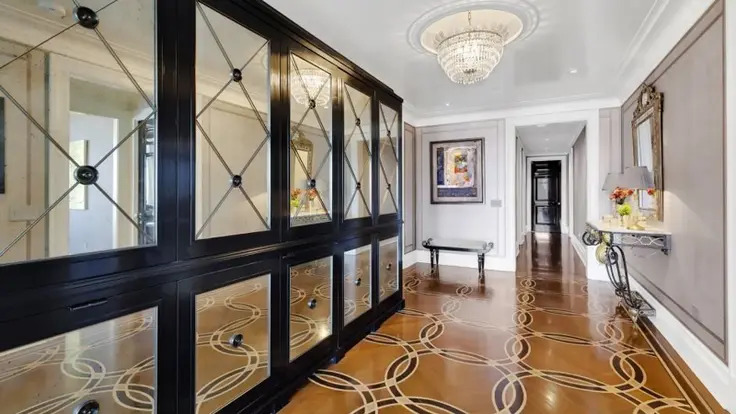 Its architect, Frank Williams & Associates, had previously designed the residential portion of one of the city's most important Post-Modern complexes, World Wide Plaza on a former site of Madison Square Garden in west Midtown. 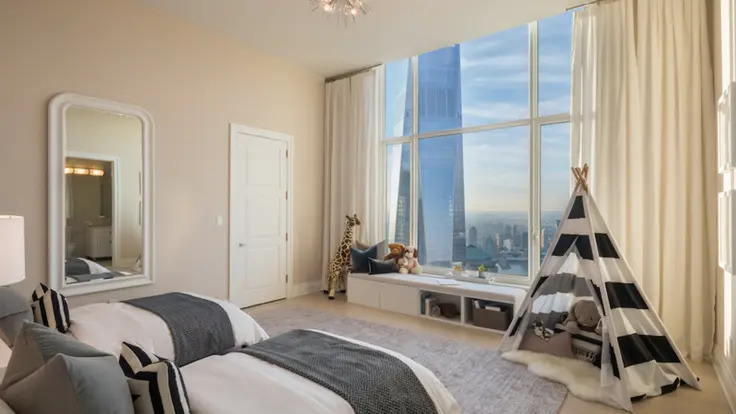 Here, the architects have sculpted a very interesting tower that is an aggressive and very specific intrusion into the skyline, one that represented a significant departure for its famous developer, who previously was preoccupied with glitz and slickness. 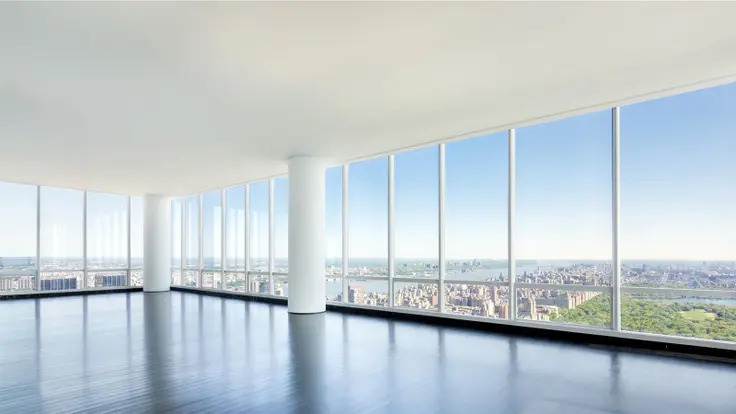 This is a brick building, to begin with. 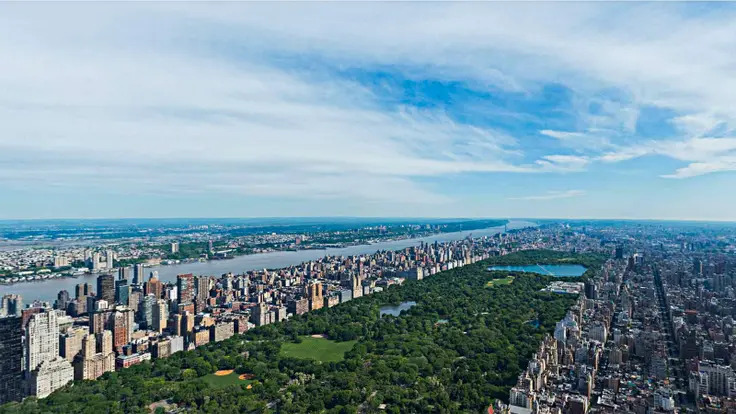 It has many traditional "courses" that cap, or separate, different divisions of the tower. 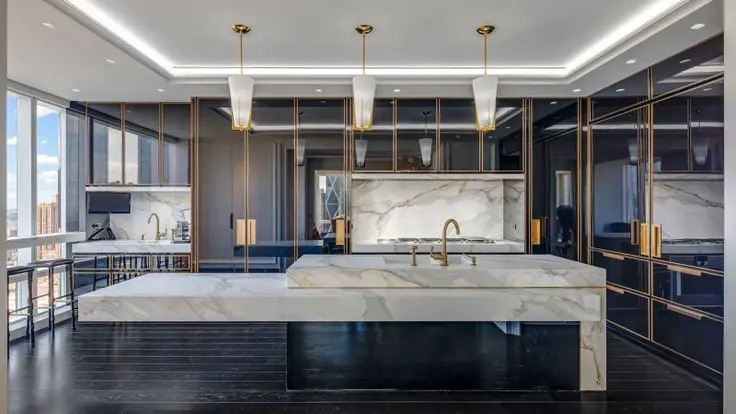 Its shape is distinctly complex and not at all clean-cut. 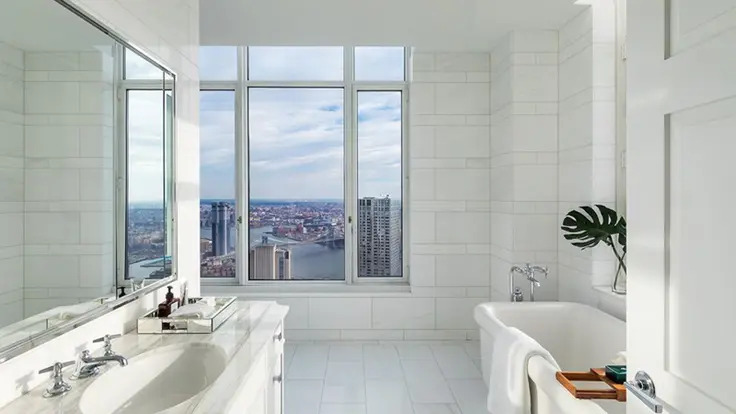 Given the general anti-high-rise sentiment of the city at the time this was built in 1991, it is quite stunning that Trump was able to pull this project off. 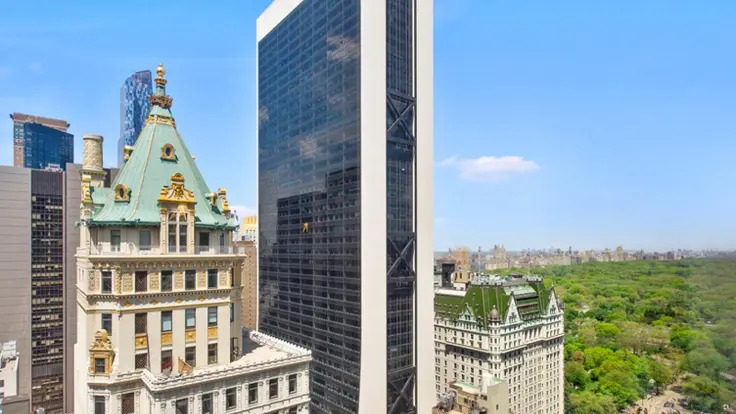 Third Avenue, of course, was no stranger to high-rise "luxury" towers in the 60's, including another Trump project several blocks to the south, but this stands in splendid isolation. 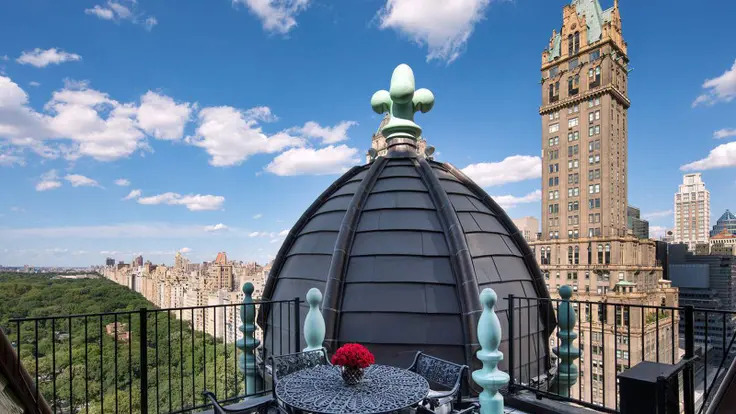 As such, it toppled the Carlyle Hotel on Madison Avenue at 76th Street as the most prominent, unofficial landmark on the Upper East Side. 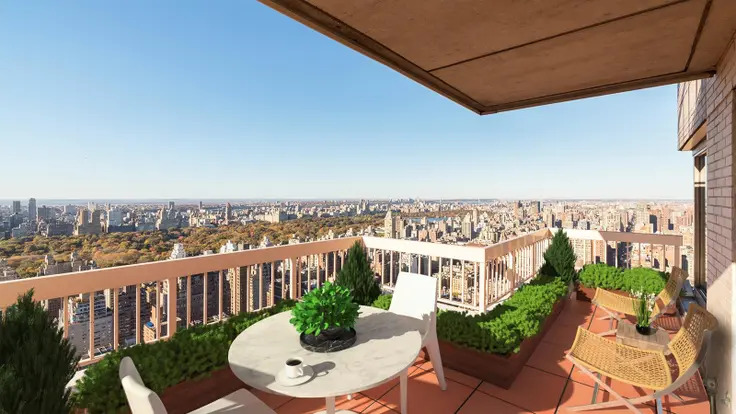 More importantly, it greatly improved the Upper East Side skyline for Upper West Siders. 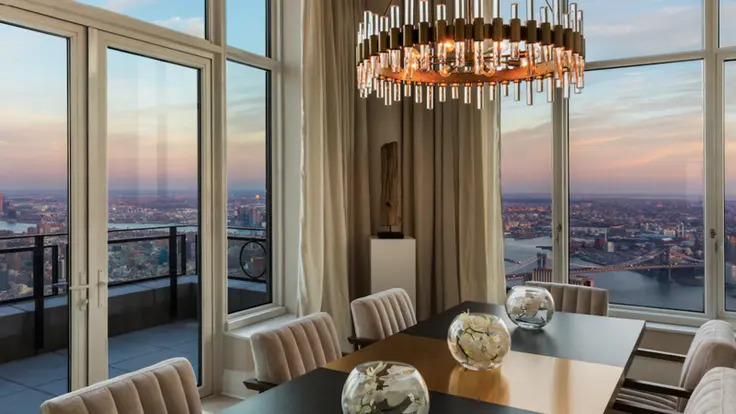 At about the same time that Trump was going ahead with this project, he switched architects on his large "Trump City" project on the Upper West Side overlooking the Hudson River from a modernist design that included a "world's tallest building" there, designed by Helmut Jahn, for Trump, to a Post-Modern enclave designed by Costas Kondylis that mimics some of the Art Deco twin-towered buildings of Central Park West. 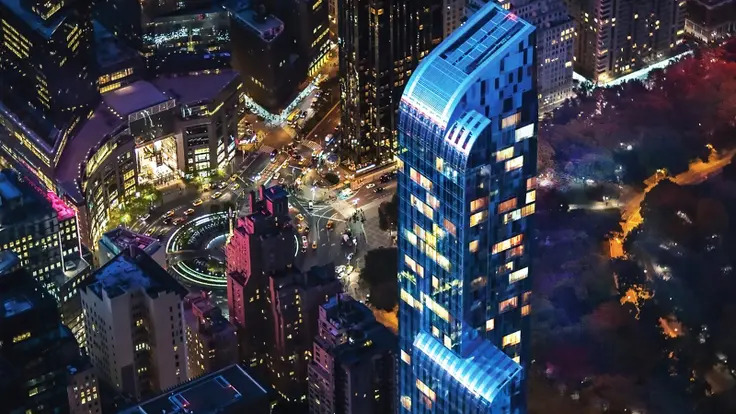 While this tower's top, which is beautifully illuminated at night, is reminiscent of Art Deco, the building's base is more typical Trump, a generally conservative, corporate blandness with a bit of expensive flash. 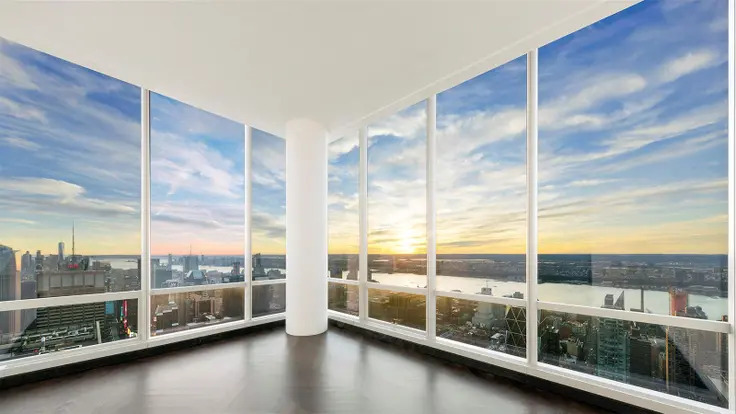 The condominium apartment layouts are efficient, but not palatial, and most of their views are protected and sensational. 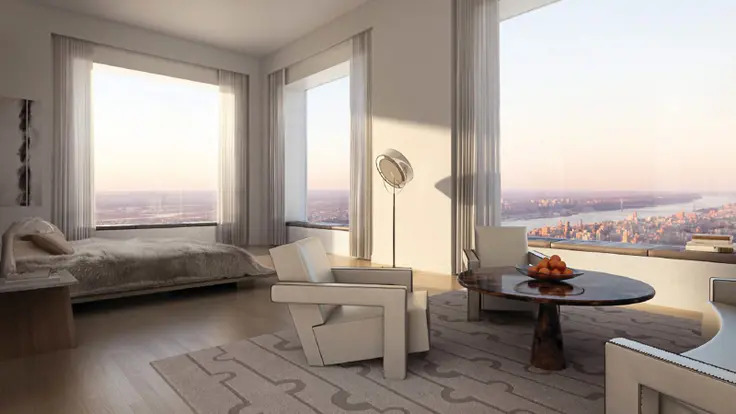 The marketing here is generally aimed at an international market largely interested in conventional pied-a-terres, which can be combined for larger units, with plenty of amenities and convenience. 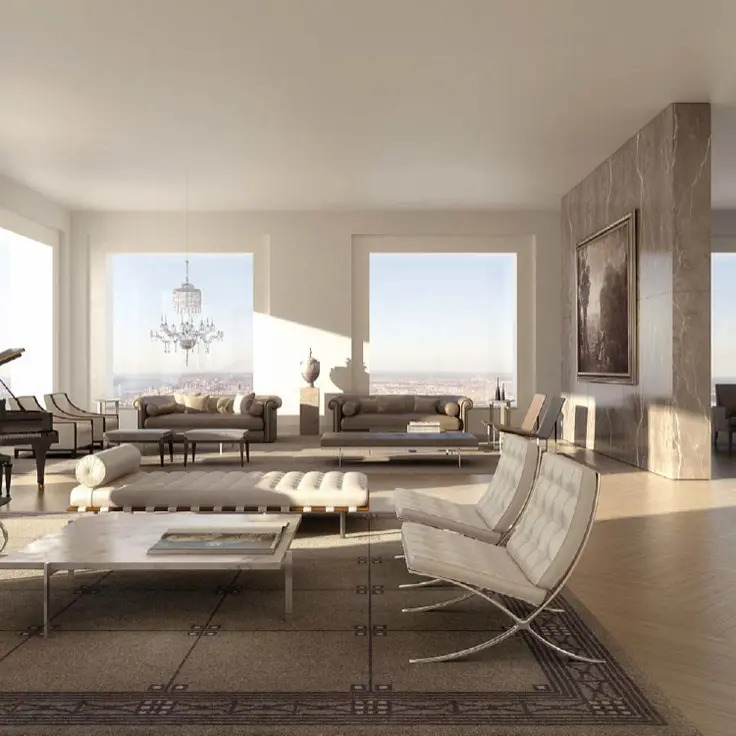 The top several floors have only one unit each. 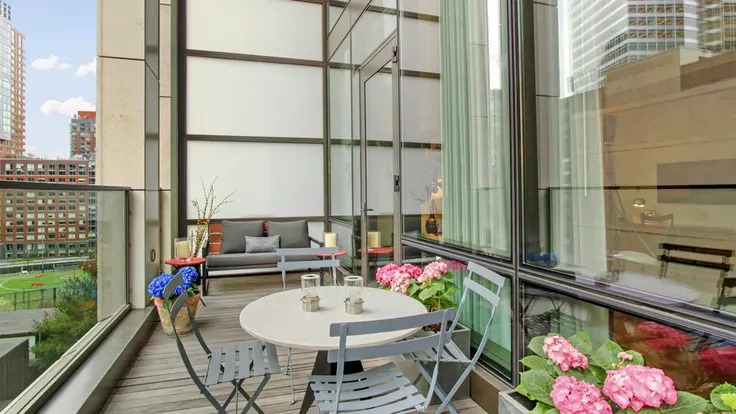 The building's brick is a yellowish-orange, which is an interesting experiment at keeping the large tower light in tone but also warm and inviting. 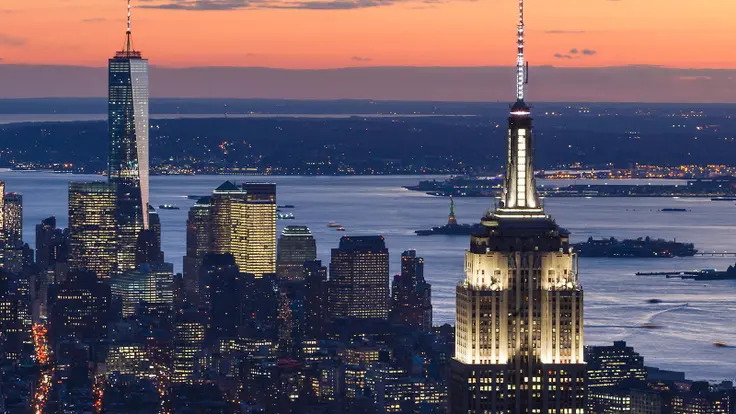 The experiment, however, misses somewhat and the tower's color is, well, peachy. 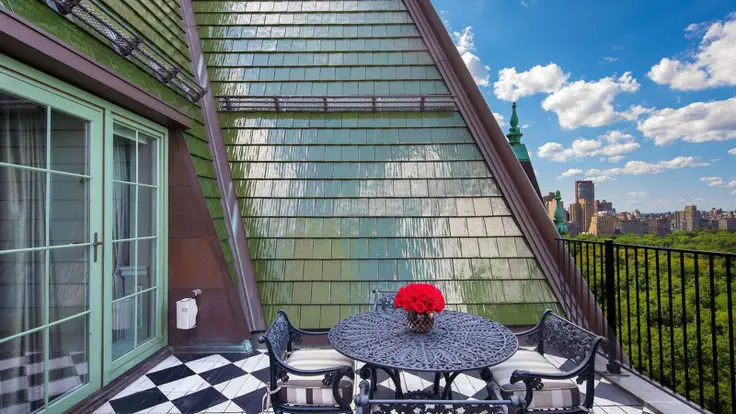 Furthermore, the brickwork does not appear to be the most expensive, or finely detailed. 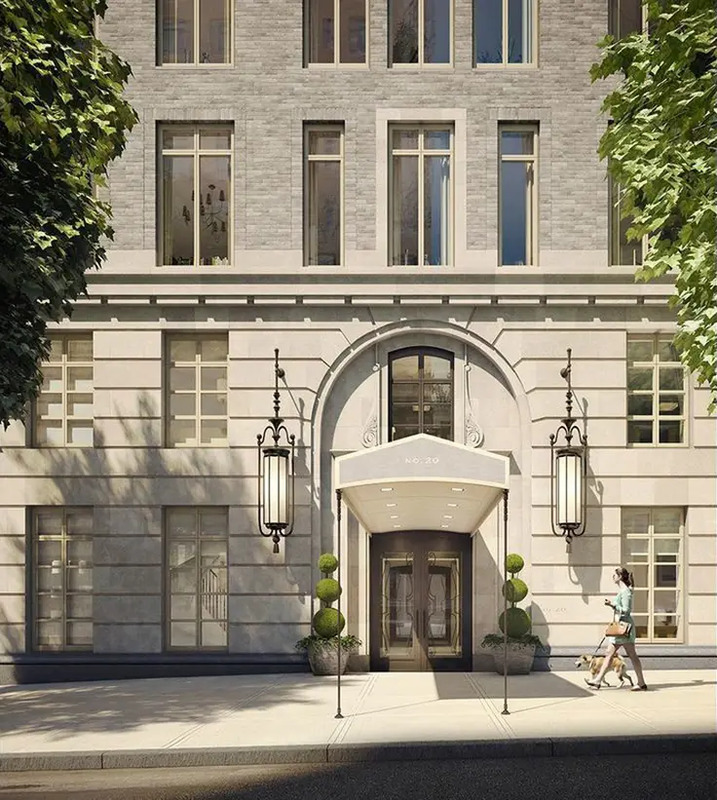 Nevertheless, a brick tower is welcome and the wealth of detailing on the other building elements is admirable. 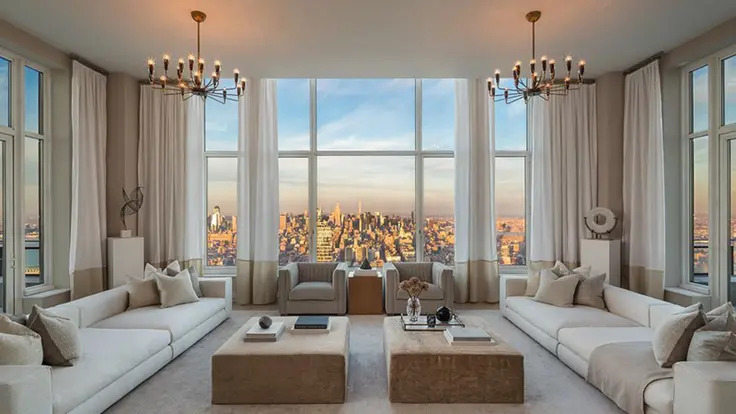 Despite its size, there are only 285 apartments here, two-thirds of which are in the tower and the remainder in two attached structures, one eight stories and the other nine stories, thereby affording residents considerable more "exclusivity" on their floor than many other recent large projects. 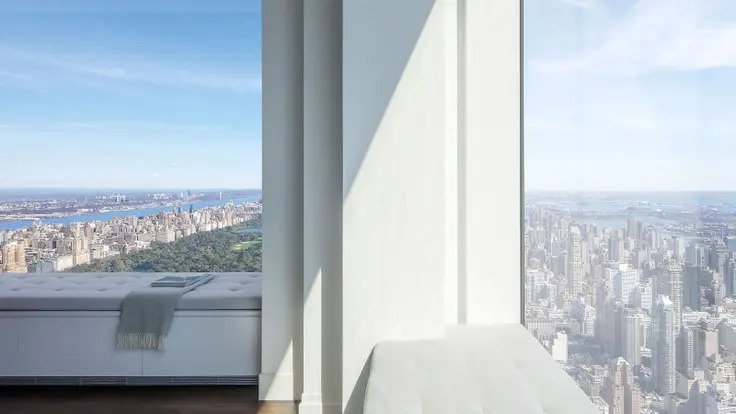 With its superb massing, this tower could only be improved if it had a travertine marble façade and surely Trump will eventually get around to erecting such a tower, but perhaps without such an excellent location. 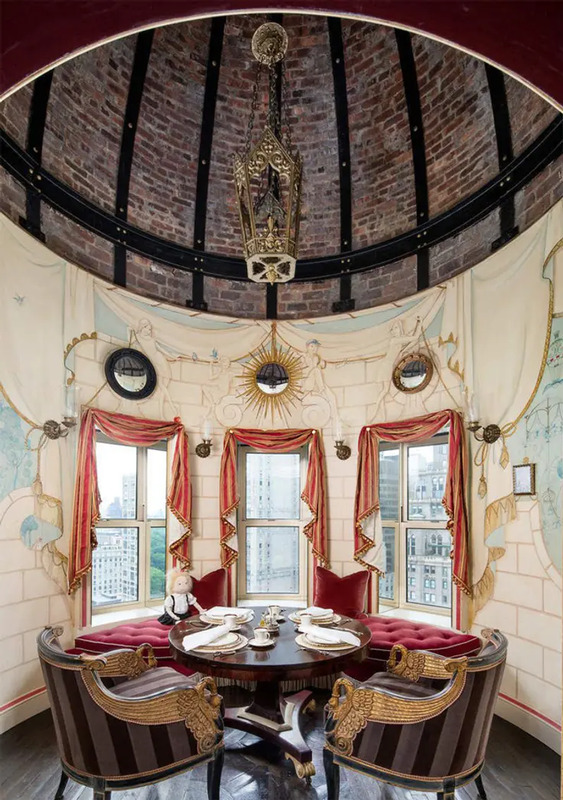 The tower replaced the 10-story, New York Foundling Hospital that had been erected in 1959. 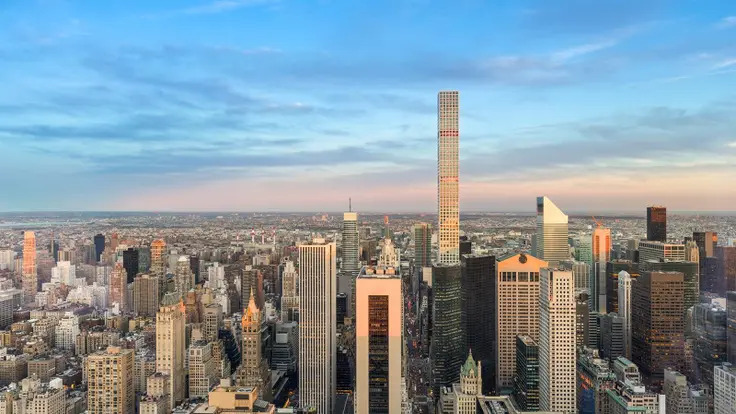 The tower was built "as-of-right," but Mr. Trump could not get a zoning variance he wanted to create a five-screen movie theater on the site. 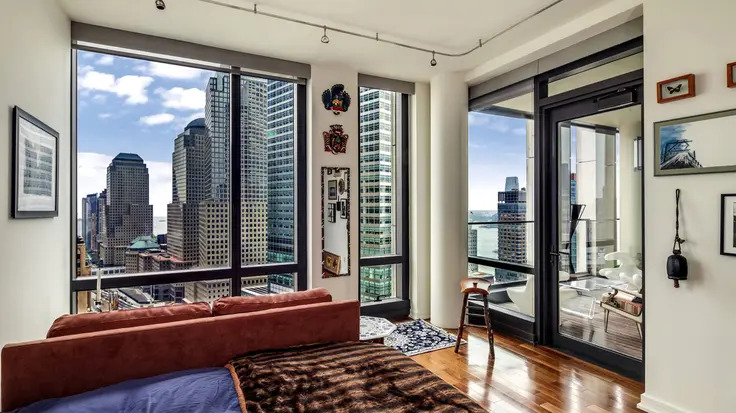 "A lively pattern of windows and balconies," noted Robert A. M. Stern, David Fishman and Jacob Tilove noted in their great book, "New York 2000, Architecture and Urbanism Between The Bicentennial and The Millennium" (The Monacelli Press, 2006), "added interest to the telescopic tower, which proved to be just the kind of landmark Third Avenue needed, though Herbert Muschamp did not see its bravura in positive terms, agreeing in essence with Kenneth Koyen, a neighbor of the tower, who called it 'as appropriate as an asparagus spear on a golf green.' 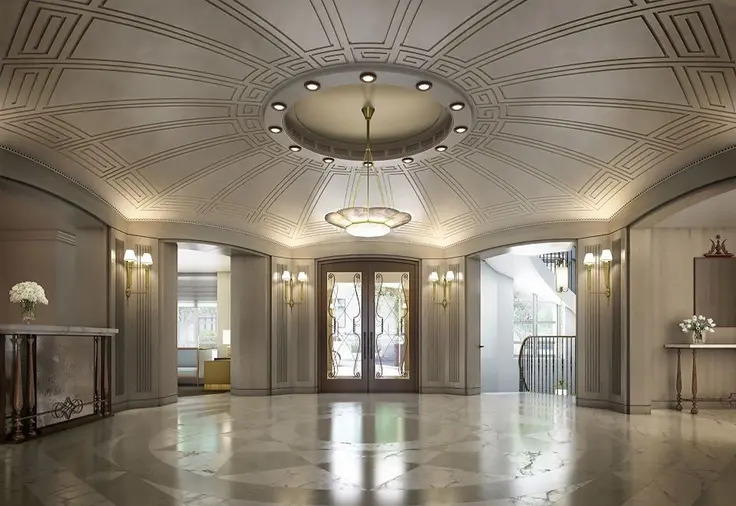 Muschamp took issue with several aspects of the design, beginning with the detailiing of the base, which he castigated as 'tacky Art Deco trim.' 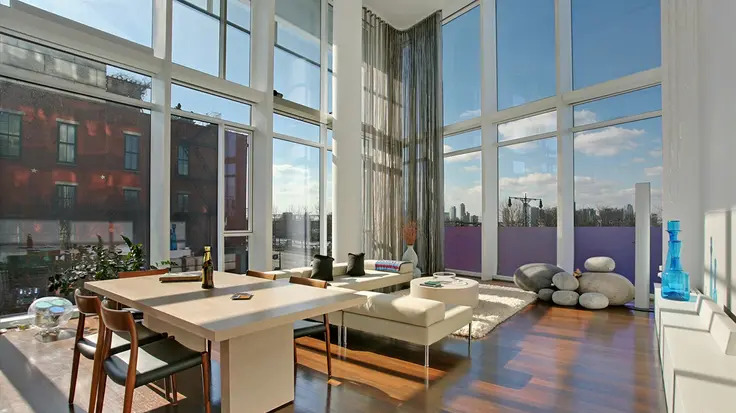 He also felt that the brick walls, 'glamorous from a distance, look cheap up close.'" 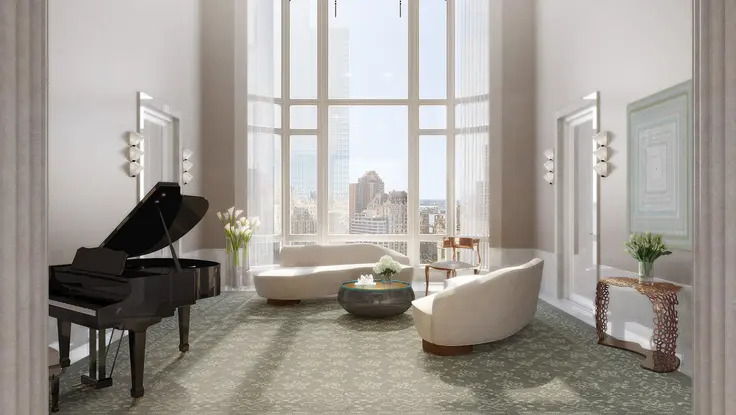 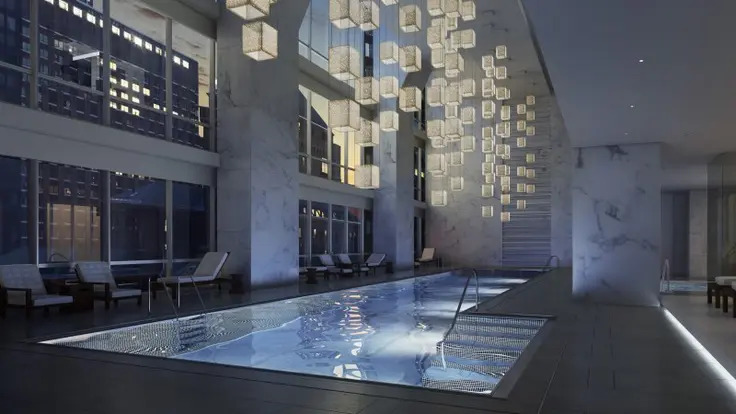 This 82-story, mixed-use tower at 30 Park Place just to the west of the Woolworth Building at 233 Broadway combines a 175-room Four Seasons Hotel on the lower 22 floors and 157 luxury condominiums on the upper floors numbered 39 through 82. 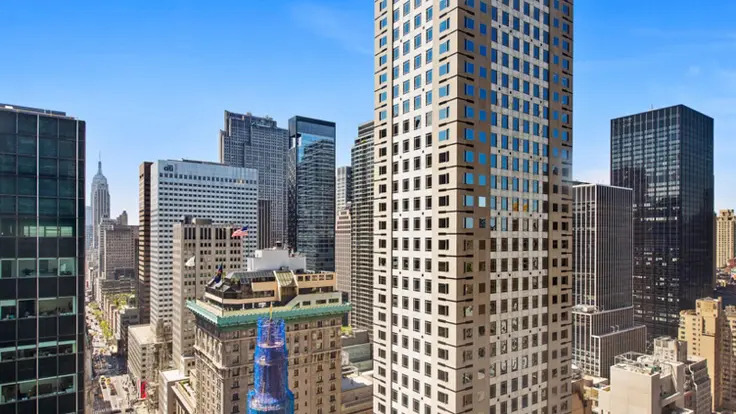 Silverstein Properties, the developer of nearby towers at the World Trade Center, and the California State Teachers Retirement System (CalSTRS) are the developers. 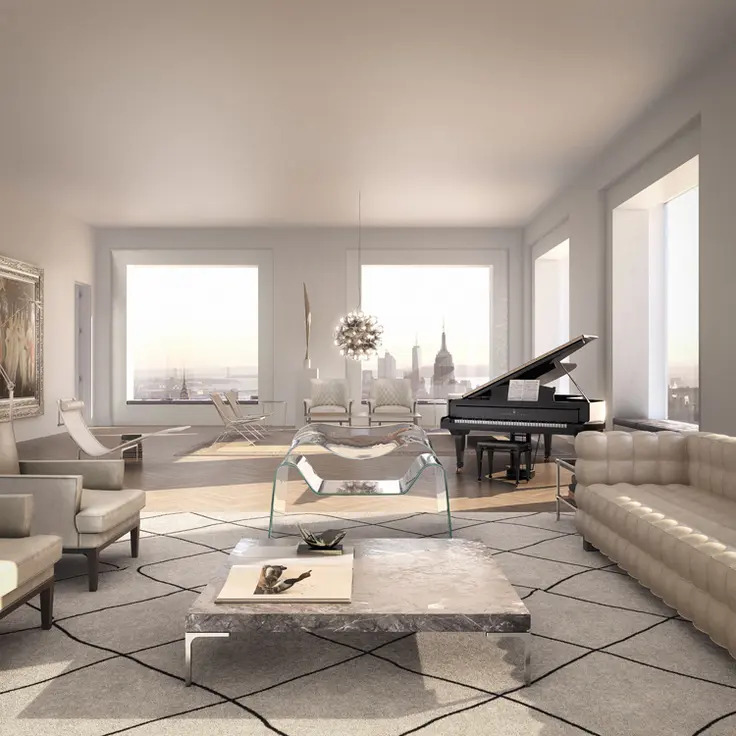 Robert A. M. Stern is architect. 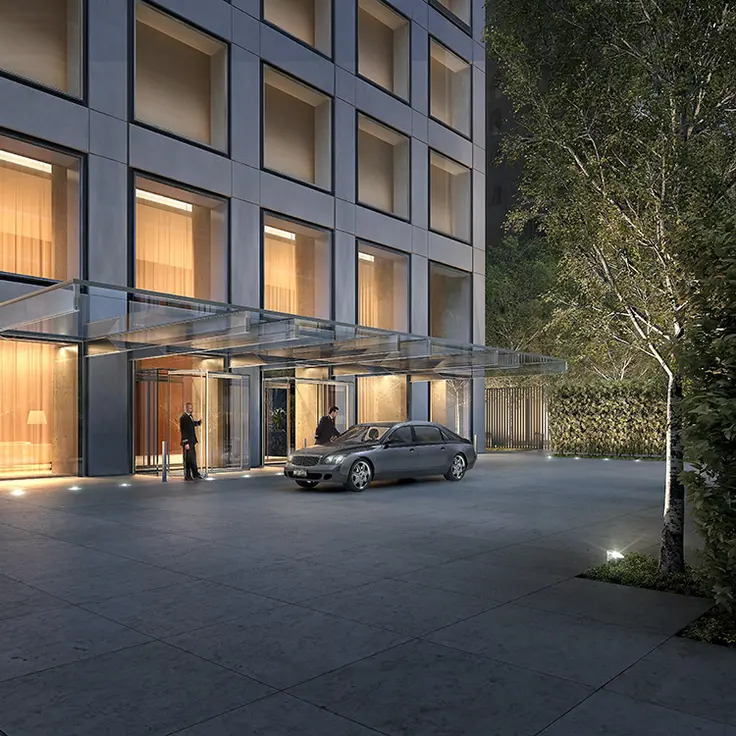 The project is scheduled for completion in the middle of 2016. 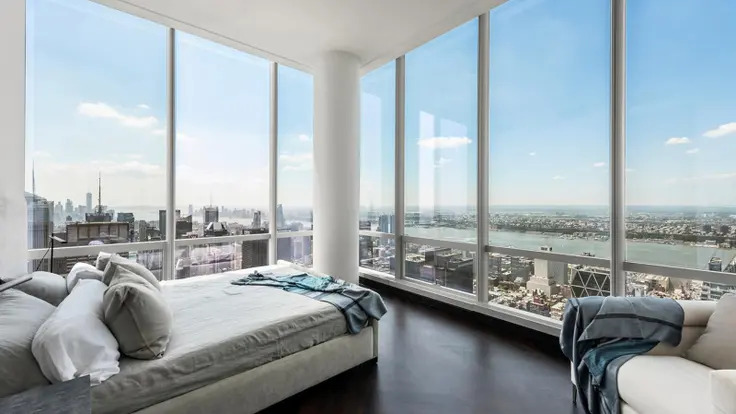 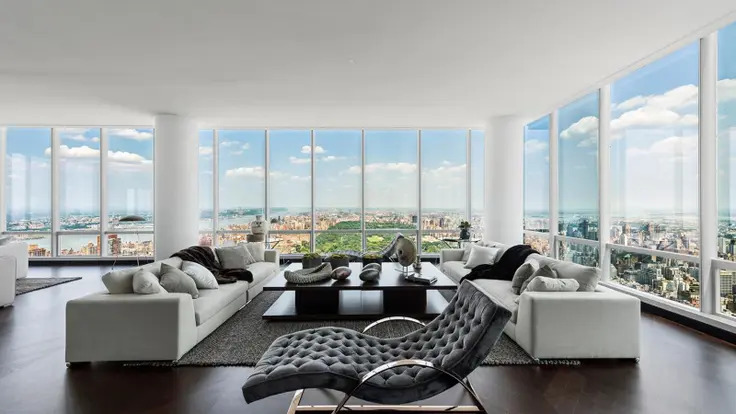 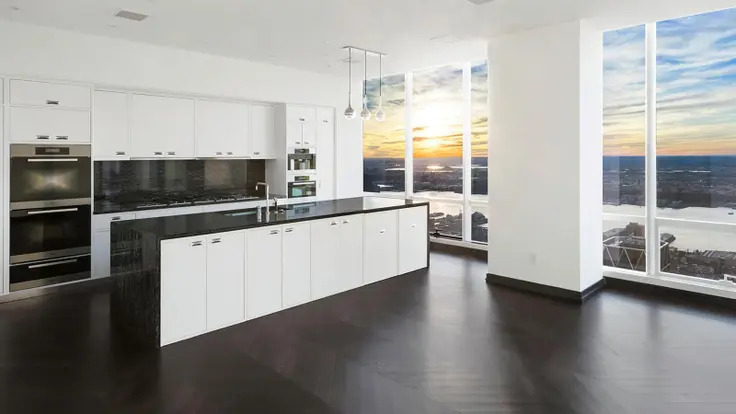 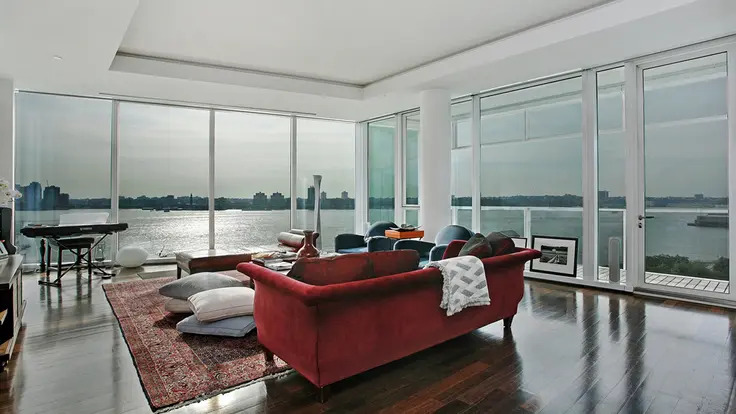 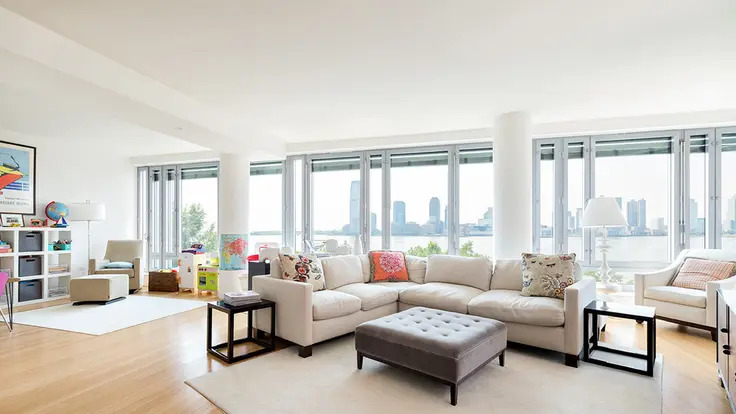 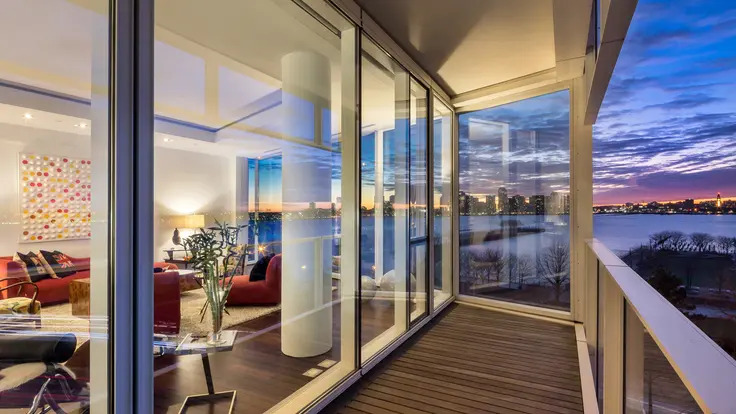 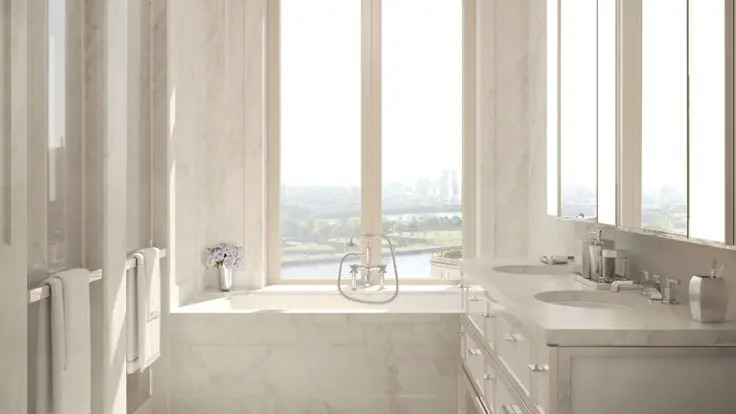 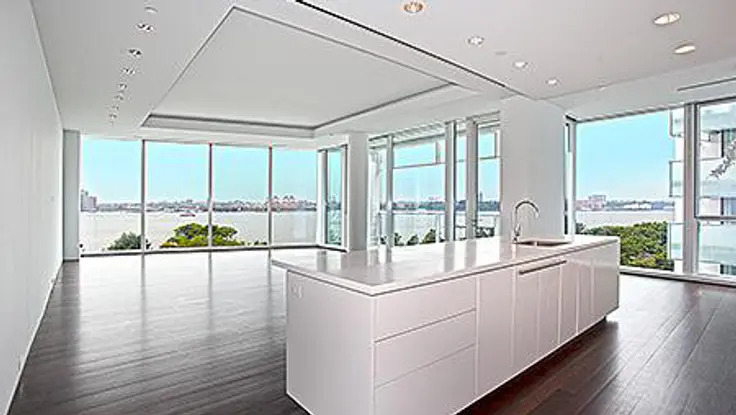 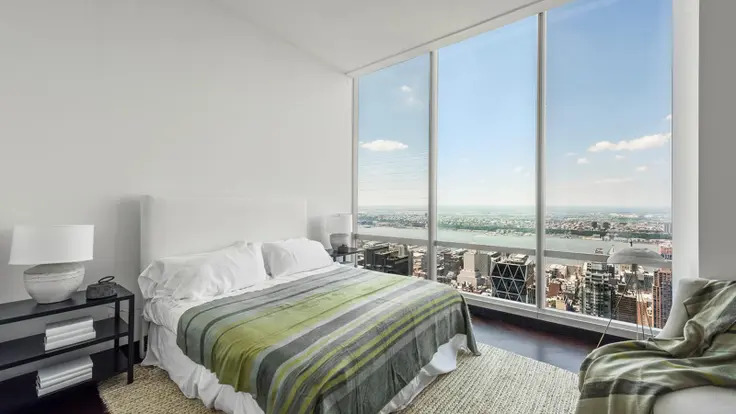 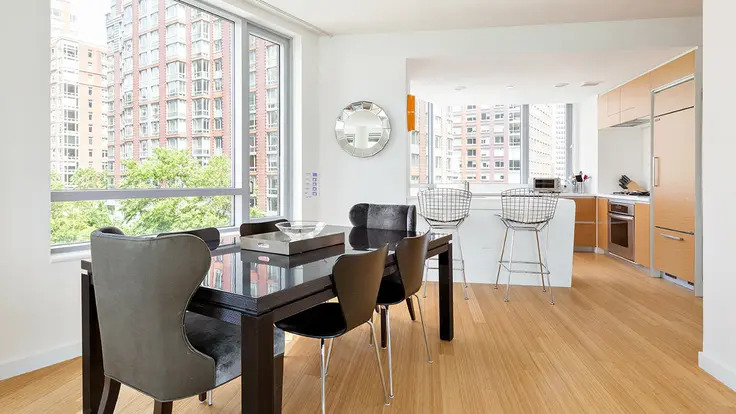 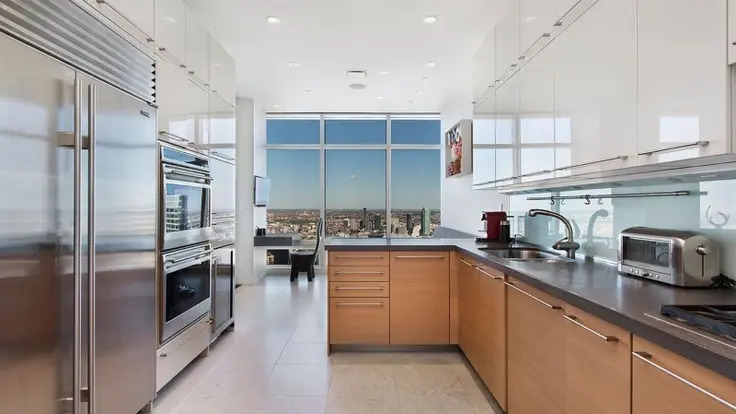 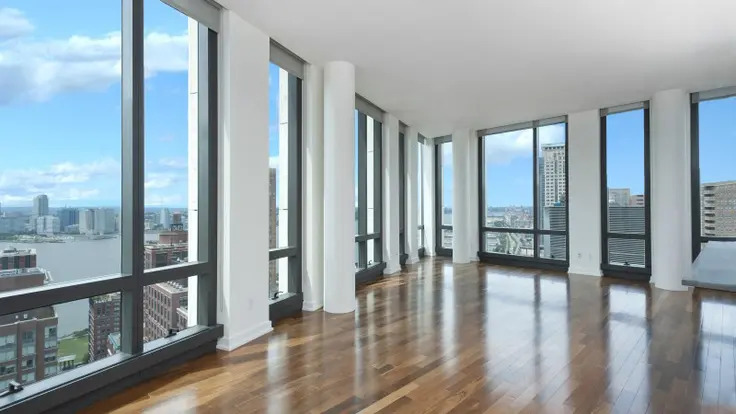 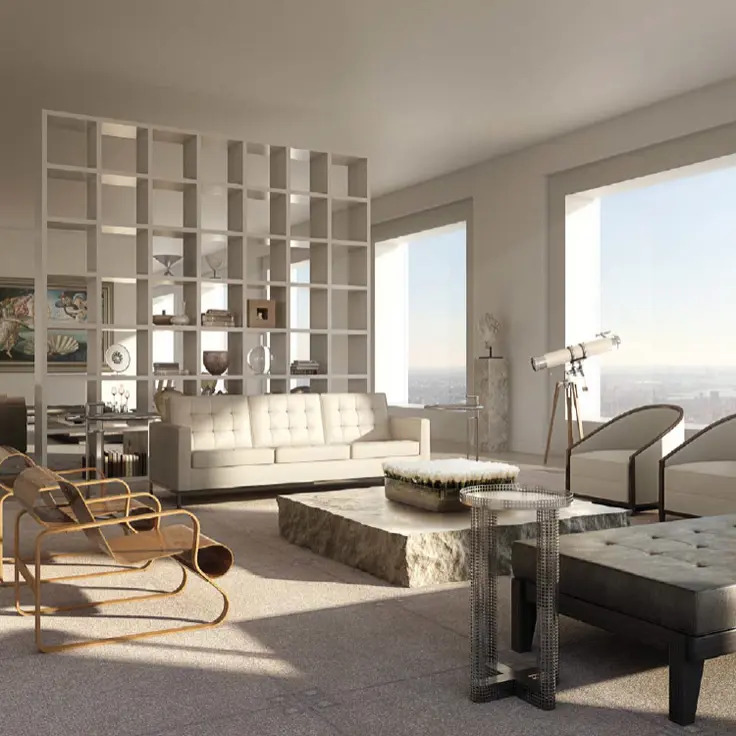 Designed by world-renowned starchitect Richard Meier, the 16-story 165 Charles Street overlooks the Hudson River and opened in 2005. 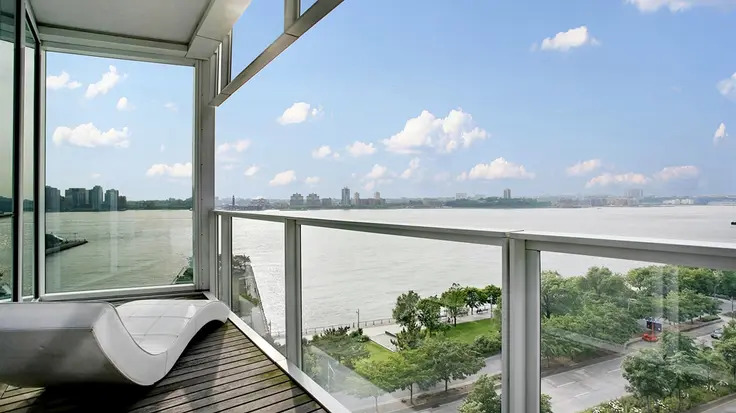 165 Charles Street offers two river-facing apartments per floor that feature large terraces. 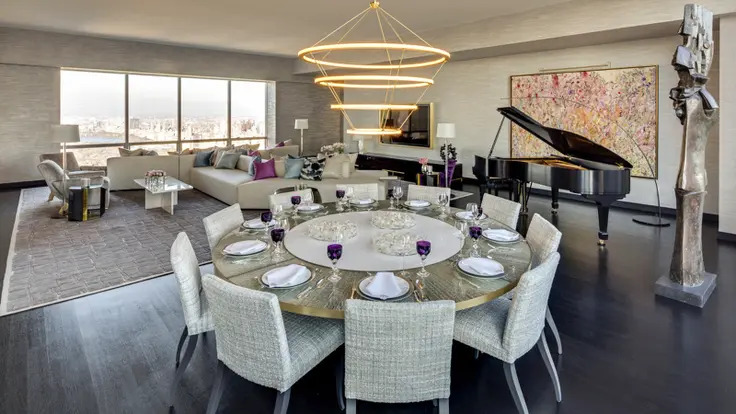 The 30 apartments and one penthouse were delivered fully finished, with everything from the floor plans to minor details designed by Meier himself. 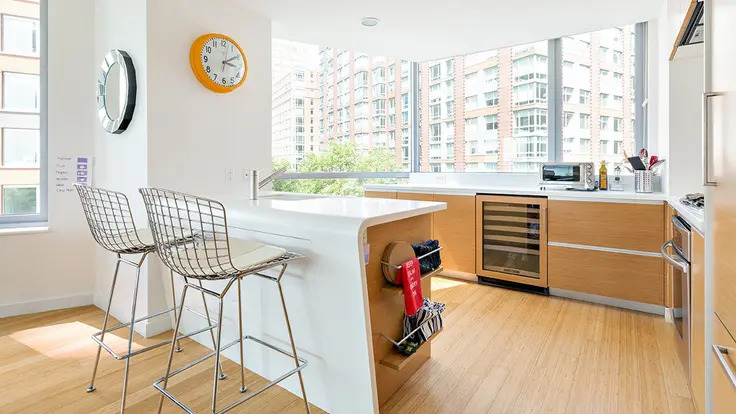 The floors are organized freely about an island kitchen unit. 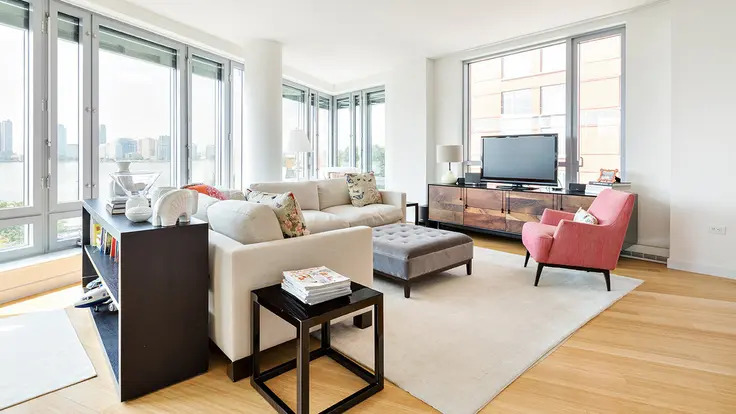 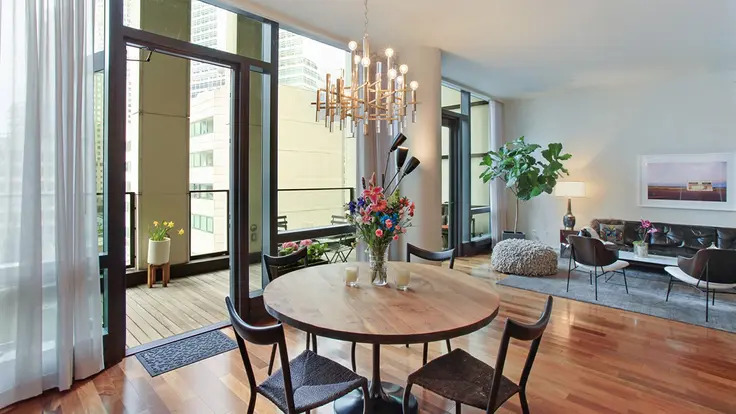 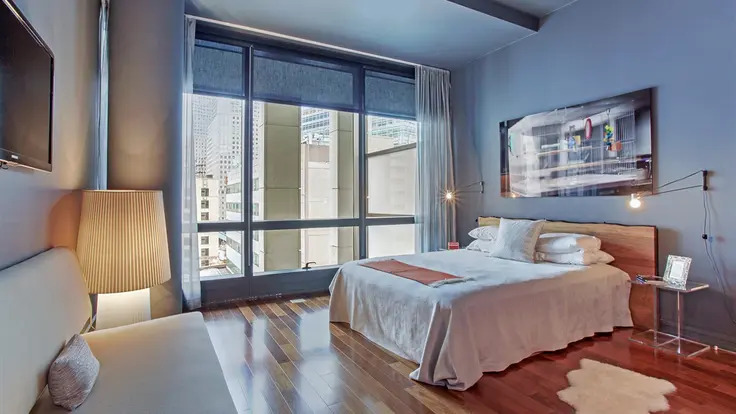 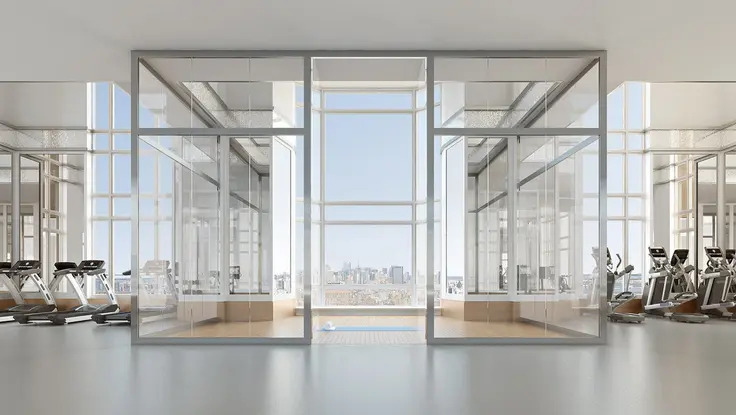 Floor-to-ceiling glass wraps each apartment and all units come with wide-plank Wenge wood floors, double-glazed windows and central air conditioning and heating. 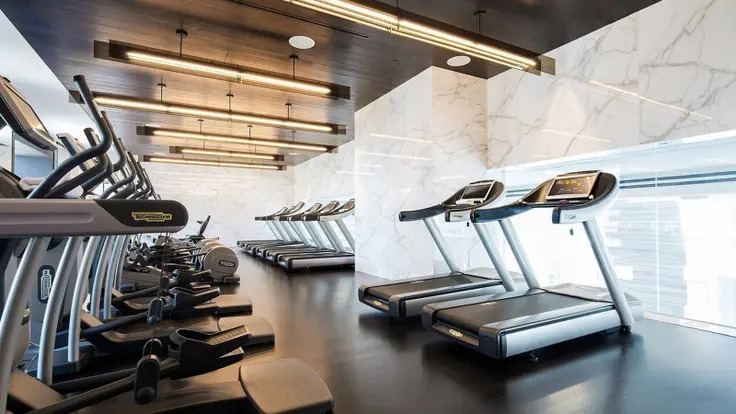 Amenities are impressive and include a top-of-the-line fitness center with a 50-foot infinity-edge pool and a private wine cellar. 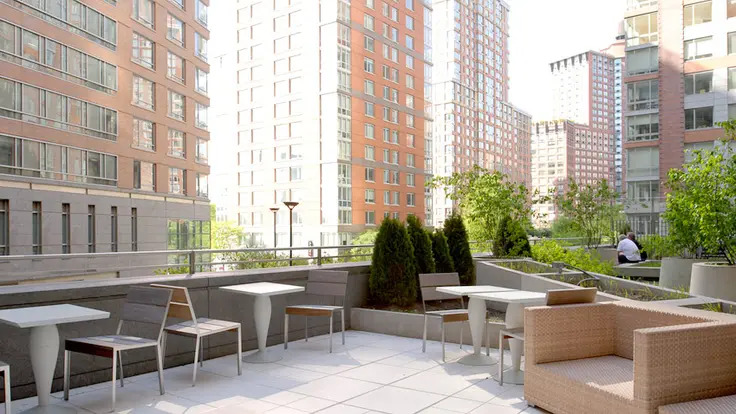 Its West Village location is within close proximity to the restaurants and shops in the neighborhood. 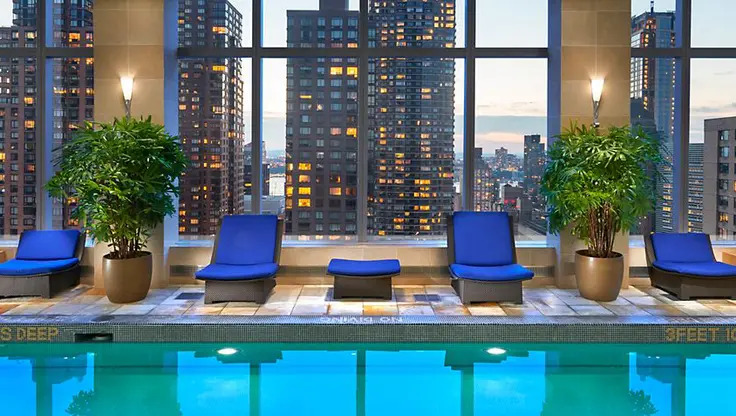 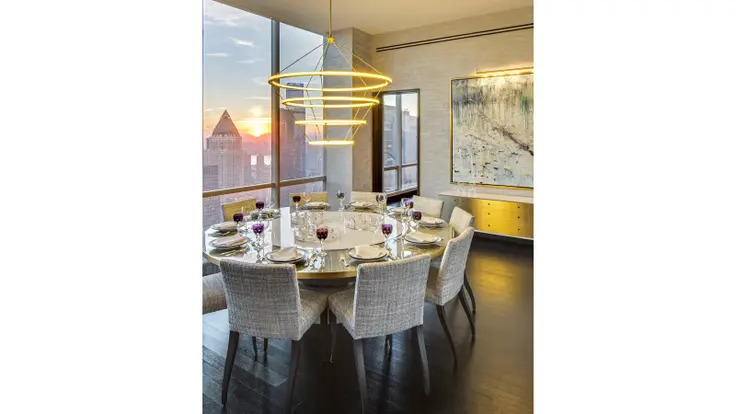 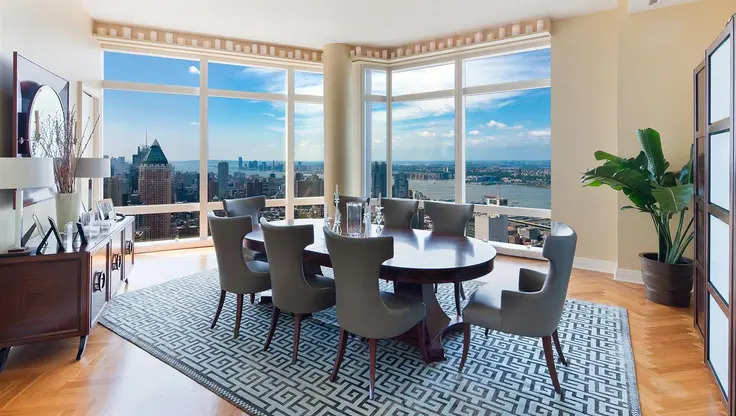 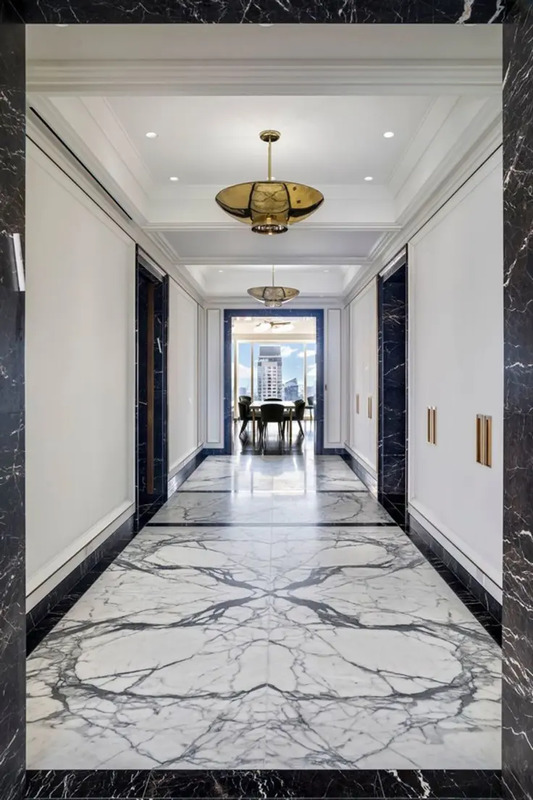 One Beacon Court at 151 East 58th Street is located at the nexus of Midtown and the Upper East Side. 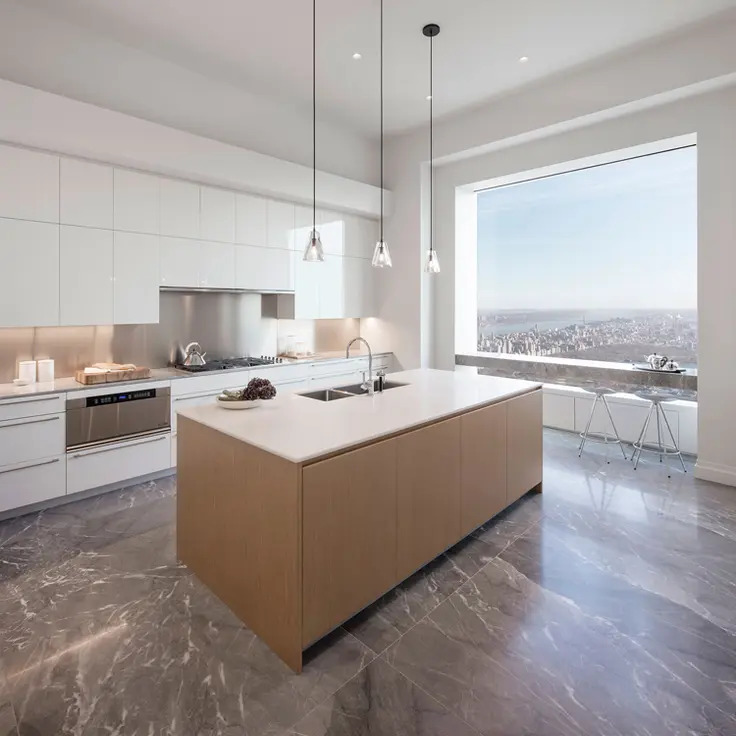 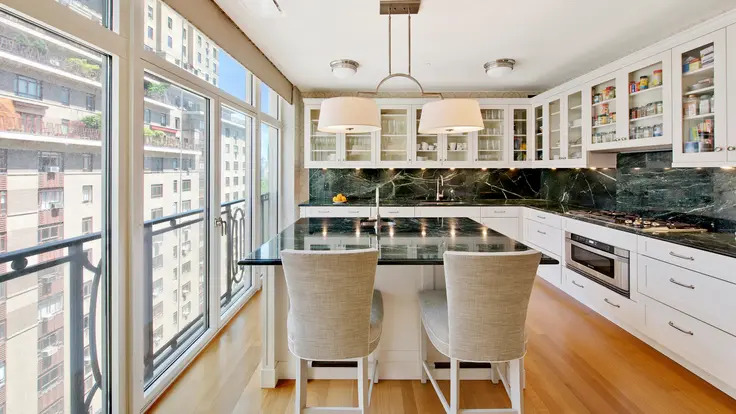 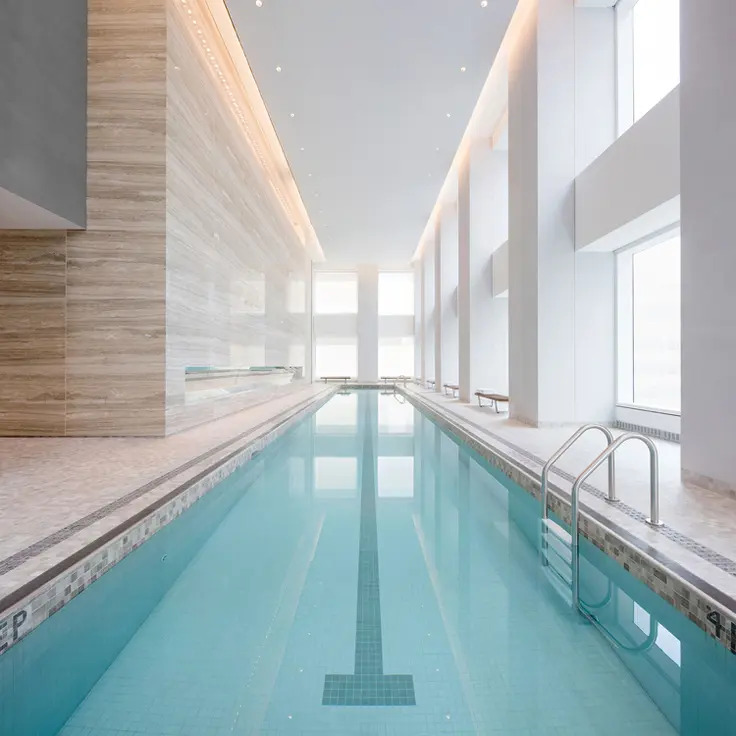 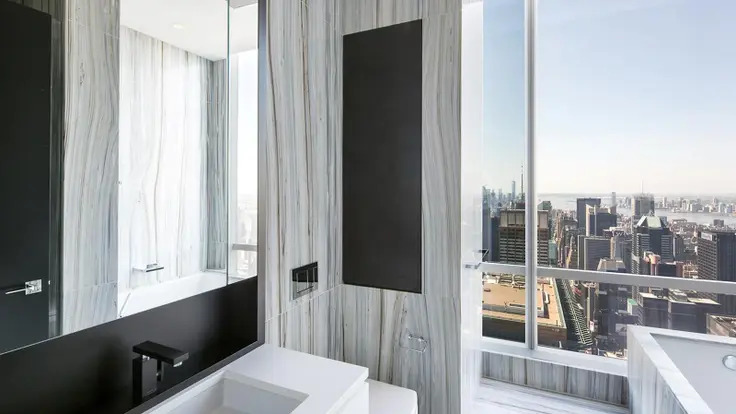 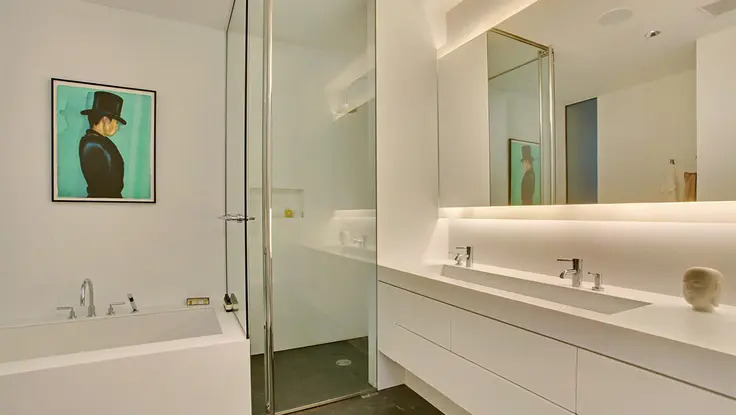 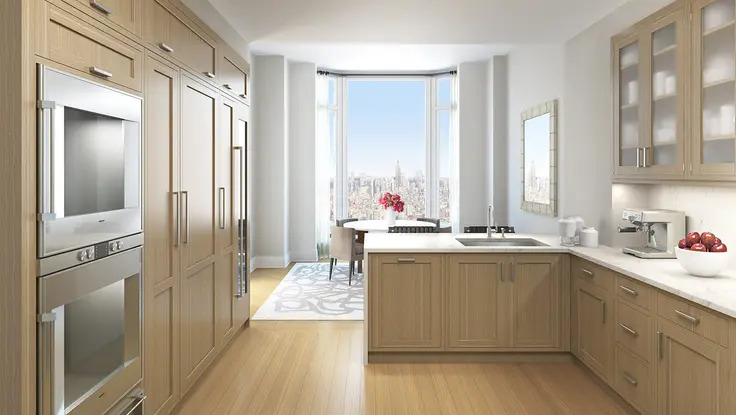 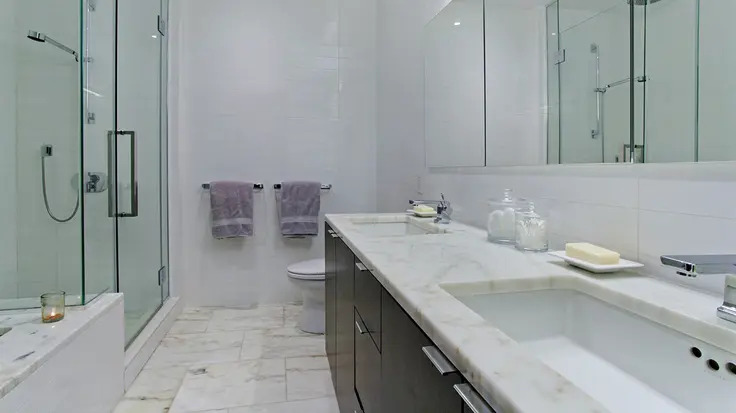 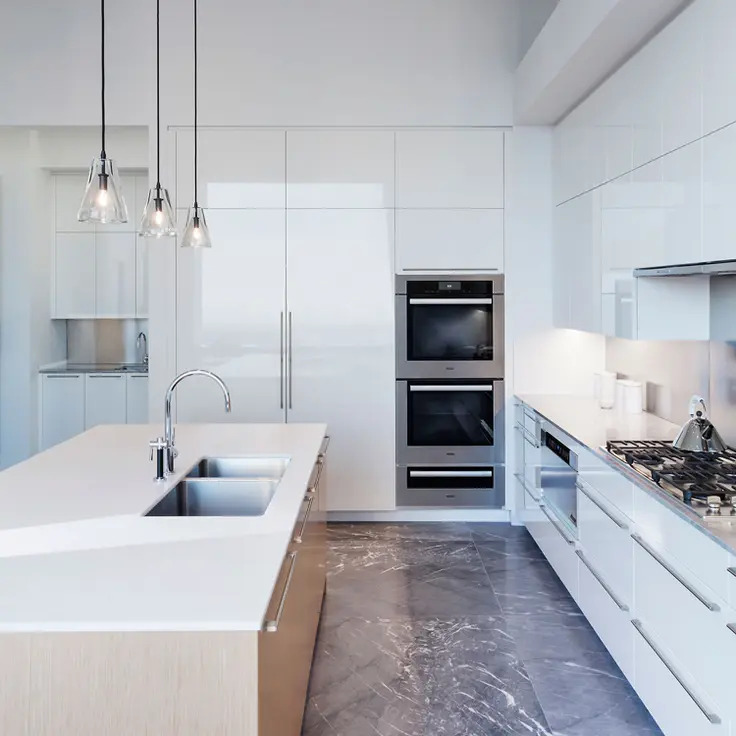 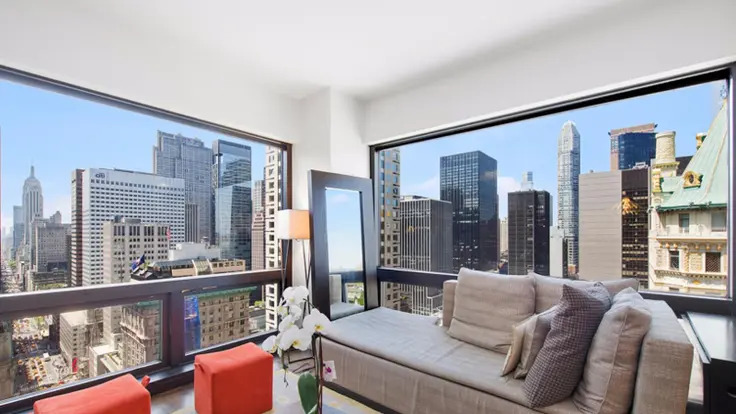 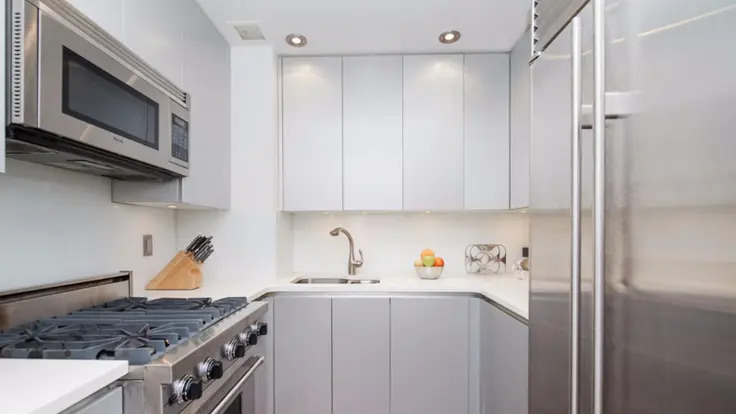 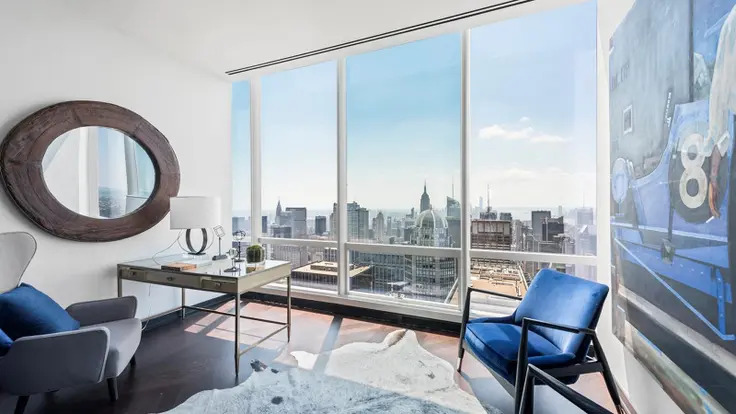 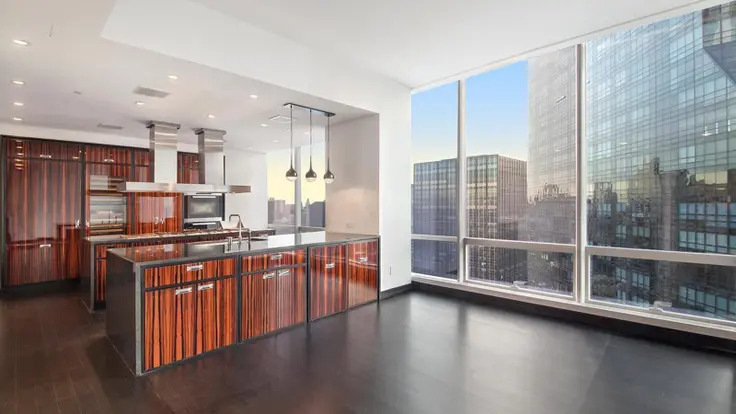 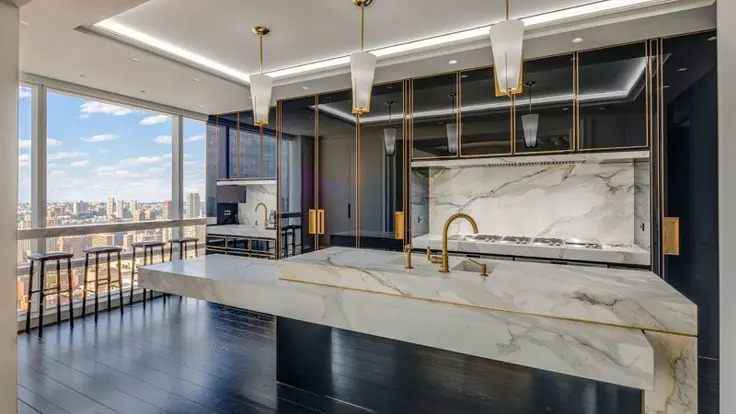 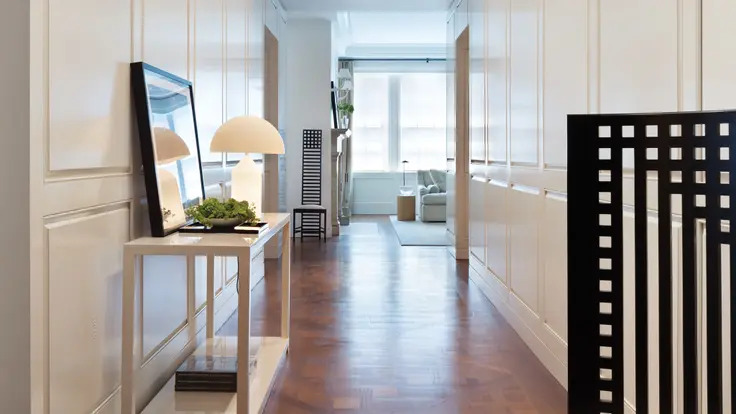 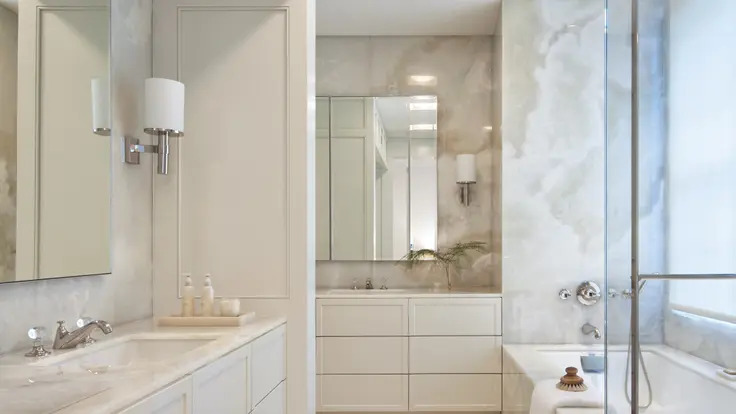 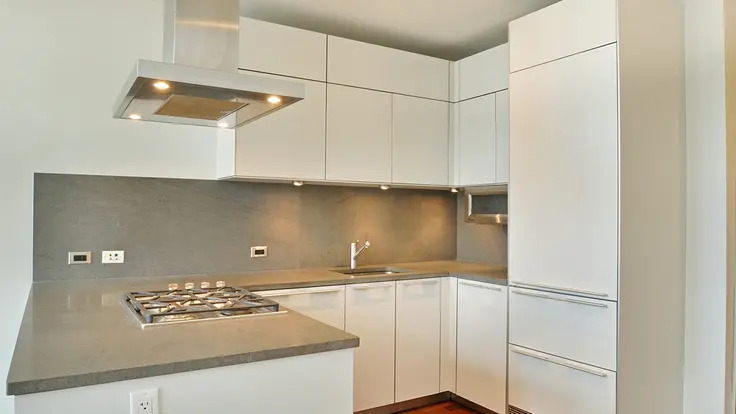 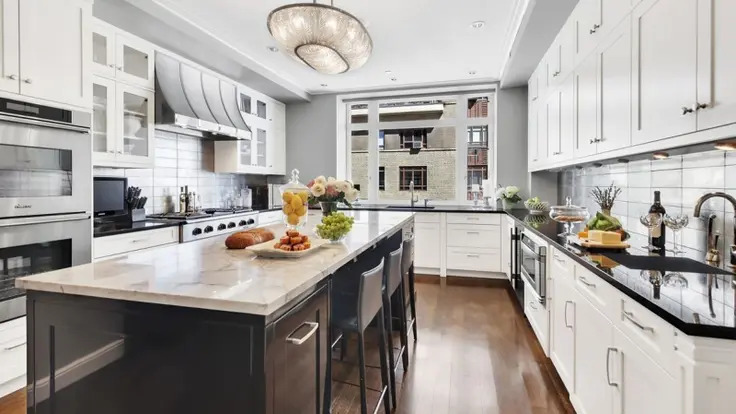 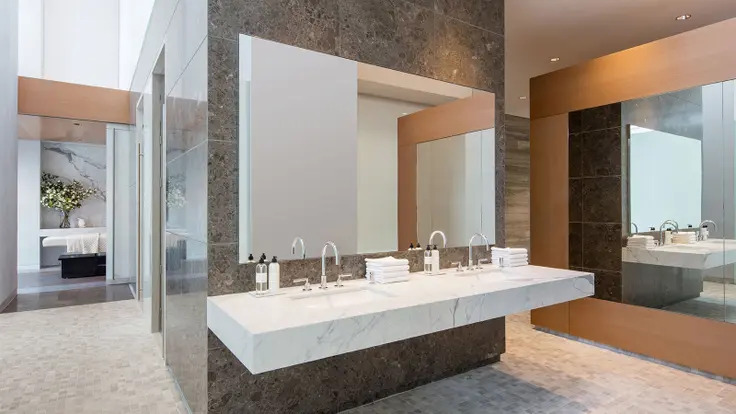 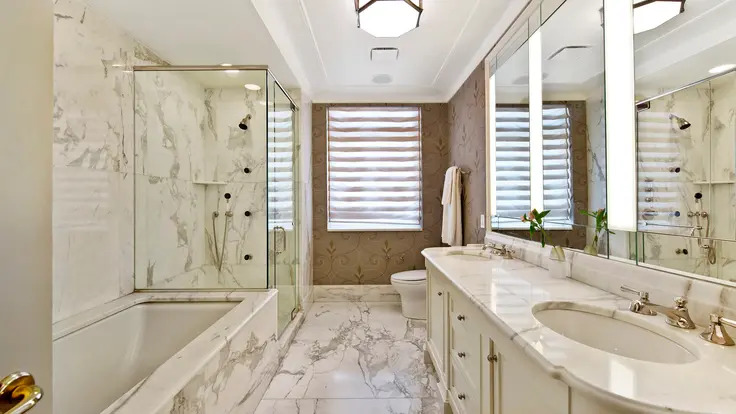 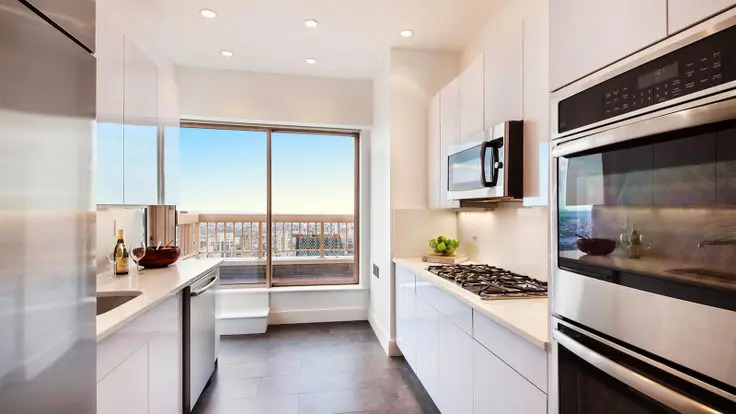 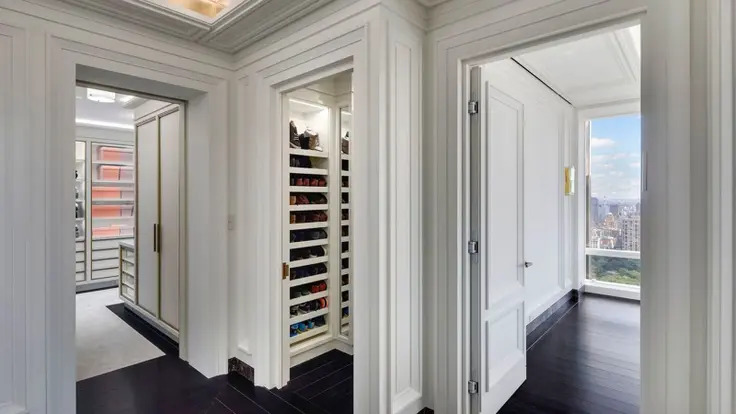 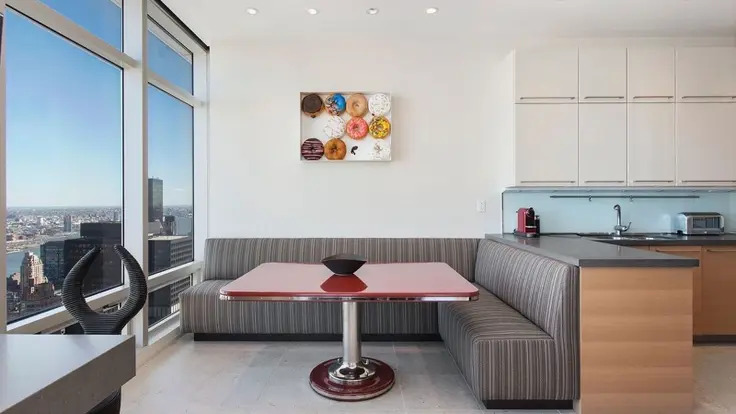 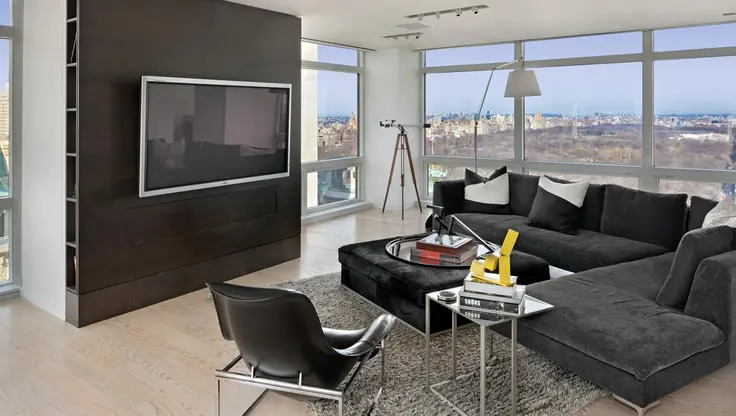 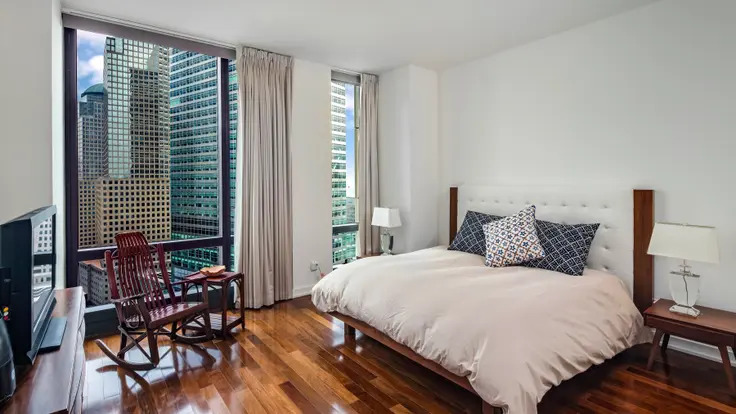 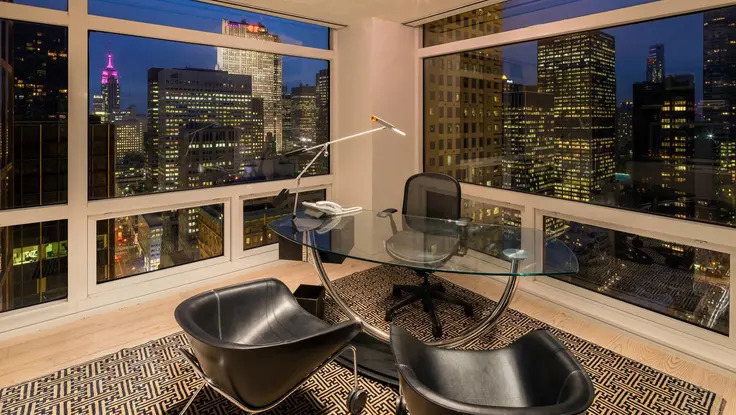 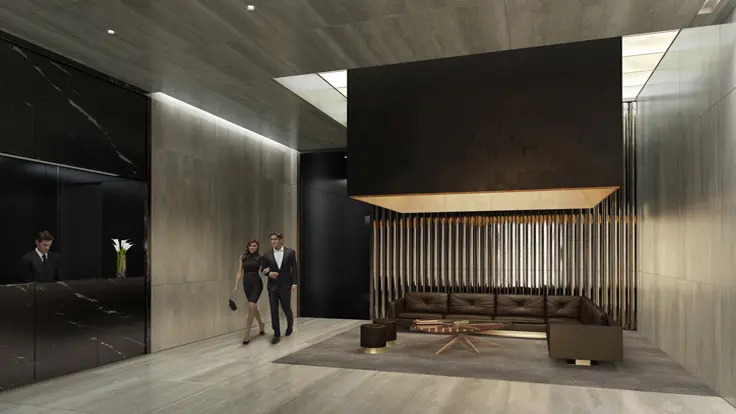 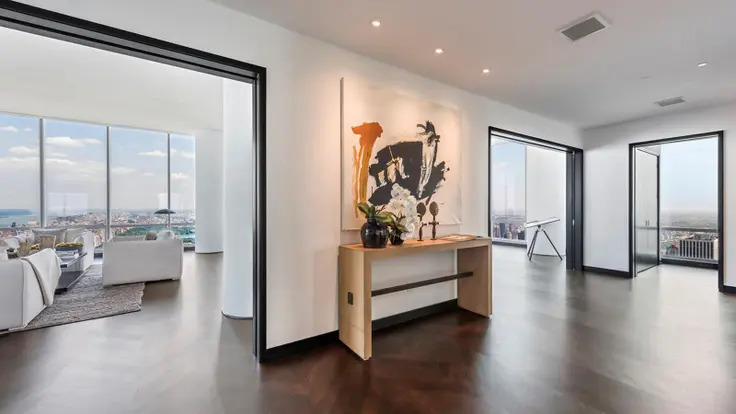 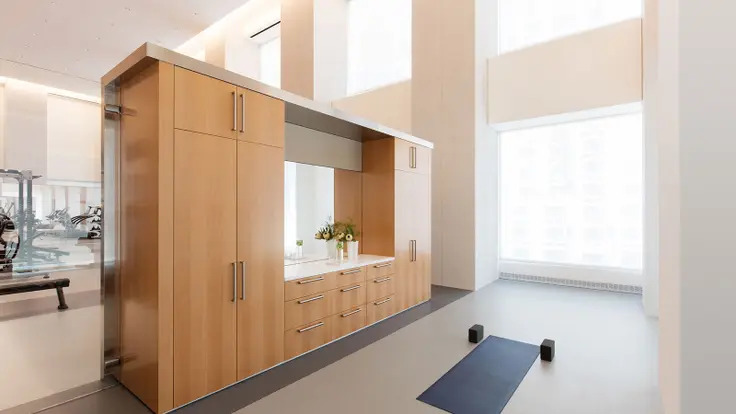 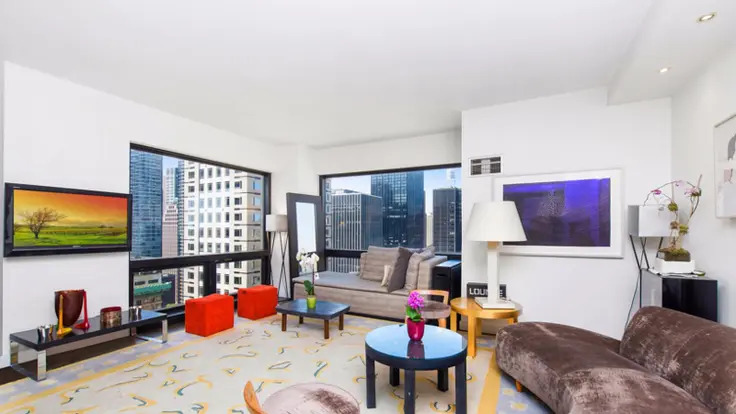 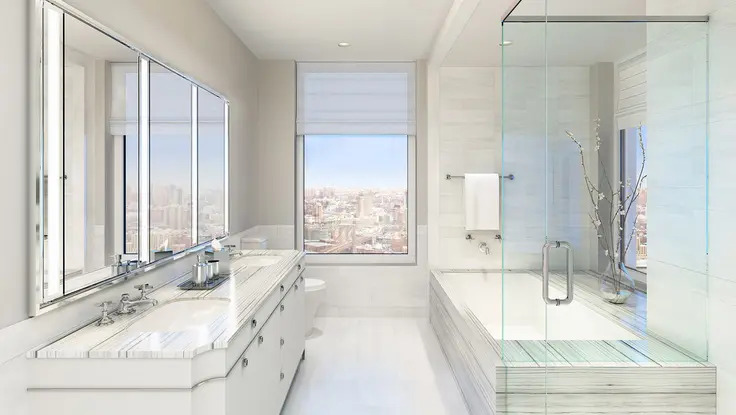 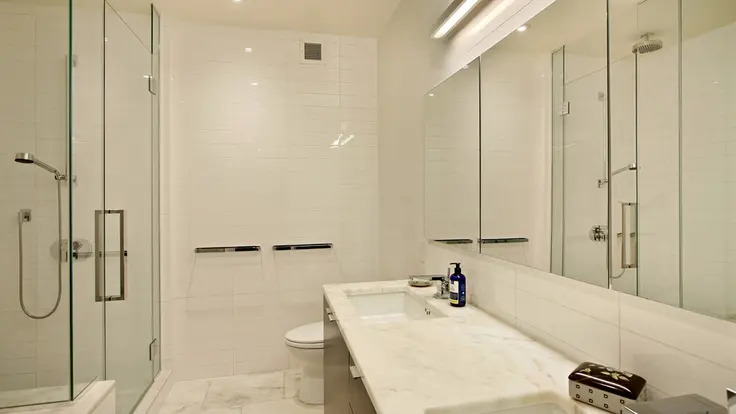 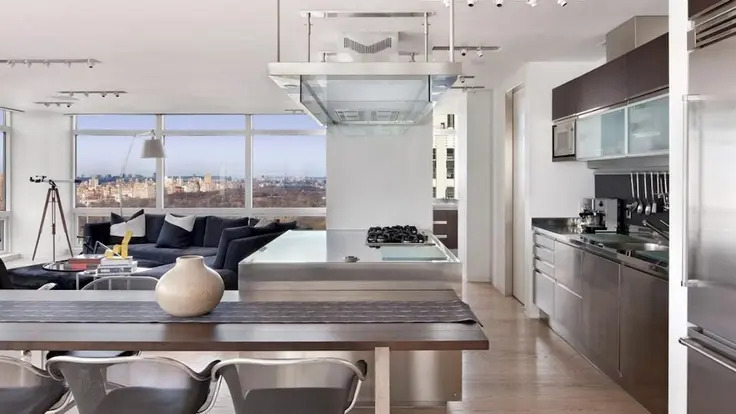 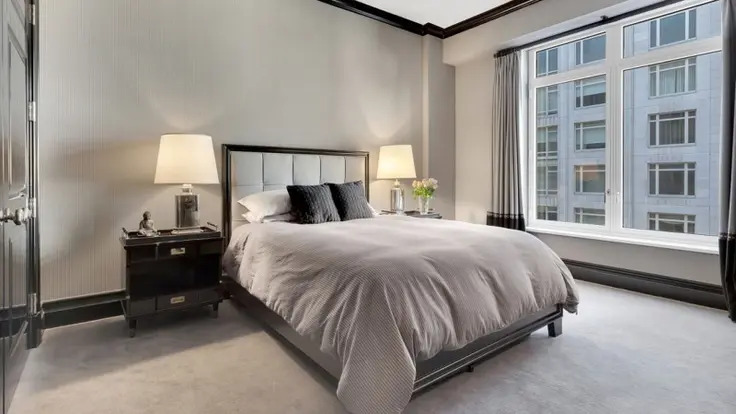 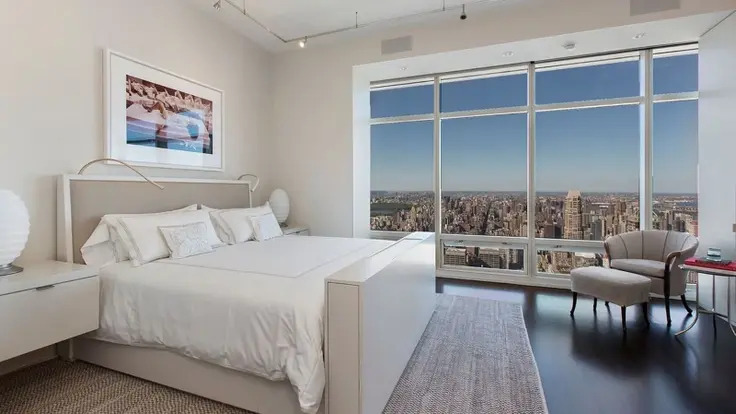 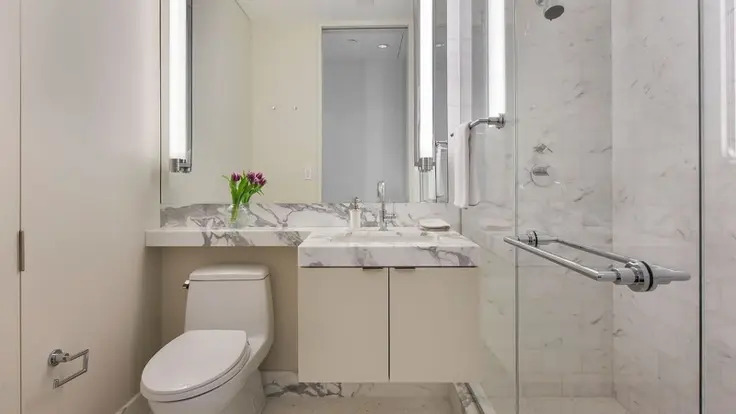 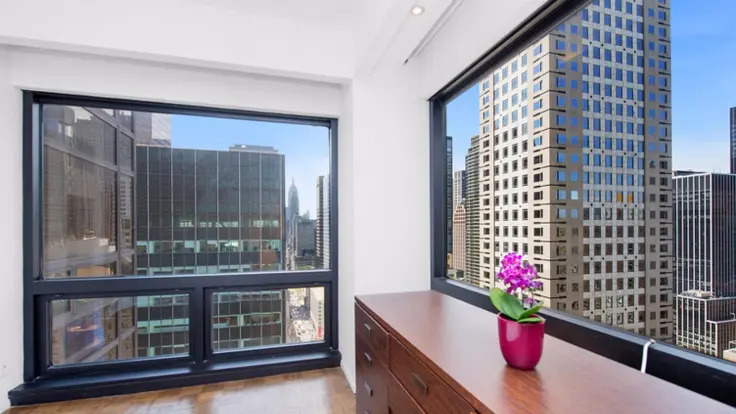 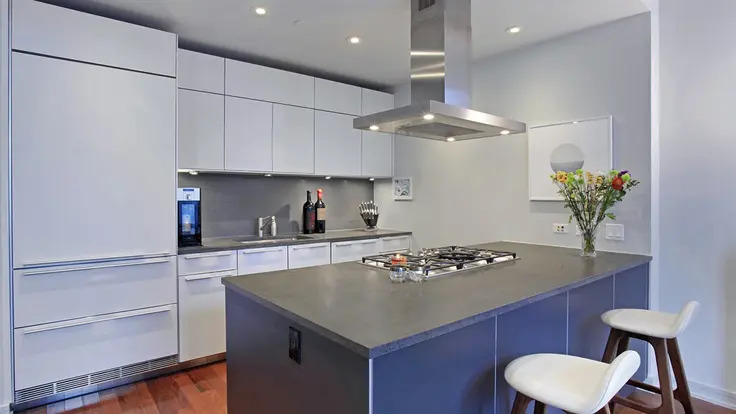 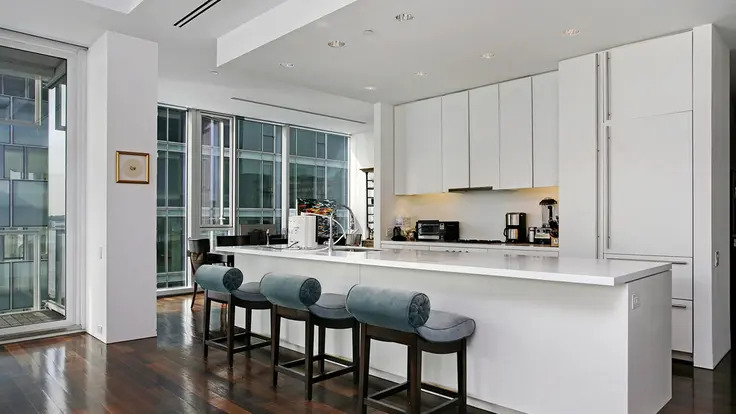 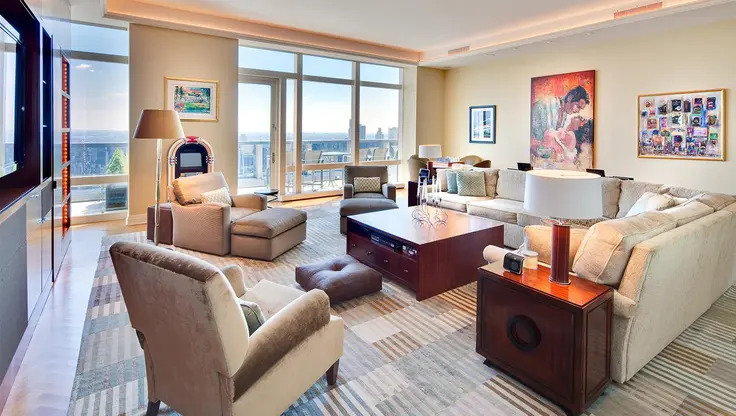 Its 105 condominiums are located on the 30th to 55th floors and are equipped with white, double-stacked cabinetry, modern, premium appliances and washers and dryers. 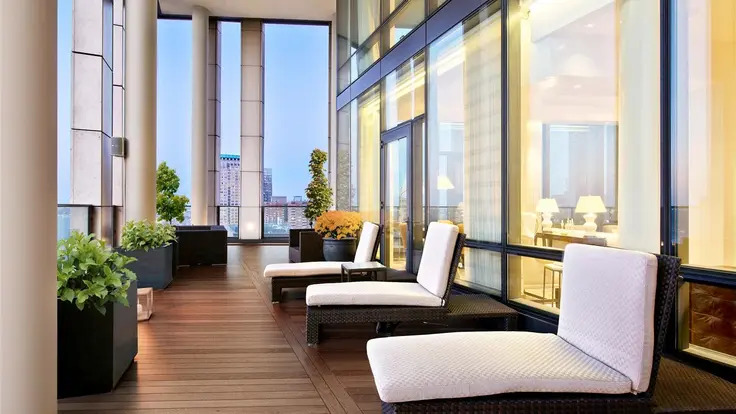 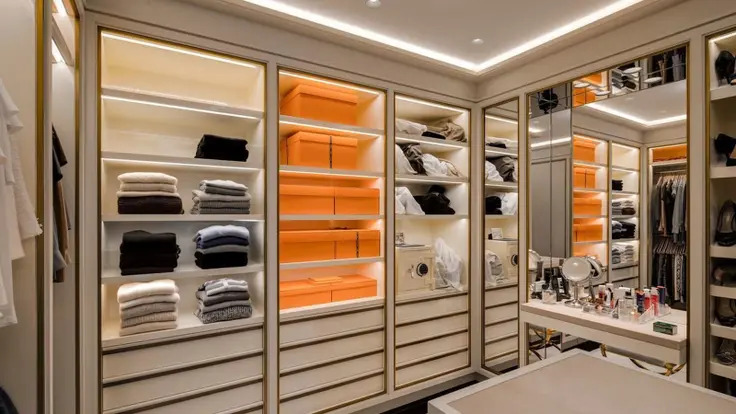 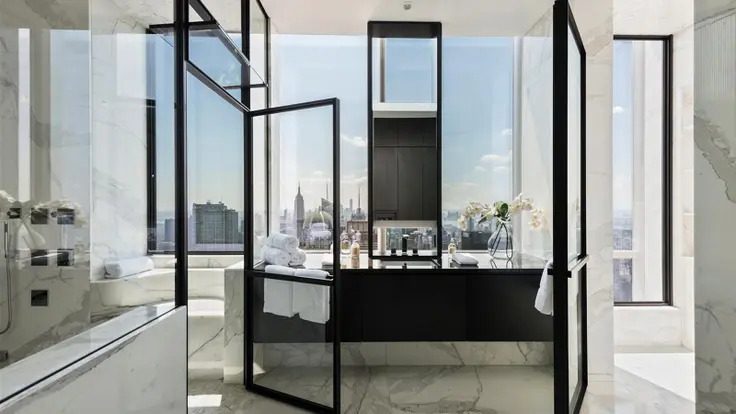 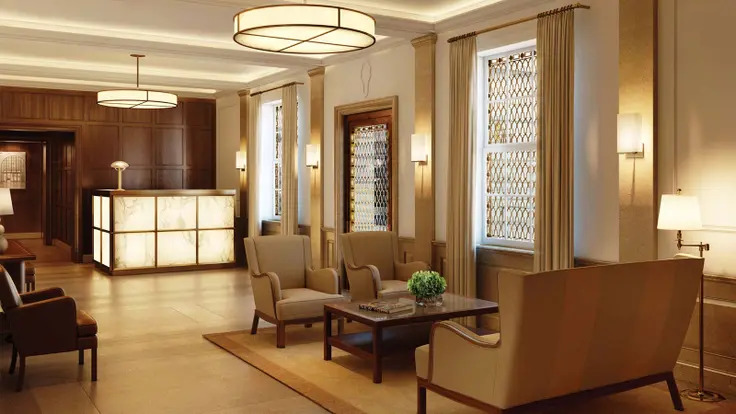 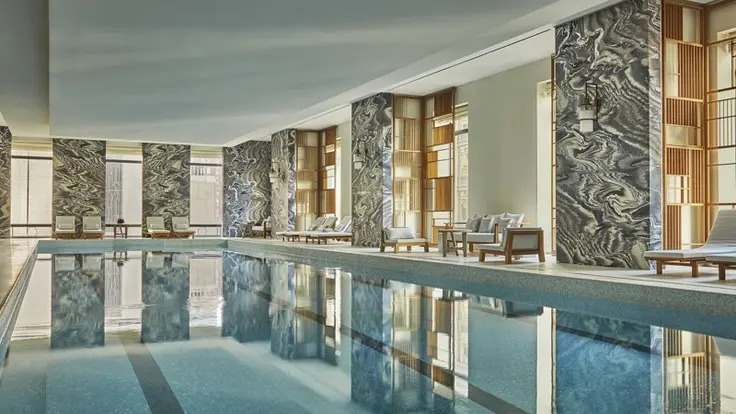 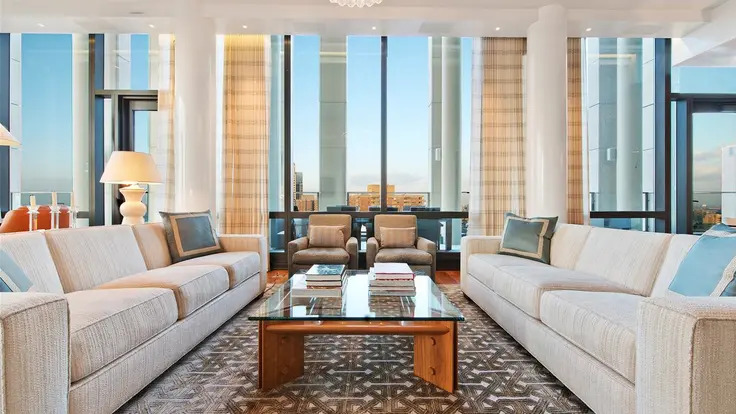 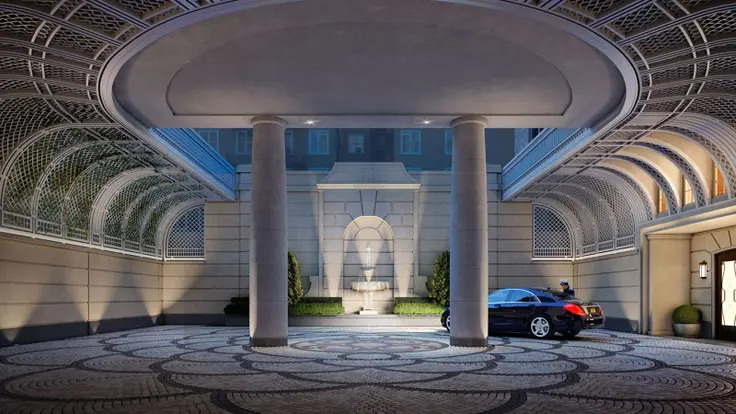 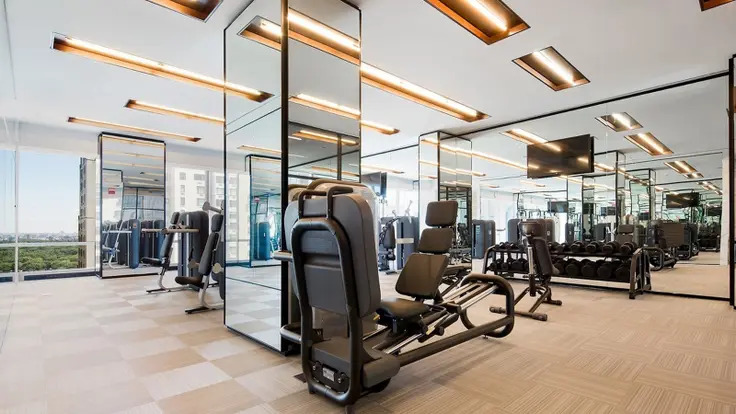 One Beacon Court amenities are run by London-based Quintessentially and include a 24-hour doorman, concierge service, a garage and valet parking. 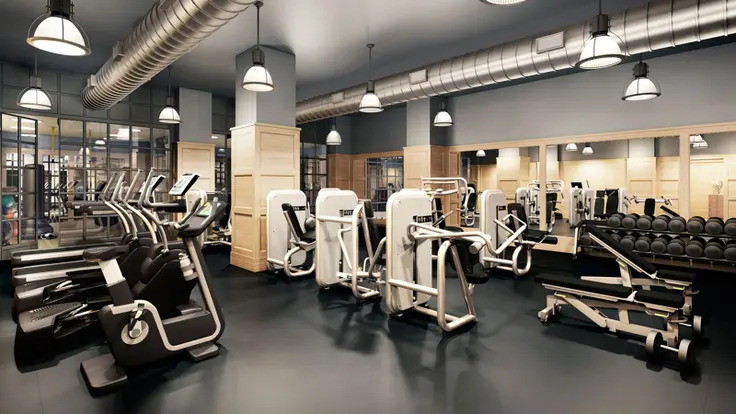 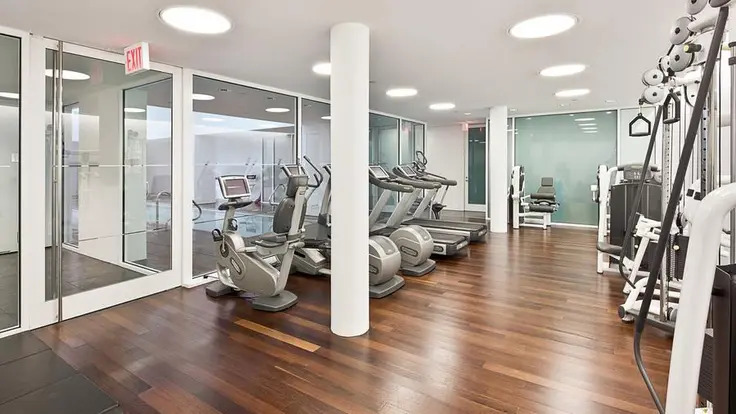 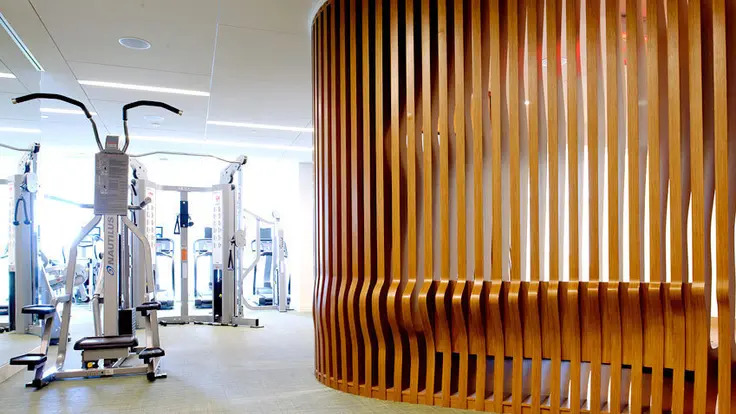 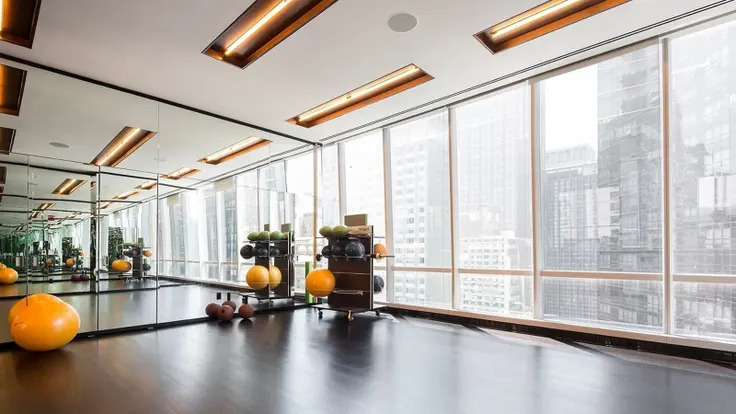 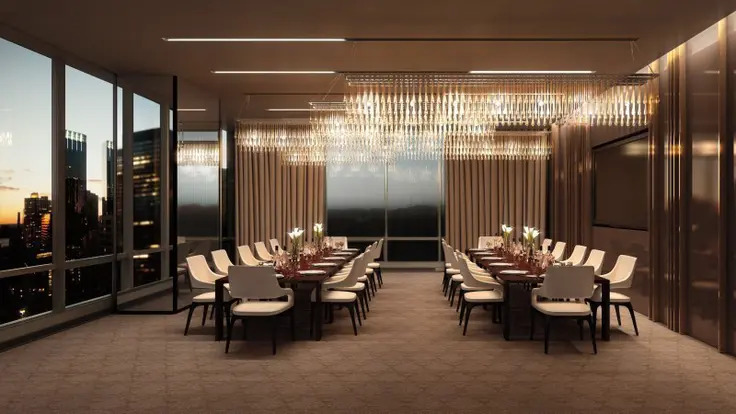 What’s more, residents have access to the Beacon Club, which is located on the 29th floor and includes a children’s playroom, a business center and a fitness and health spa. 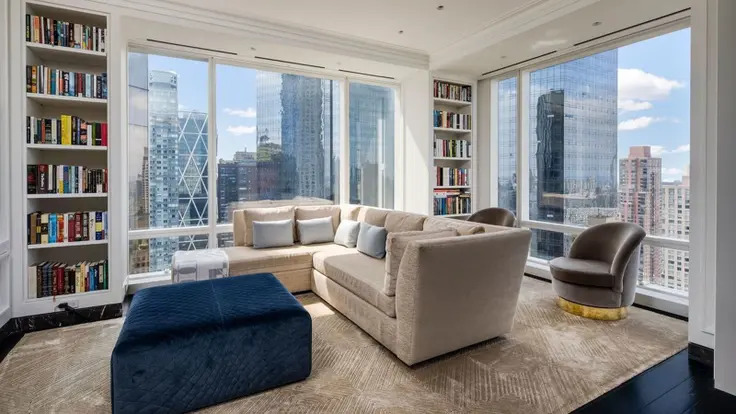 The lower floors of the tower contain offices for Bloomberg L.P.
151 East 58th Street occupies an entire city block and is bounded by Lexington and Third Avenues, and 58th and 59th Streets. 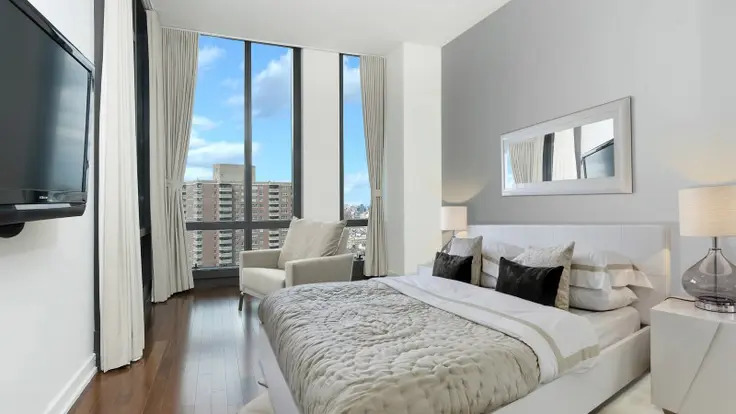 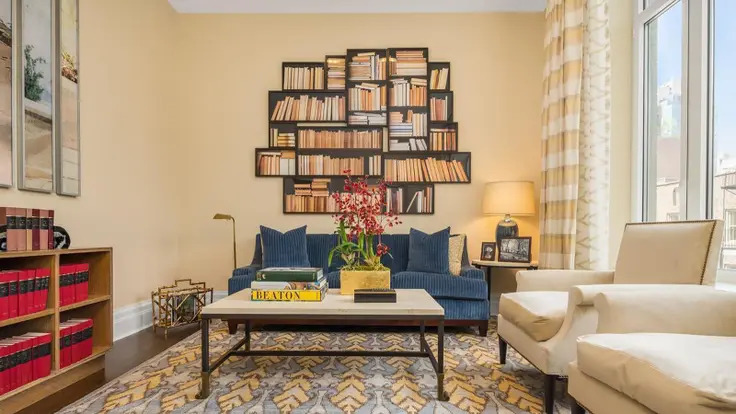 Residents have easy access to public transportation, Bloomingdale's, and other popular shopping and restaurants. 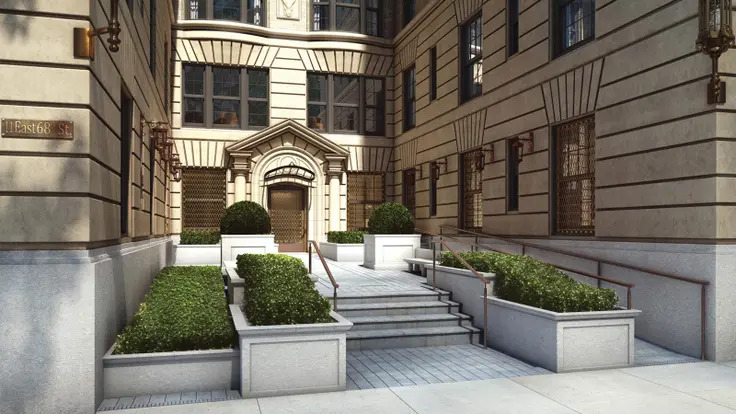 This beige-brick apartment building at 11 East 68th Street on the northwest corner at Madison Avenue was erected in 1913 and designed by Herbert Lucas. 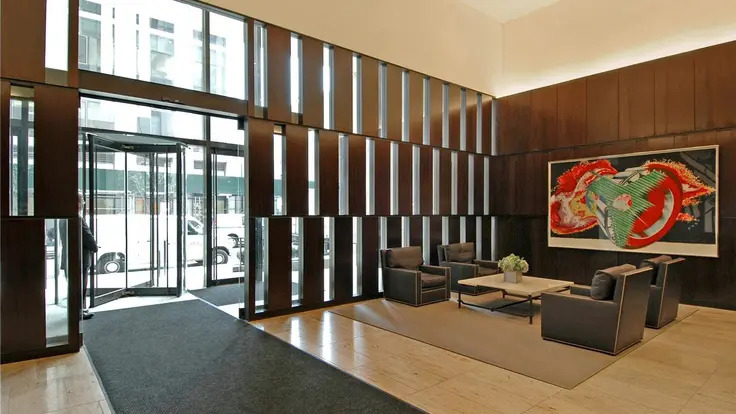 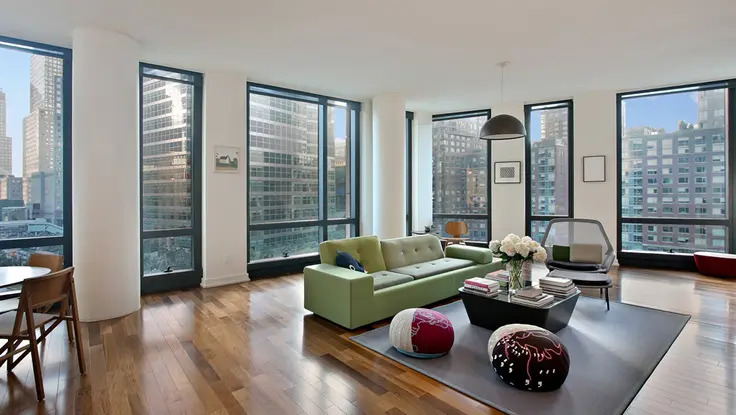 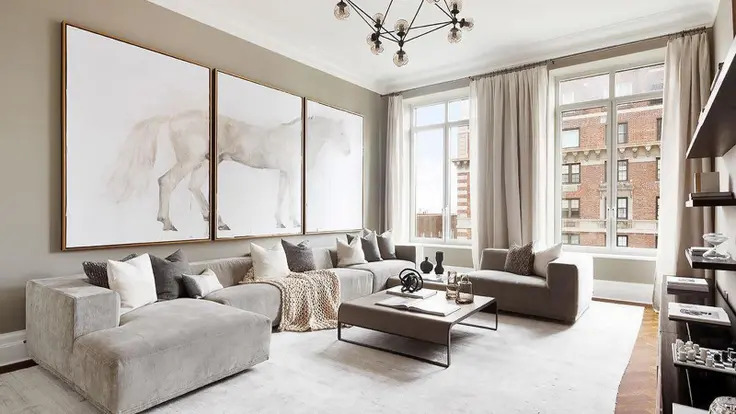 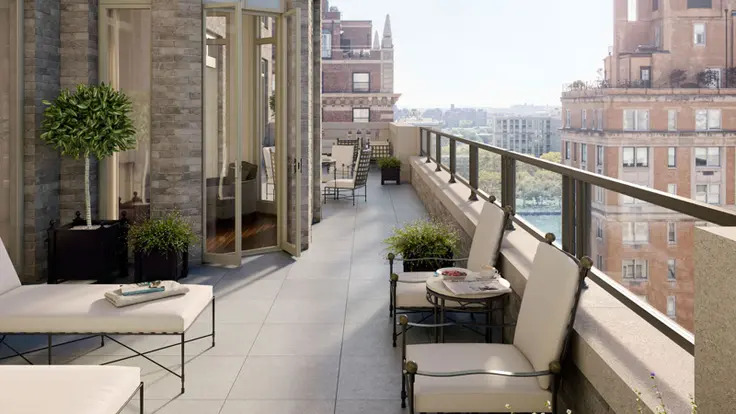 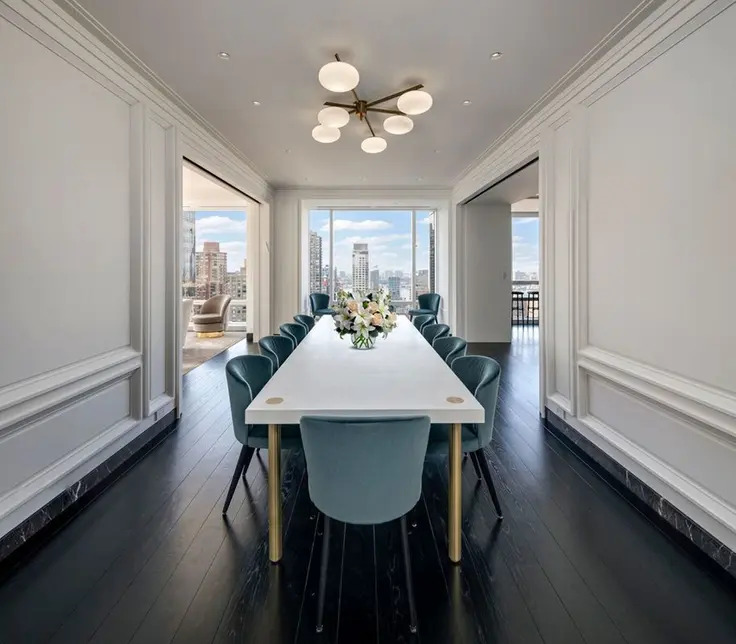 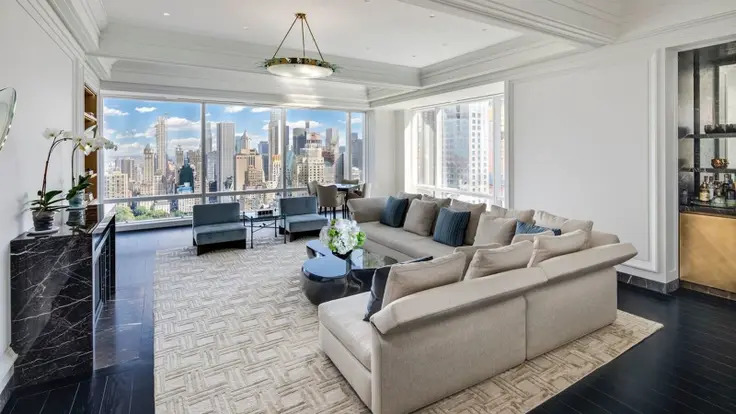 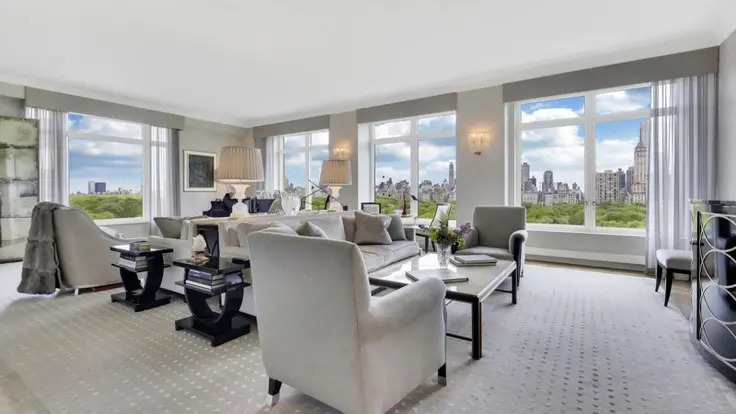 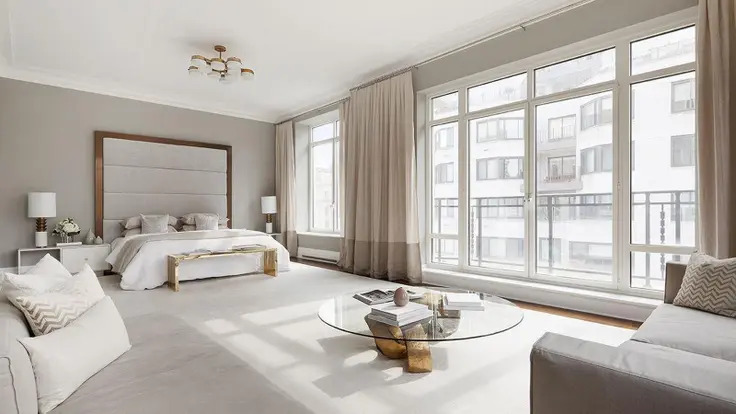 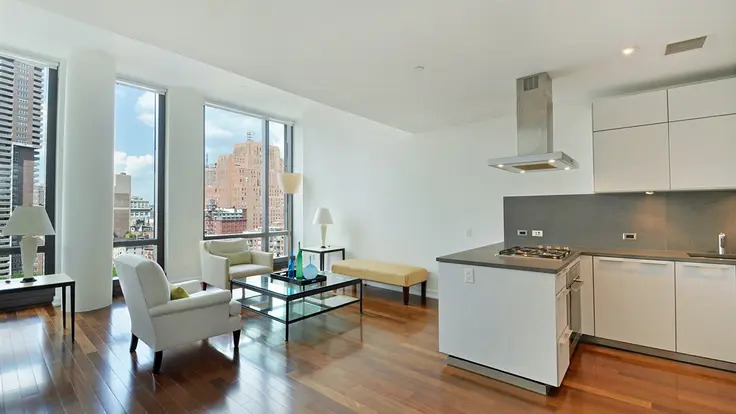 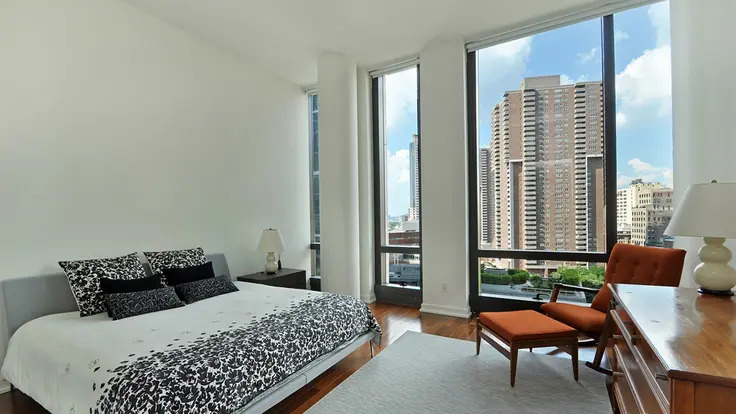 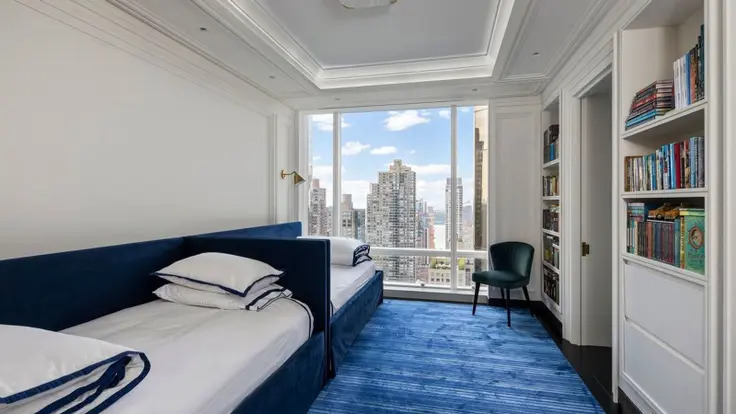 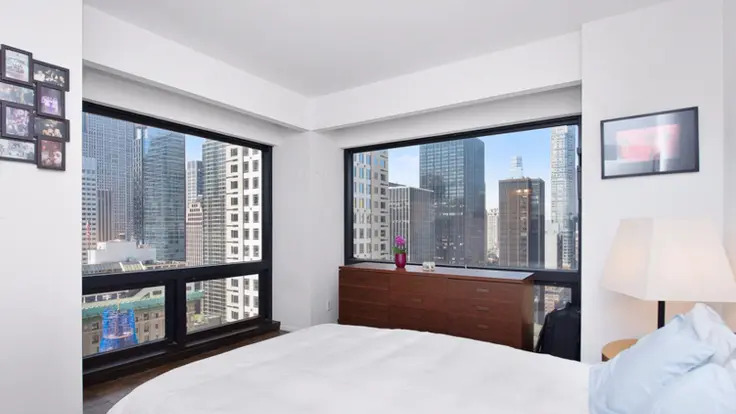 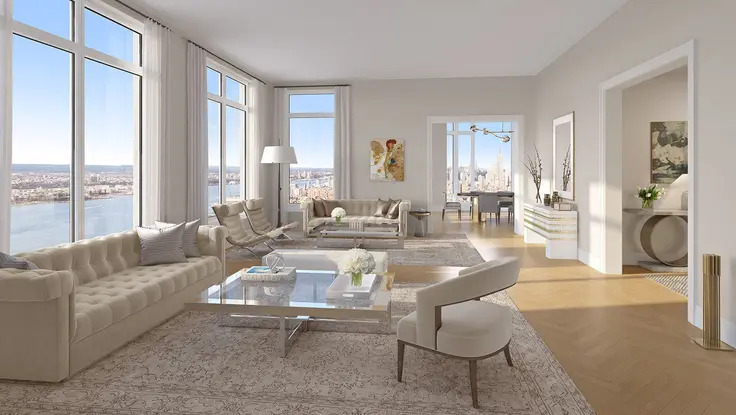 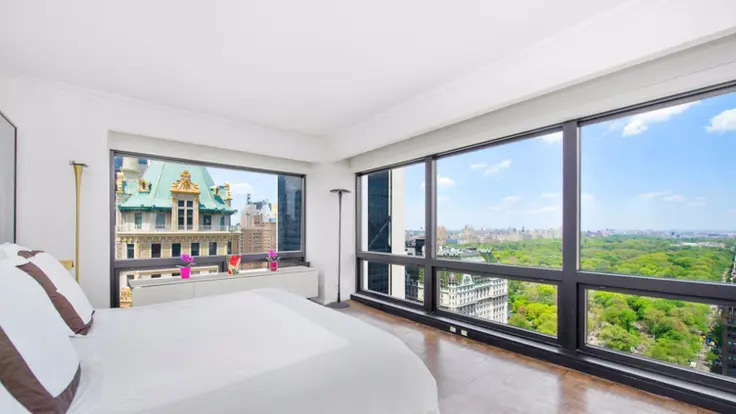 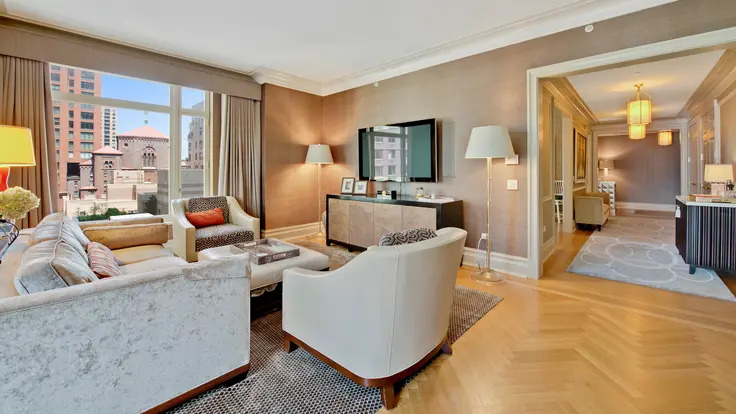 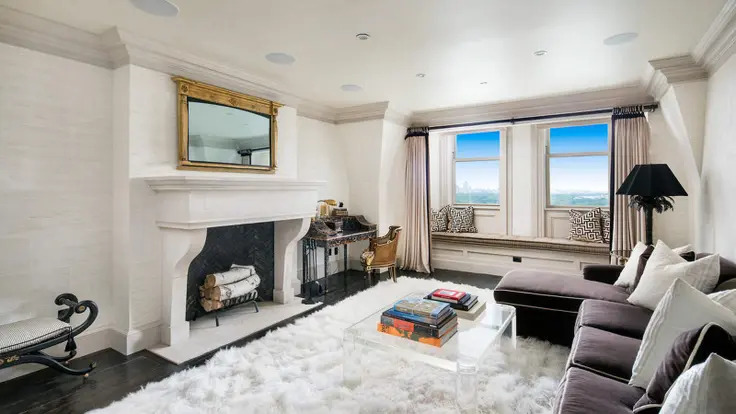 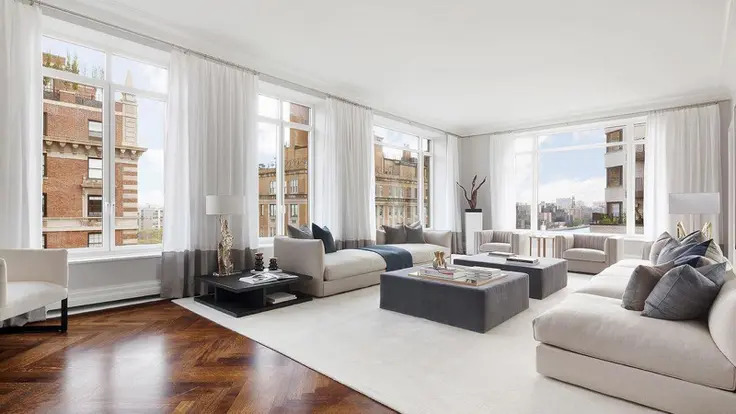 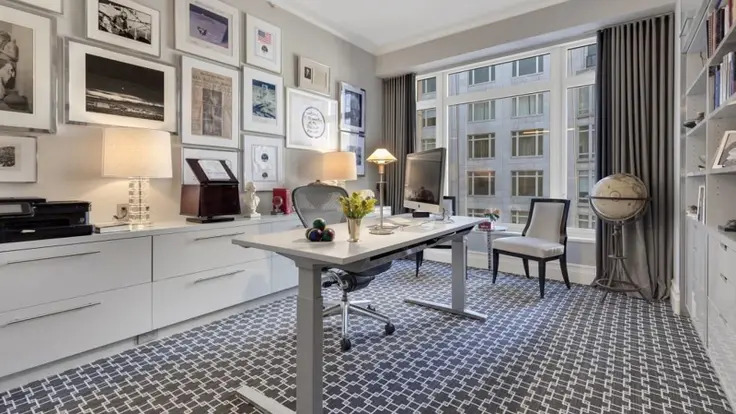 It is now known as The Marquand and was converted from a rental to 22 condominium apartments in 2013 by HFZ Capital, which was formed in 2005 and is also involved in the conversion of One Madison on West 23rd Street. 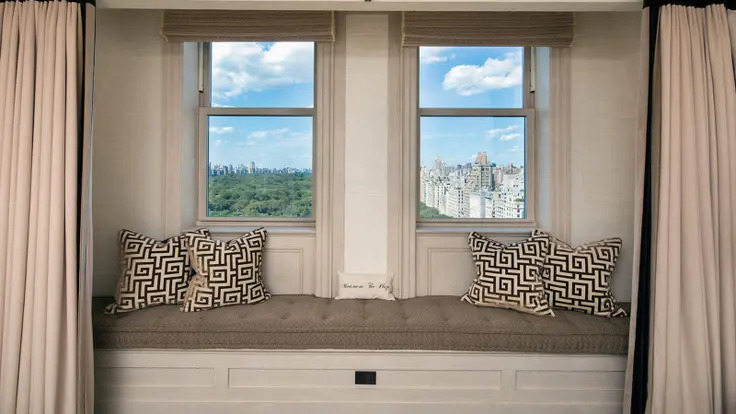 It has escutcheons on its façade with the letter “M” that refer to the owner of the mansion designed by Richard Morris Hunt that used to occupy the site, Henry G. Marquand, who served as the second president of the Metropolitan Museum of Art and gave it its finest painting by Vermeer. 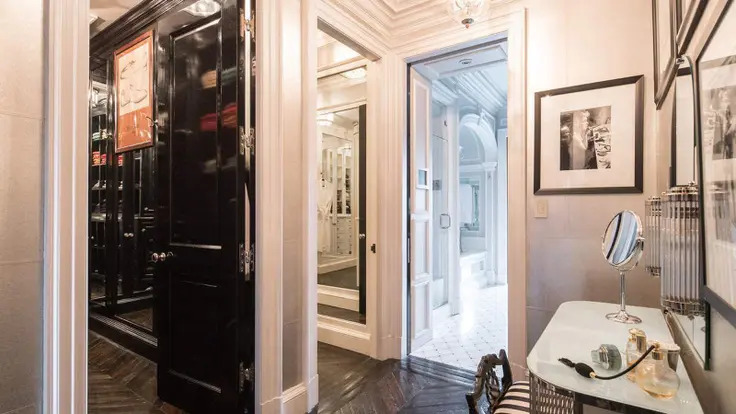 Beyer Blinder Belle was the architect for the conversion and Shelton, Mindel & Associates was the interior designer. 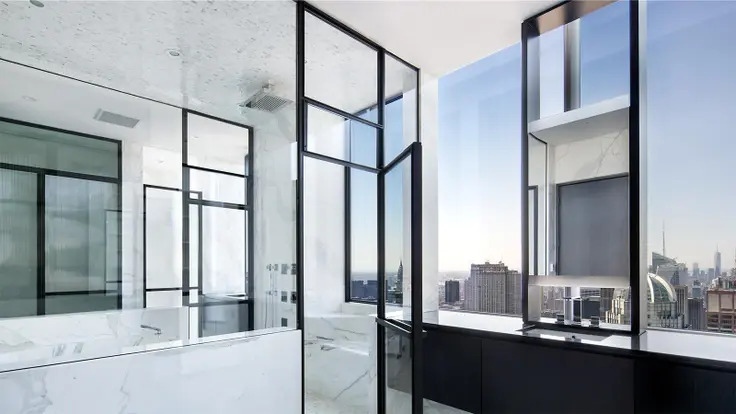 Designed by Skidmore, Owings & Merrill, 101 Warren Street was completed in 2008 and occupies nearly an entire city block at the southern tip of TriBeCa. 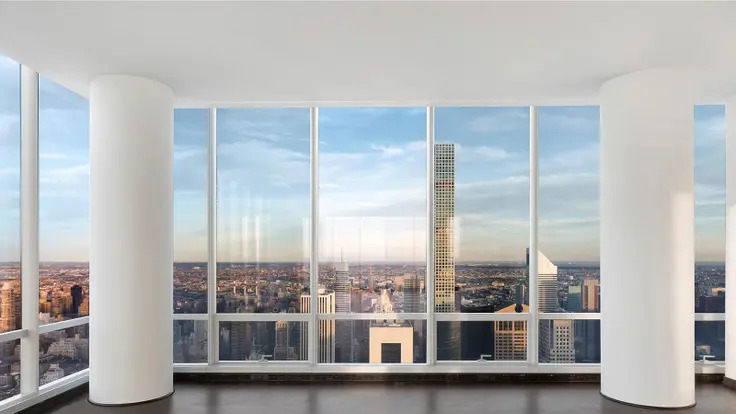 The 35-story 101 Warren Street has 227 residences and 163 rental units. 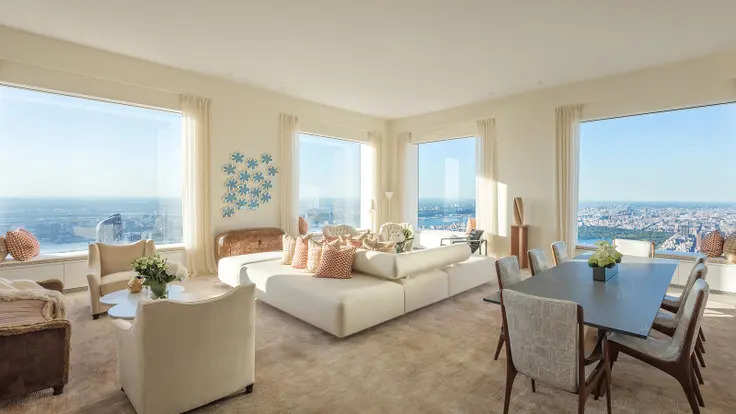 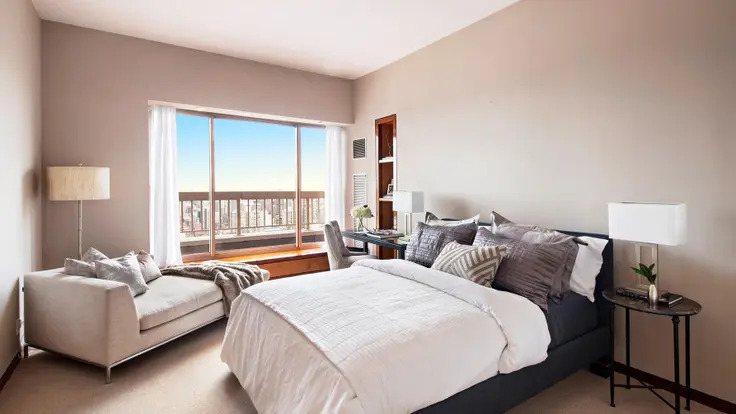 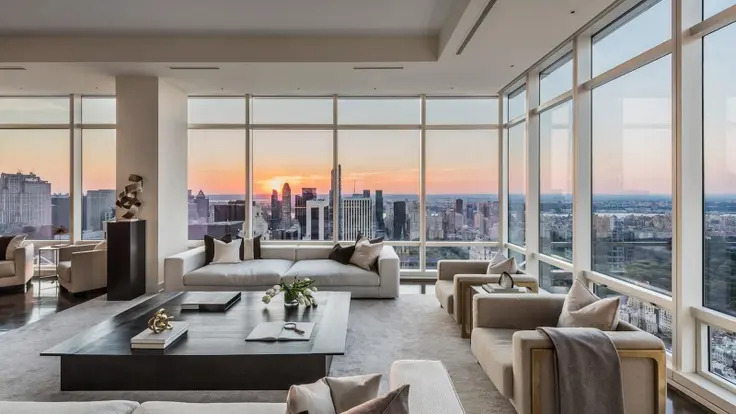 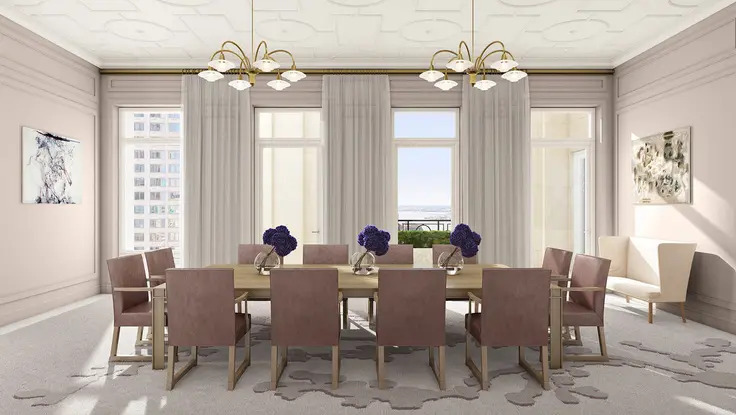 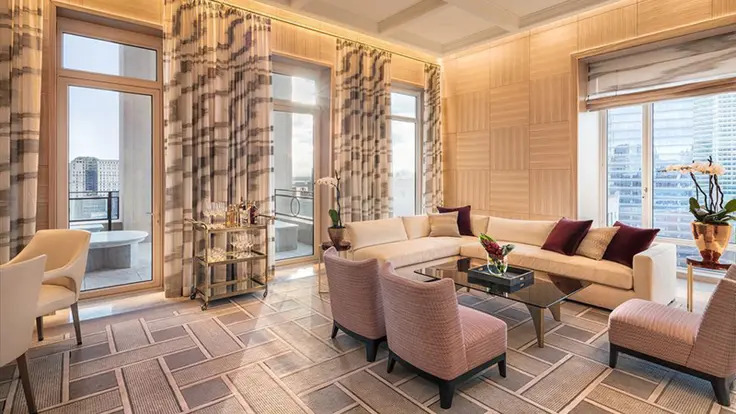 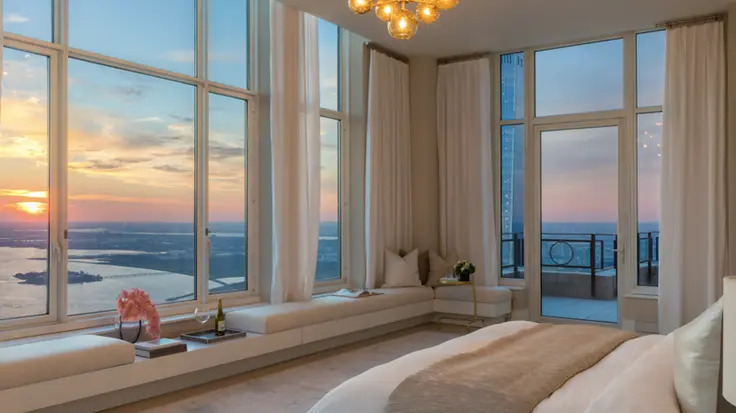 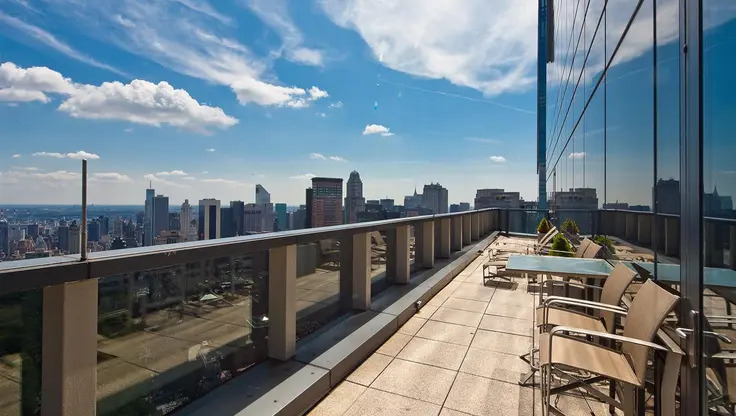 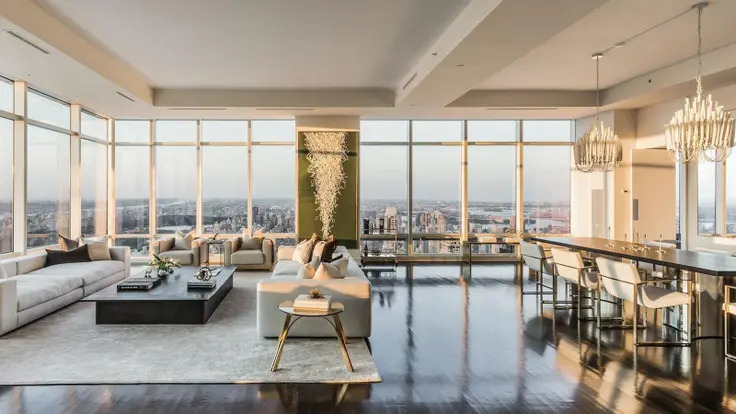 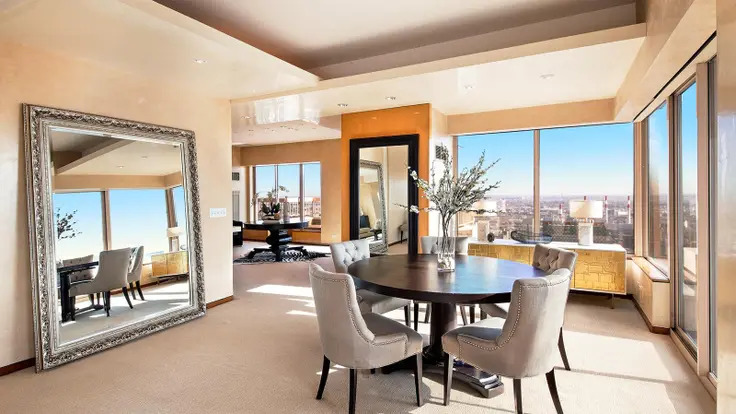 It offers five different types of apartments – ranging from one- to five-bedroom residences – that feature floor-to-ceiling windows offering spectacular city views. 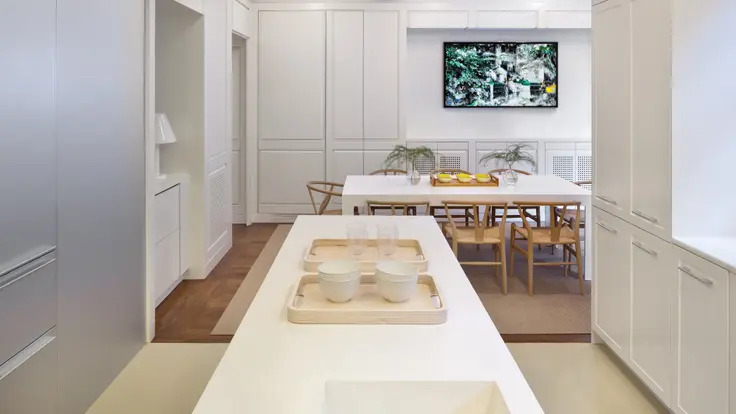 Units are a mix of simplexes and duplexes, some of which have double-height outdoor spaces. 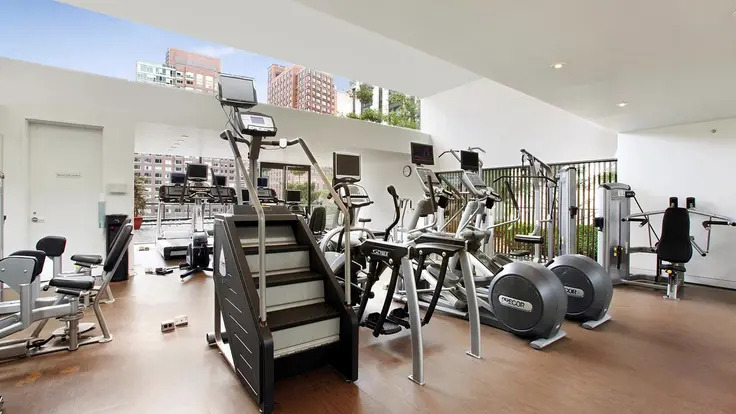 Services and amenities include a fitness center and spa, attended parking and indoor and outdoor children’s play areas. 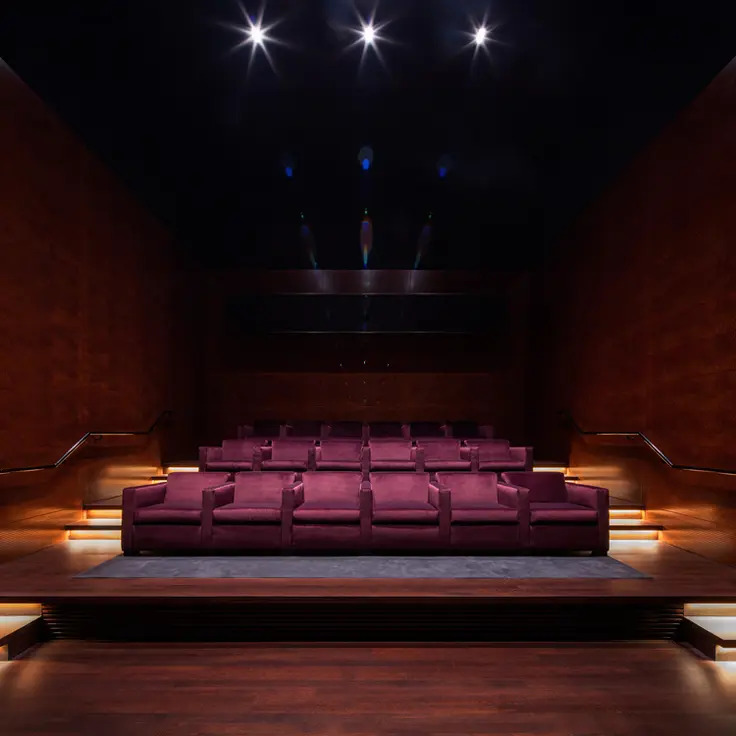 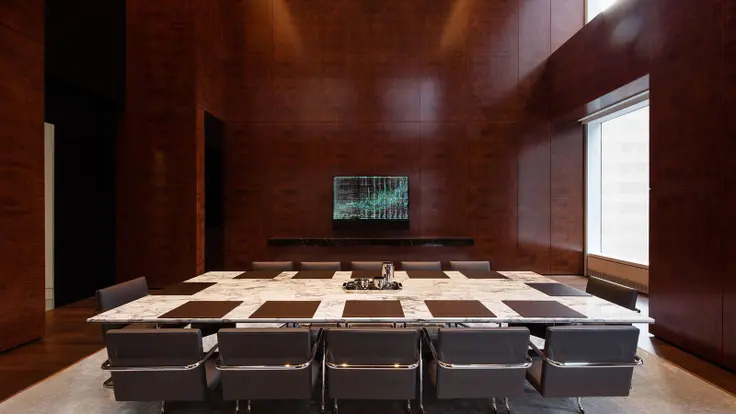 101 Warren Street also has a board room with screening area and a Bloomberg Financial Lounge. 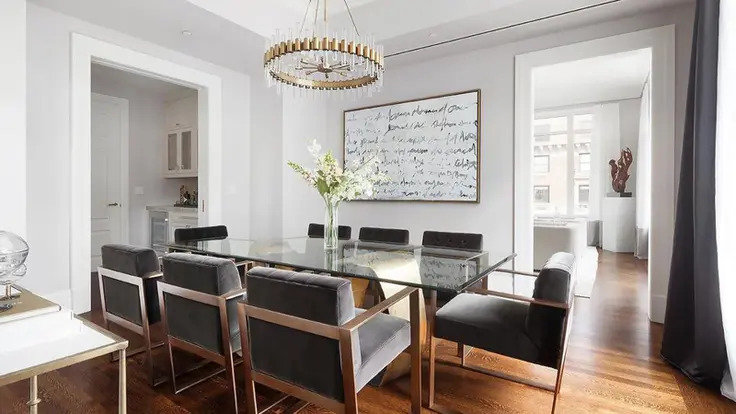 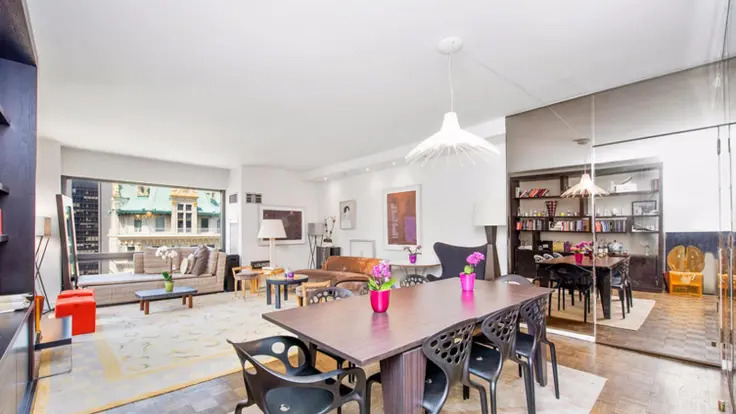 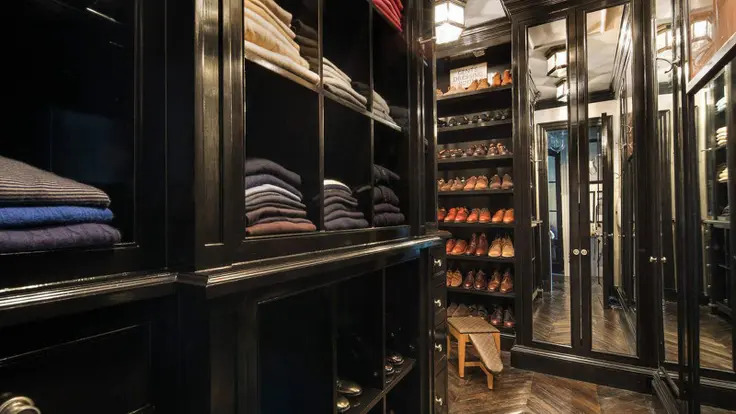 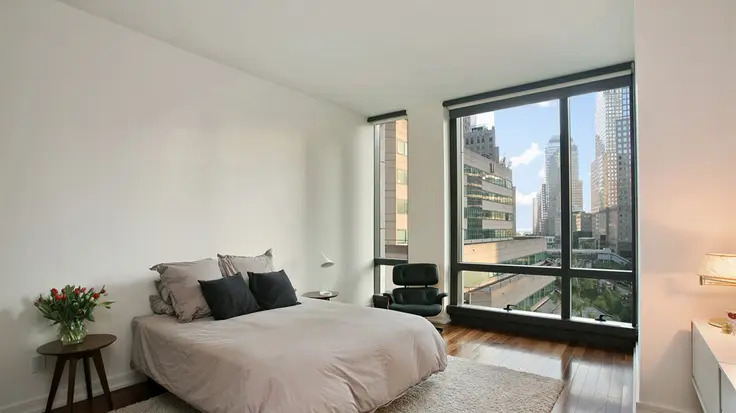 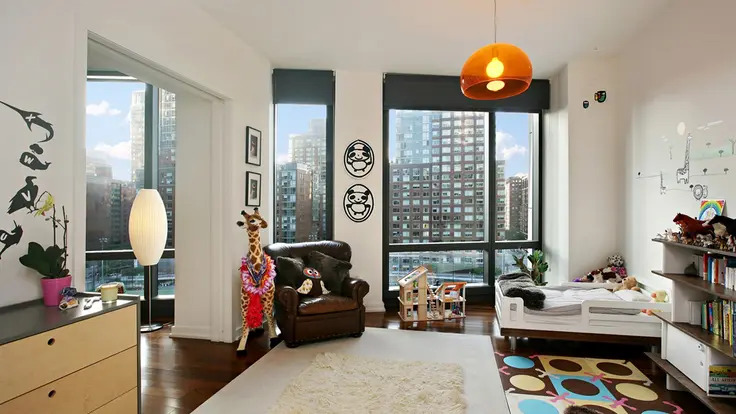 Its TriBeCa location is close to notable restaurants, boutiques and excellent public transportation options, including the Chambers Street subway station.